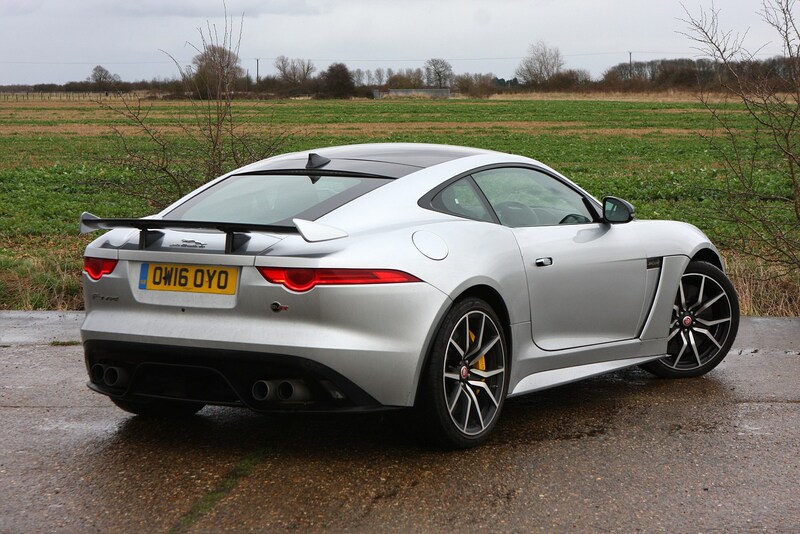 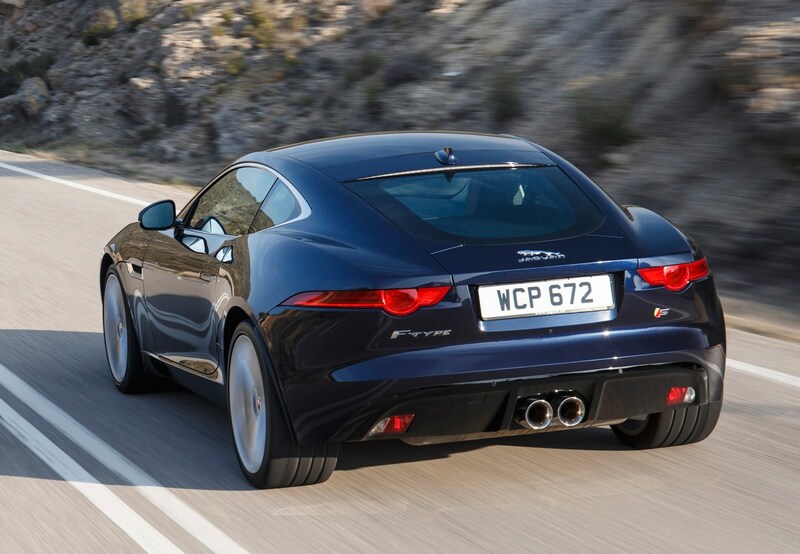 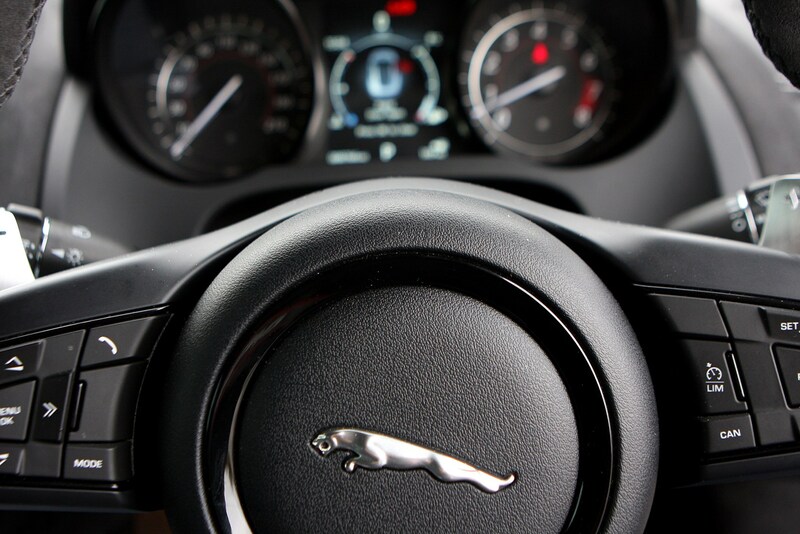 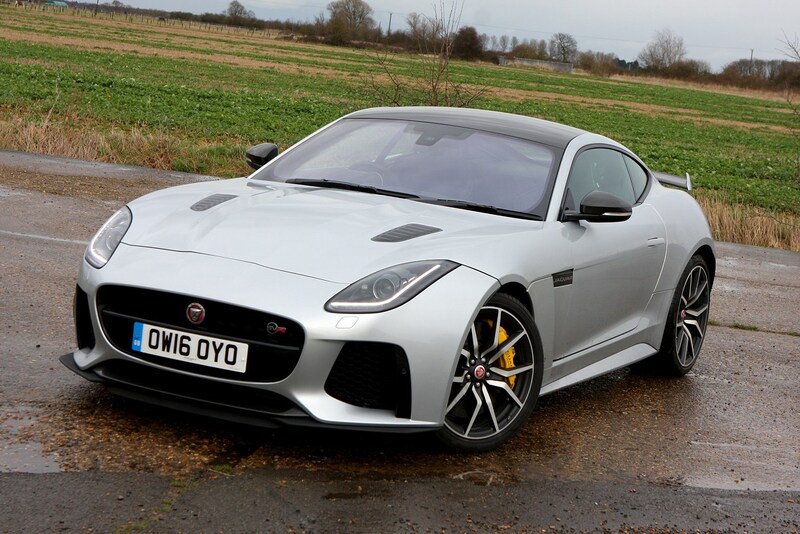 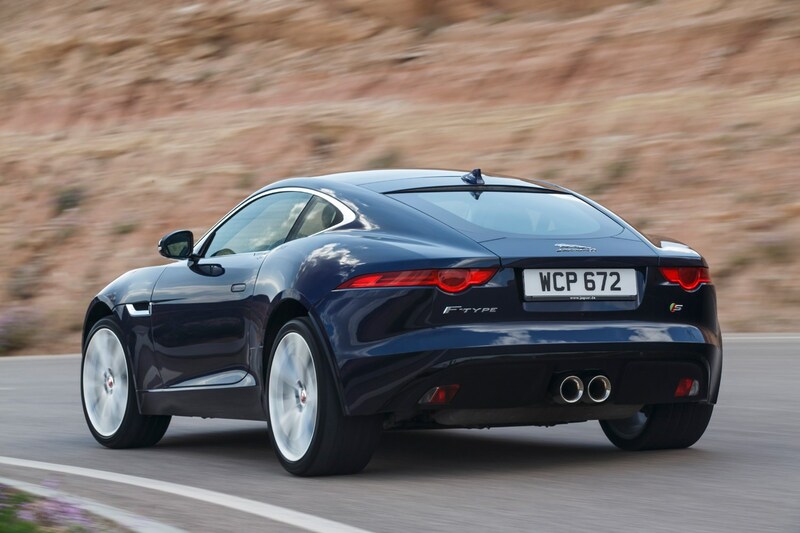 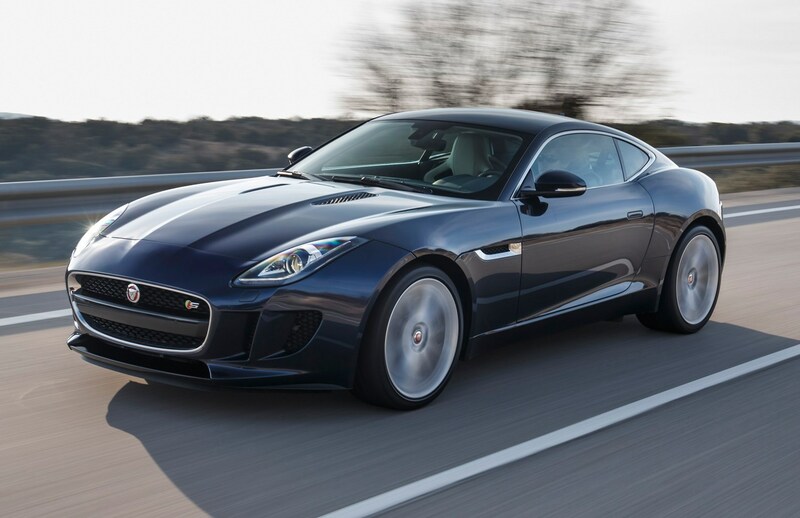 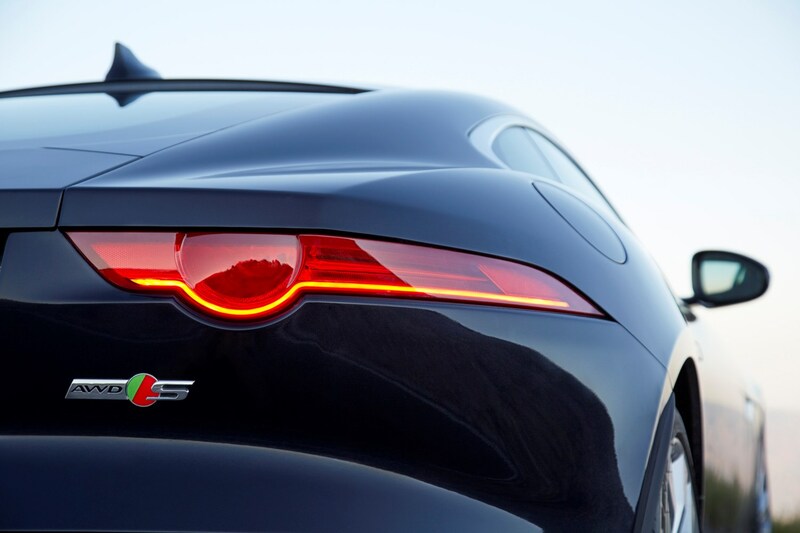 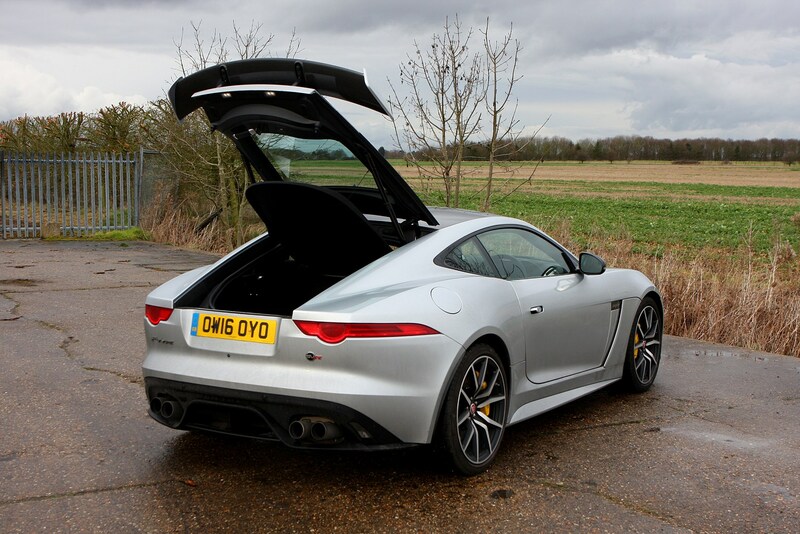 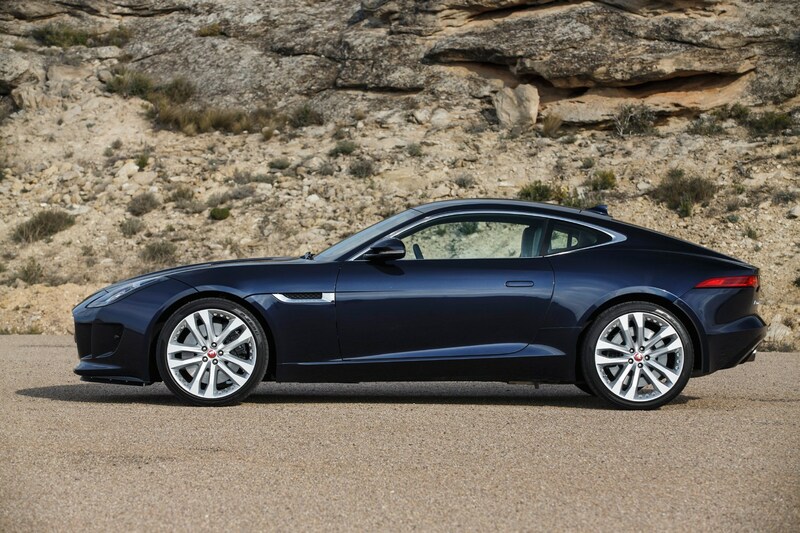 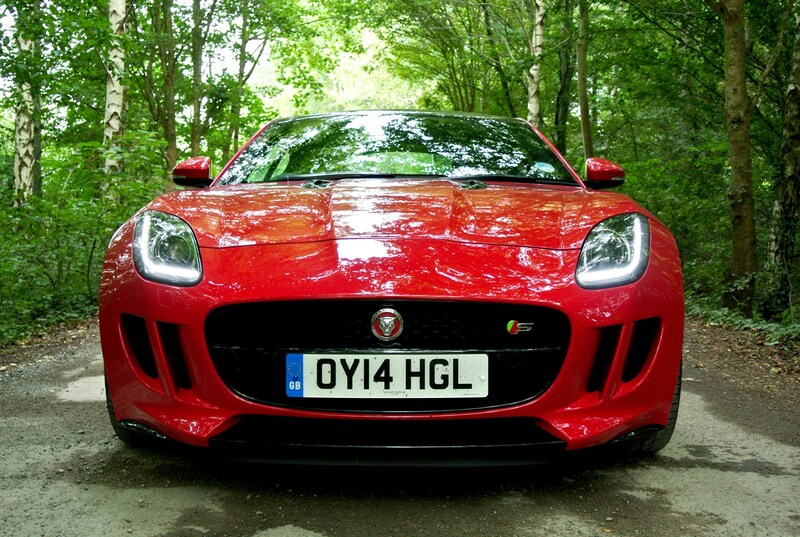 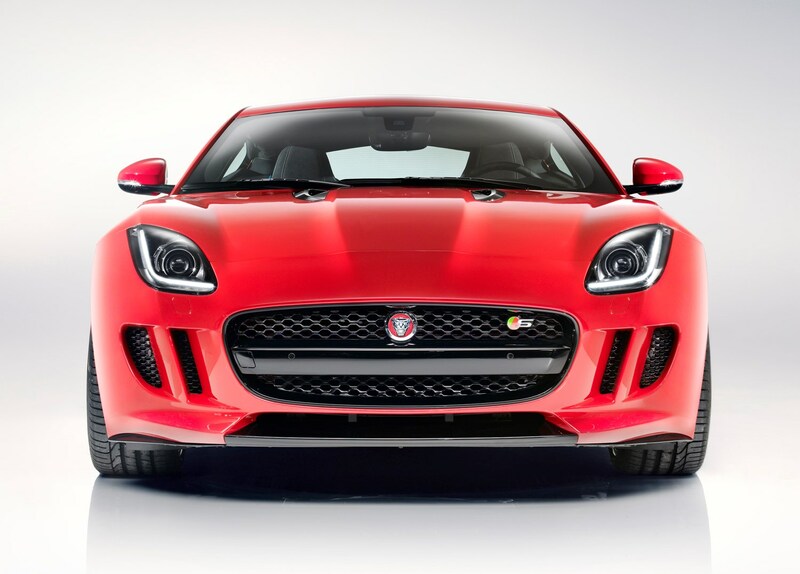 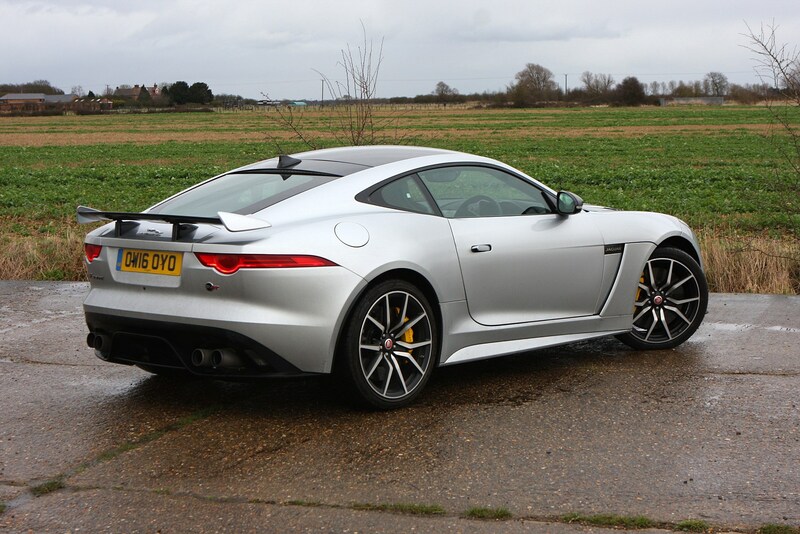 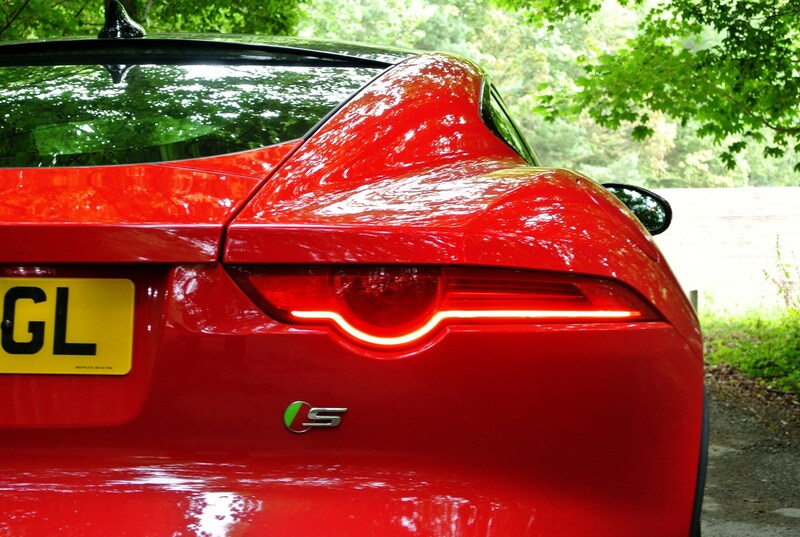 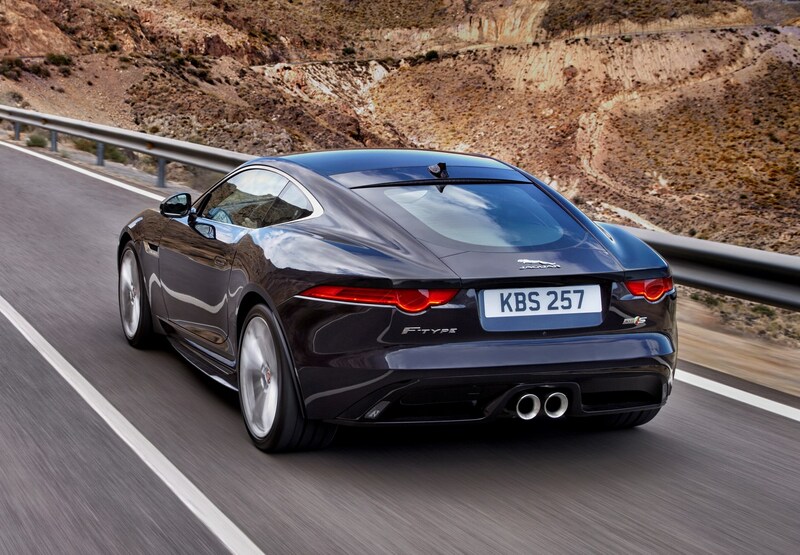 Which Jaguar F-Type Coupe is best for me? 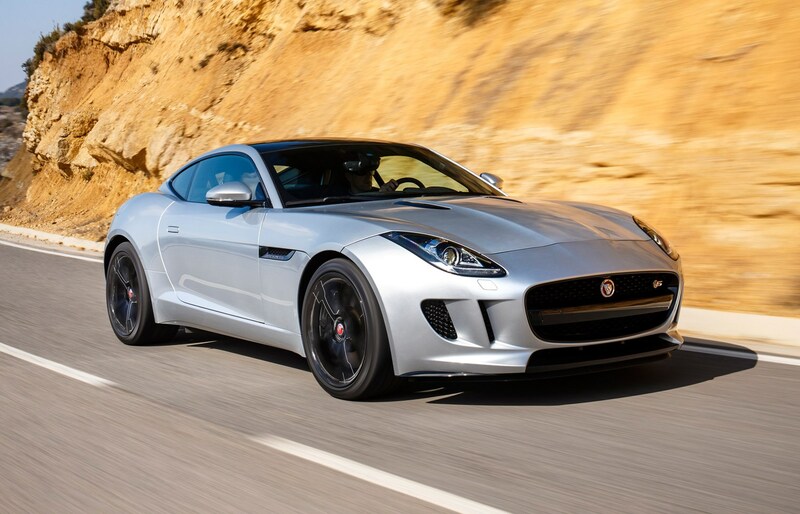 It’s impossible to buy an undesirable Jaguar F-Type Coupe, but some are more sought-after than others. 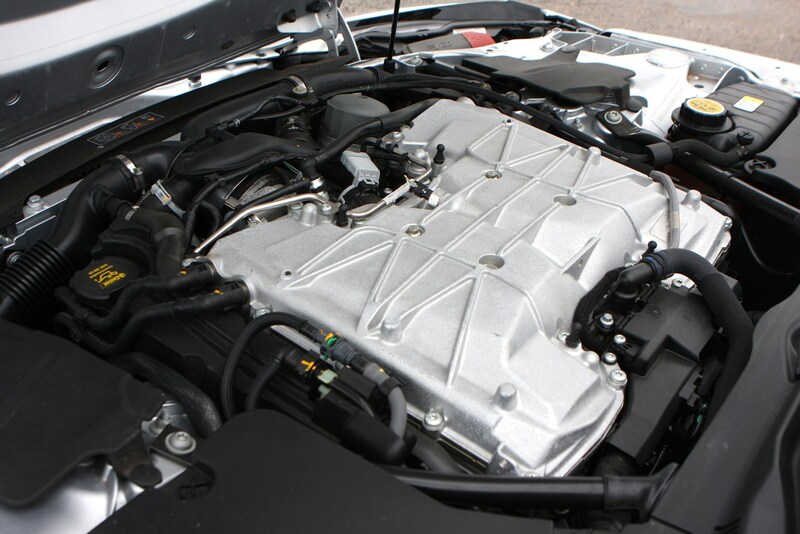 Take the four-cylinder, 2.0-litre P300. 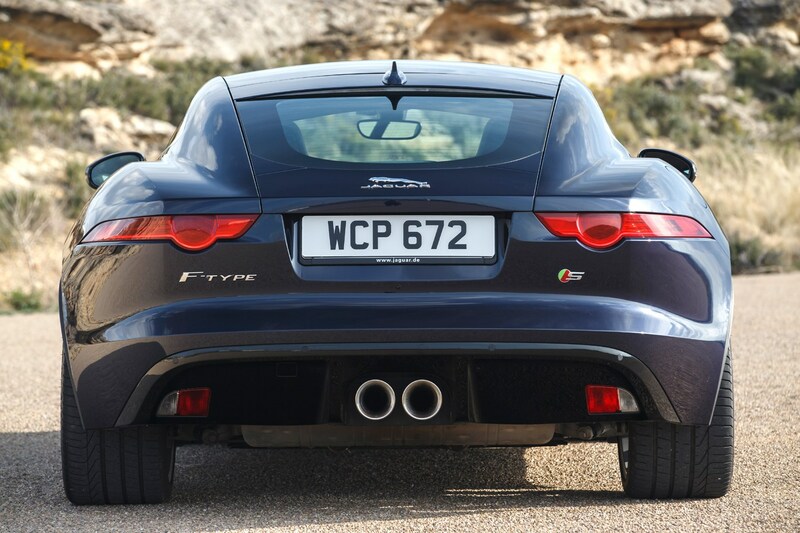 Sure, it’s quick, but that lack of engine note will ensure it’s most often bought by people who want an F-Type that costs less to run, not the one that’ll deliver the most fun. 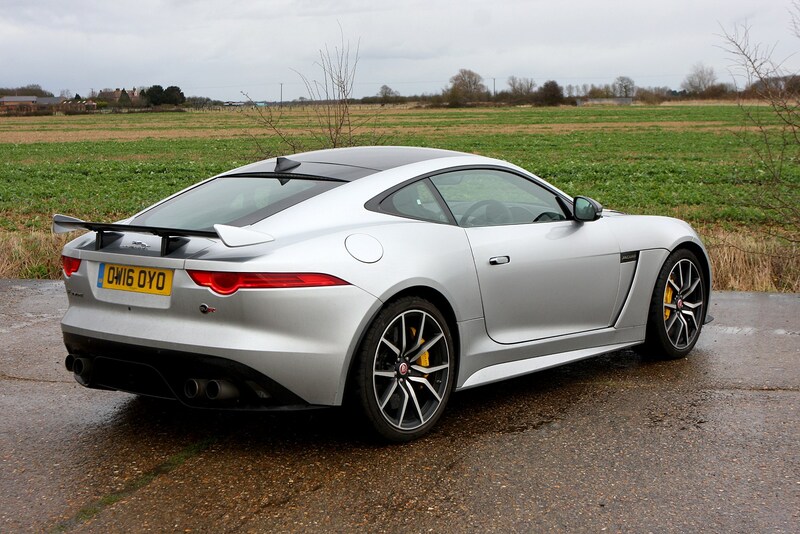 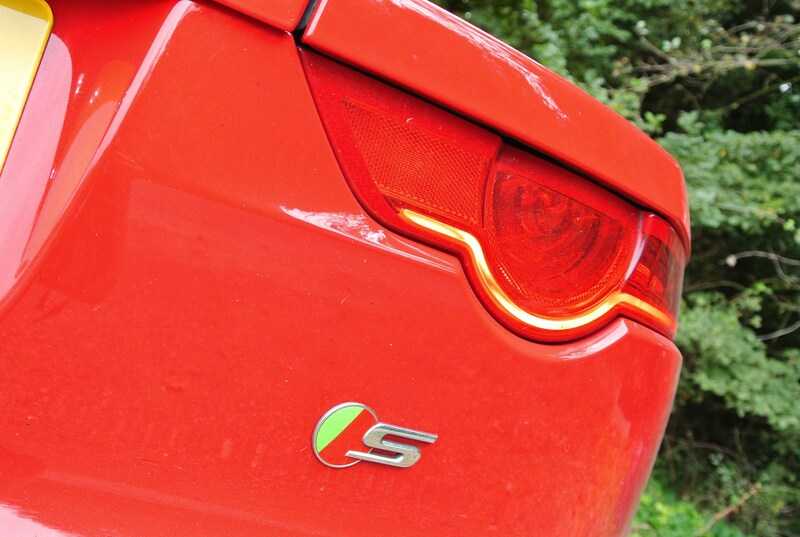 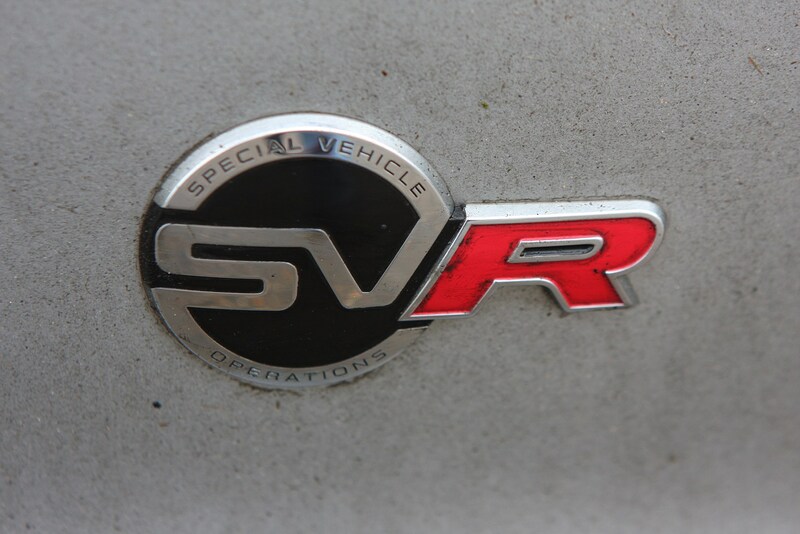 So, the V8 R or SVR, then? 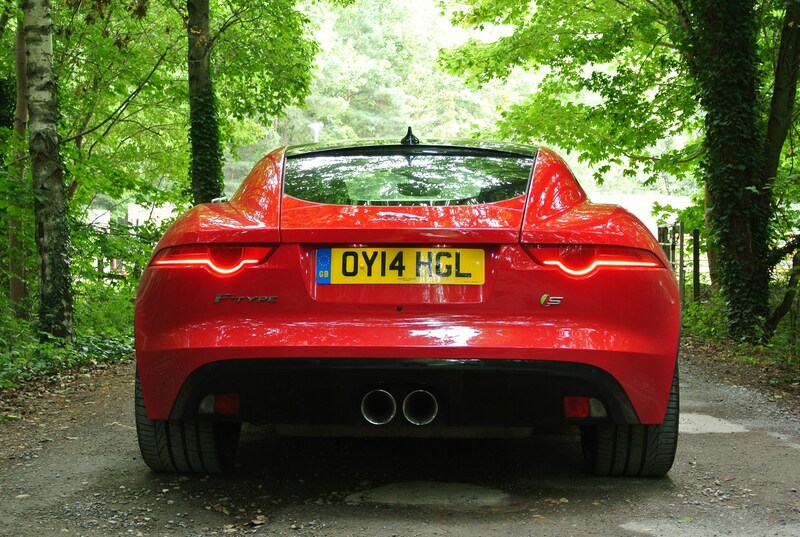 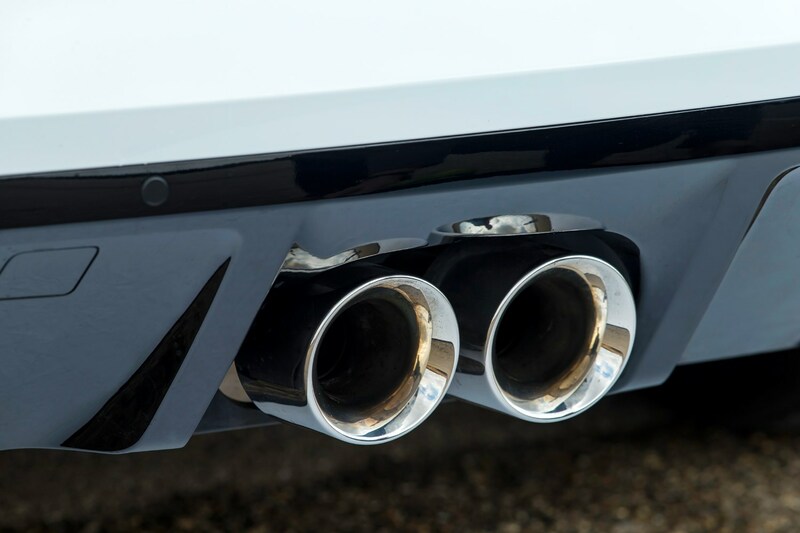 As rapid and aurally delightful as they are, the additional performance on tap is almost an irrelevance in the UK, plus, let’s not beat about the bush, they’re eye-wateringly costly to run. 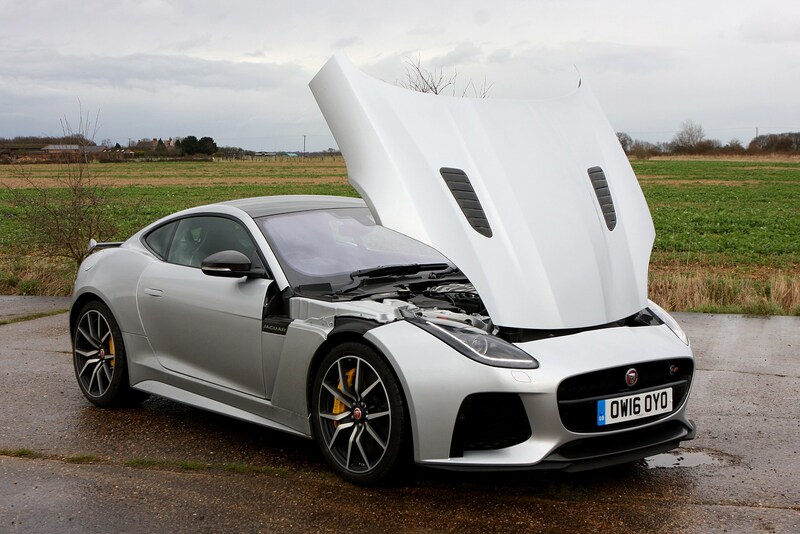 That leaves one of the supercharged V6s, then. 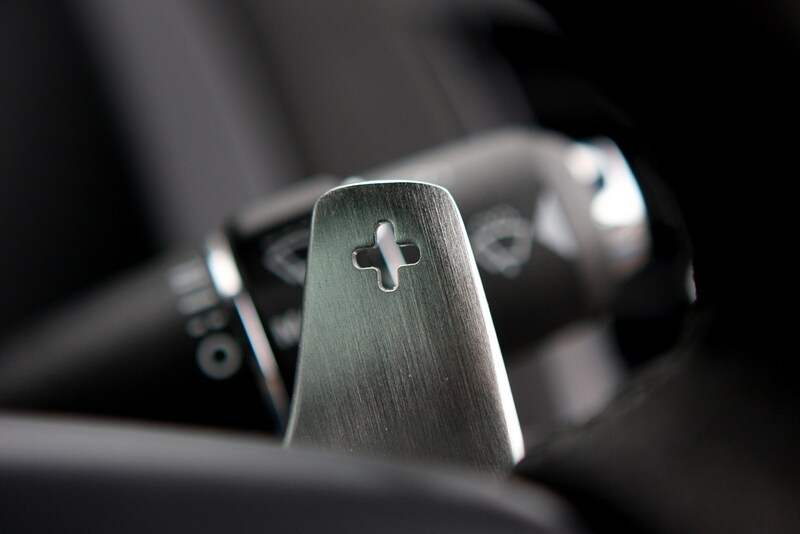 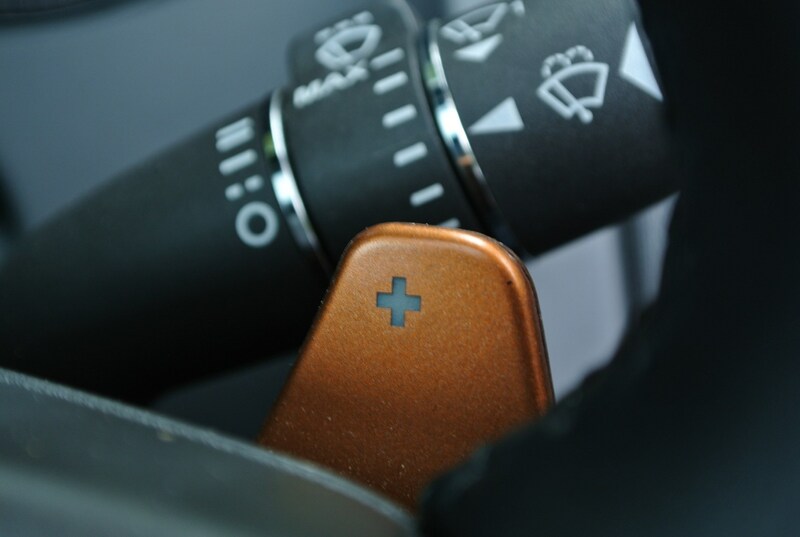 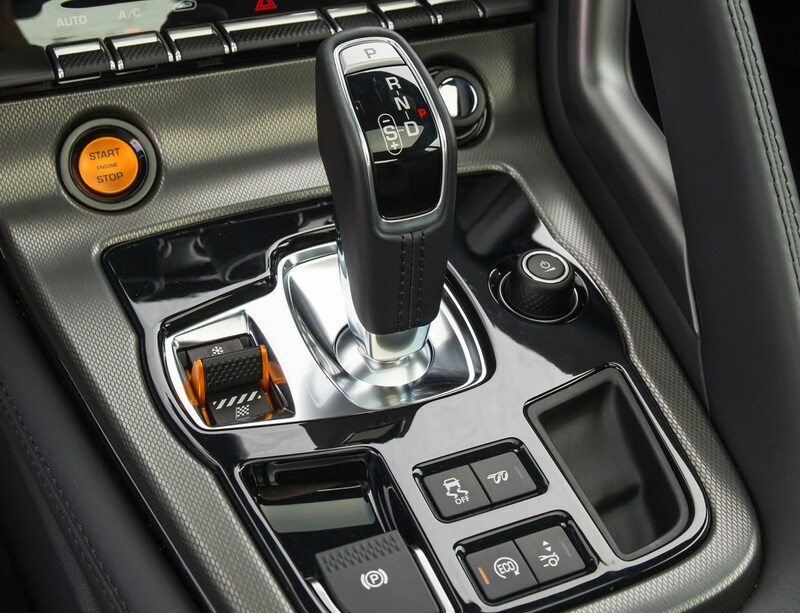 For our money the extra performance of the P380 over the P340 makes that the one to go for, paired with the slicker, quicker eight-speed automatic gearbox instead of the manual. 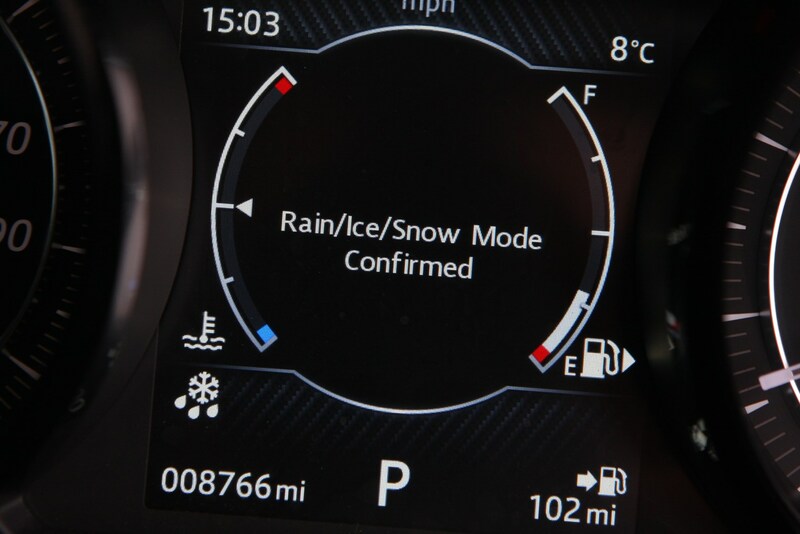 We’d also leave the AWD option alone and stick with the rear-drive version – a set of winter tyres over the colder months will serve you well. 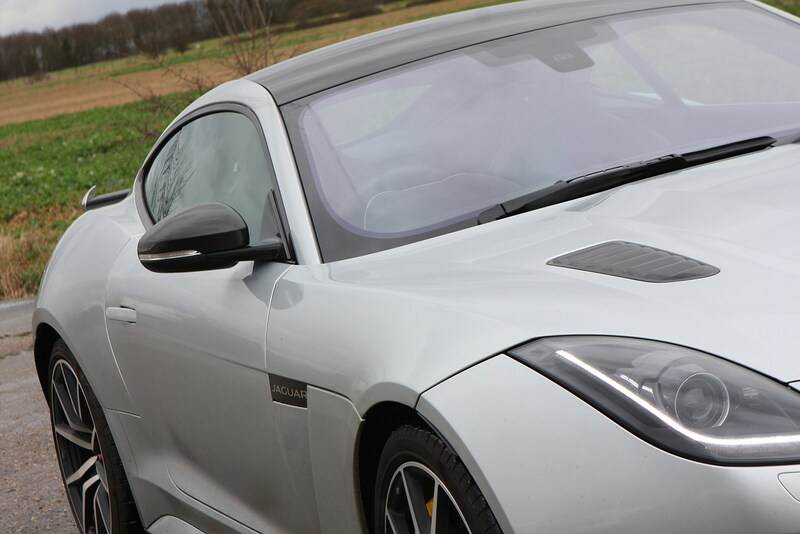 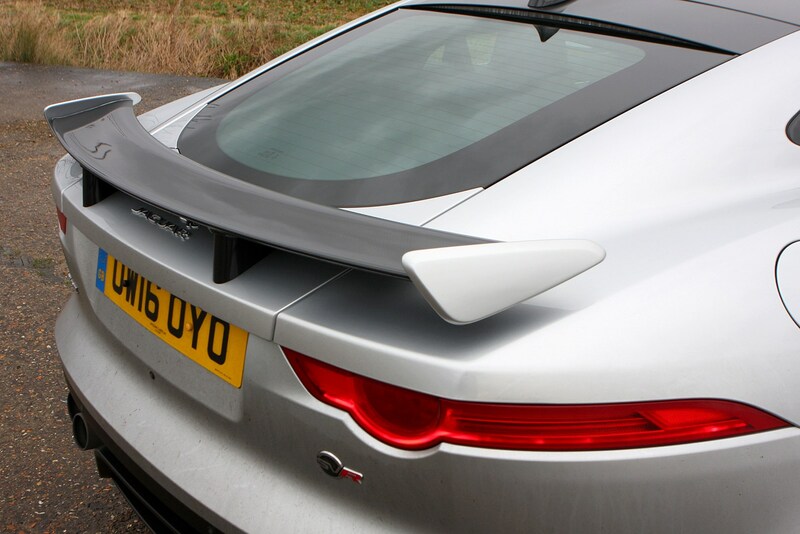 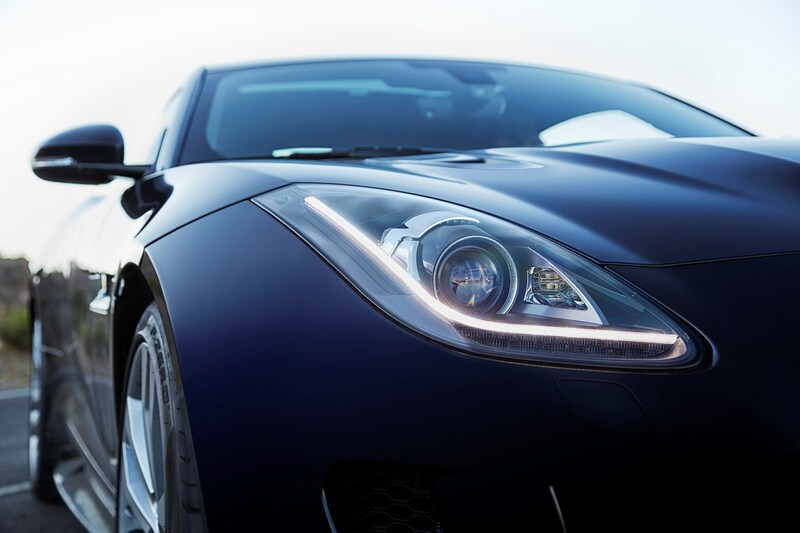 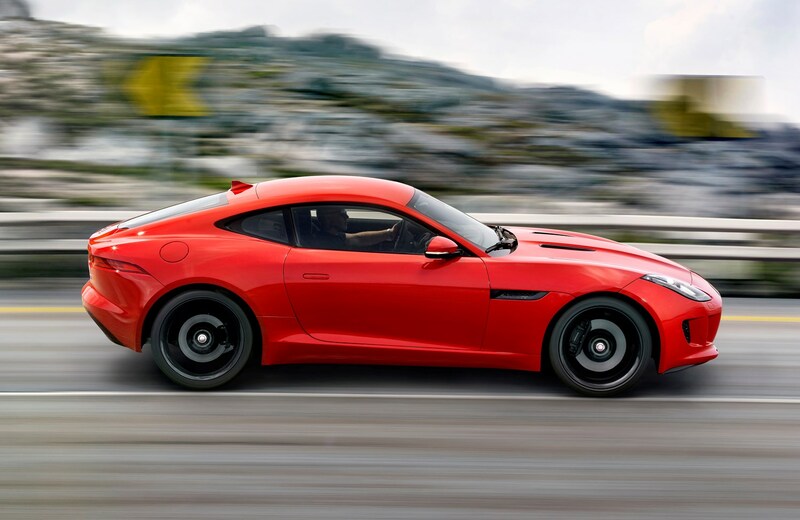 November 2013 – Coupe version of the F-Type available to order for spring 2014 delivery, with a launch range of V6, V6 S and V8 R models, all with automatic transmissions and rear-wheel drive. 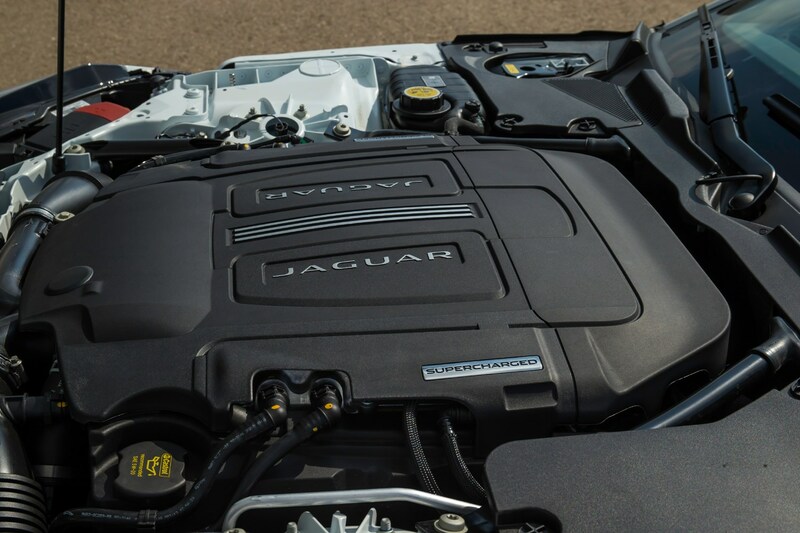 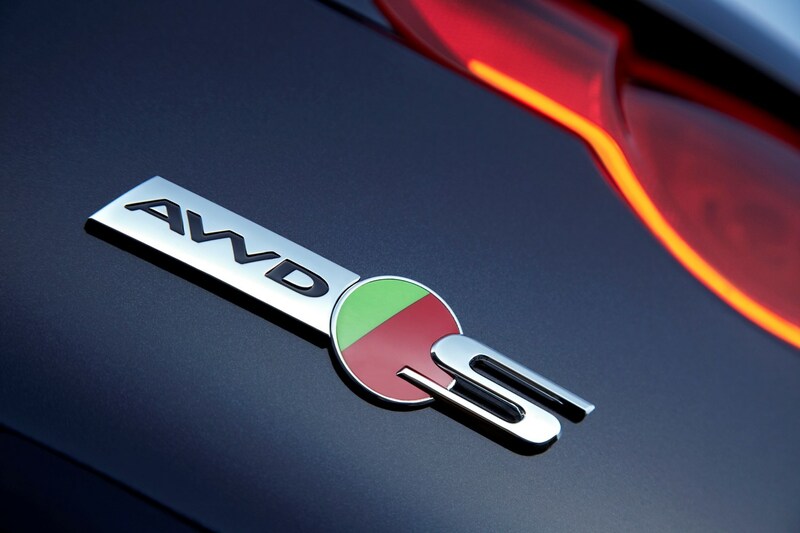 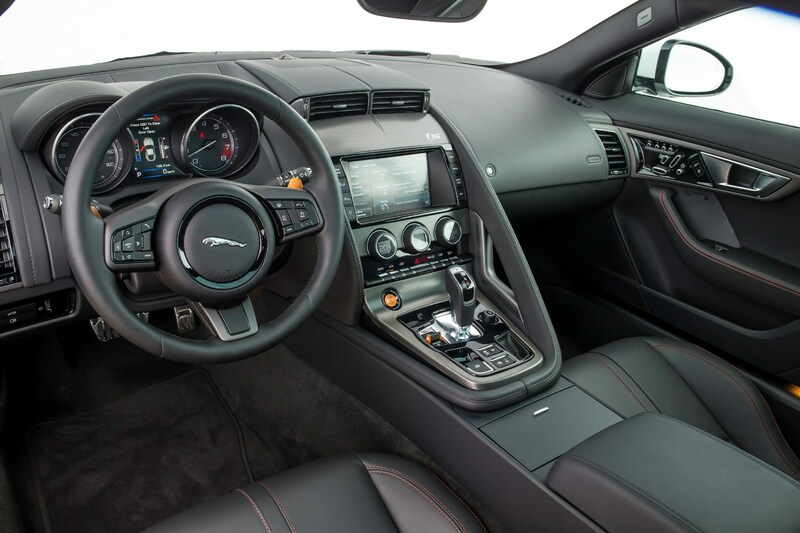 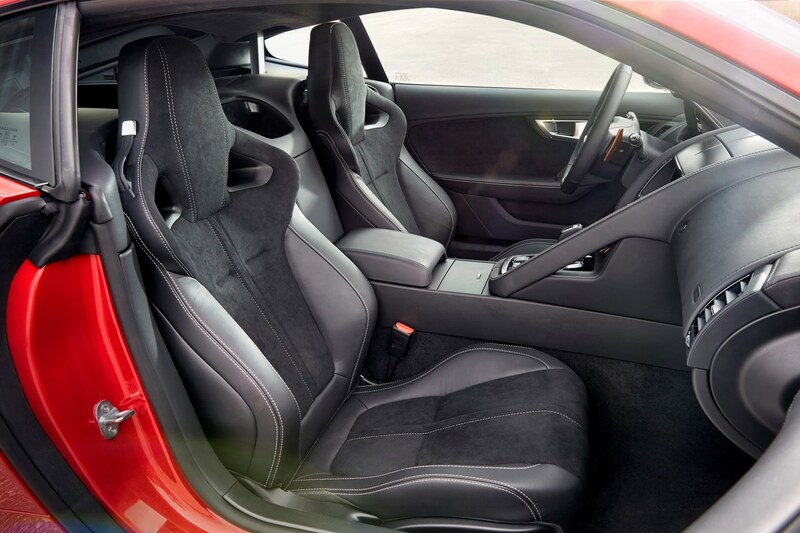 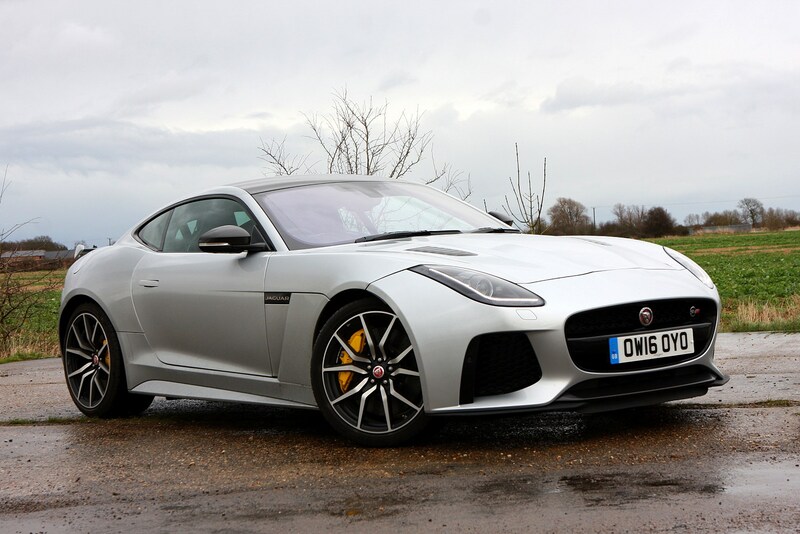 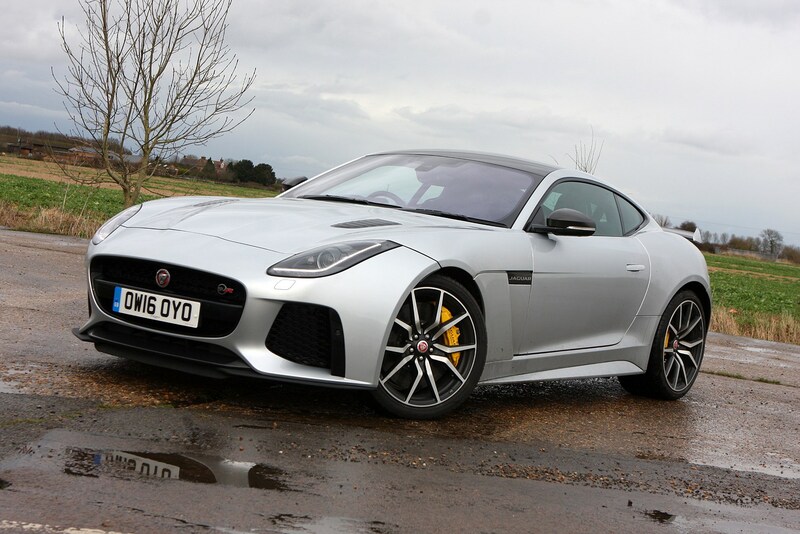 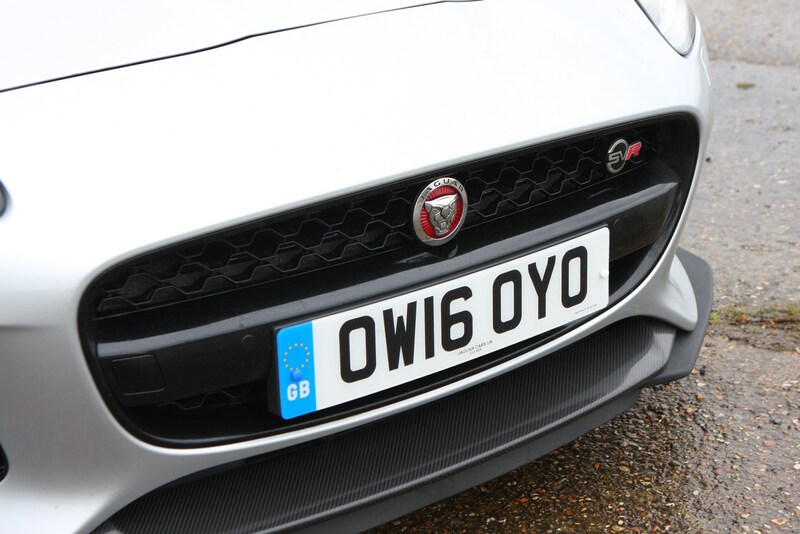 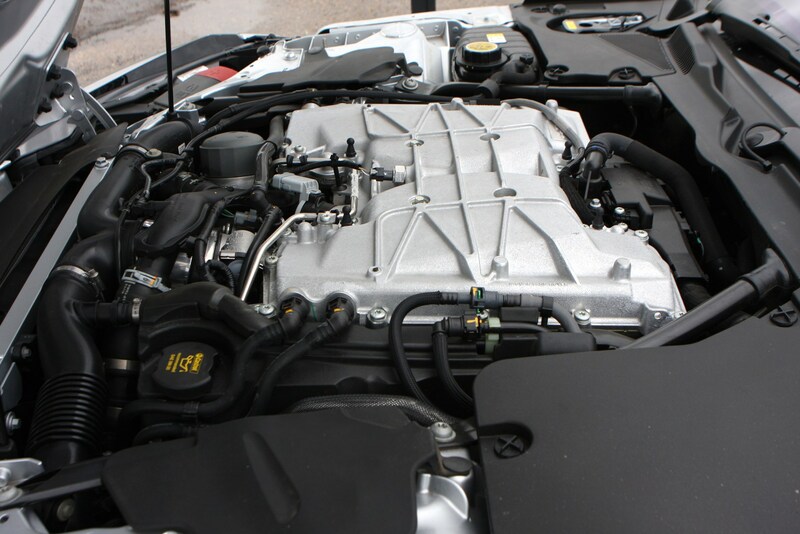 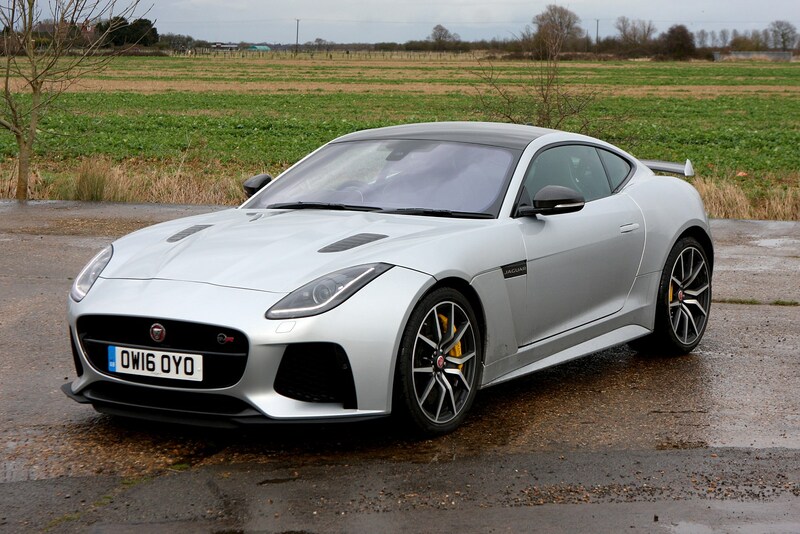 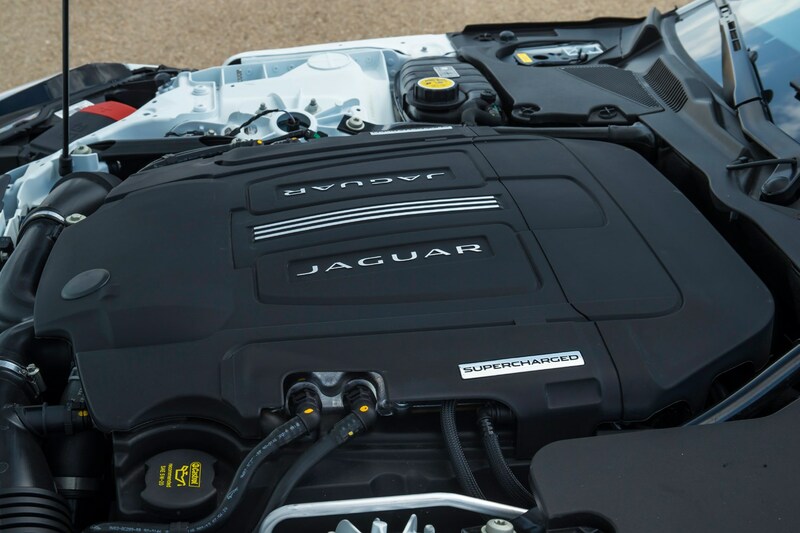 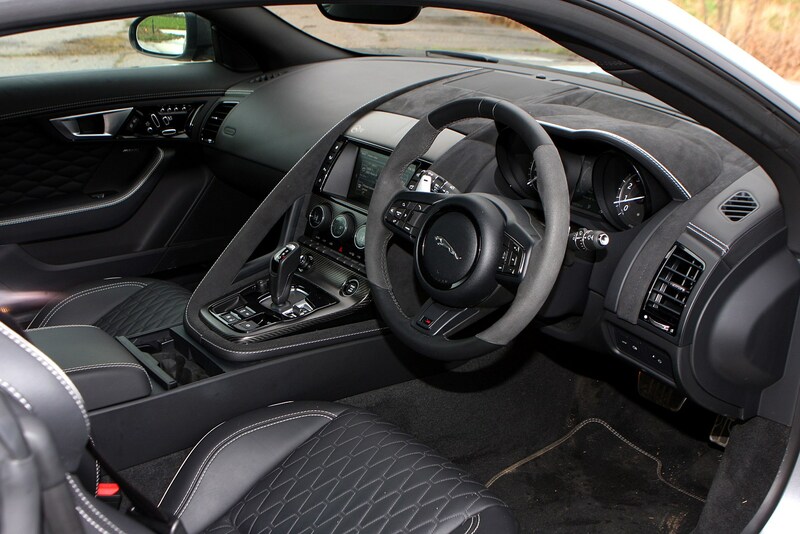 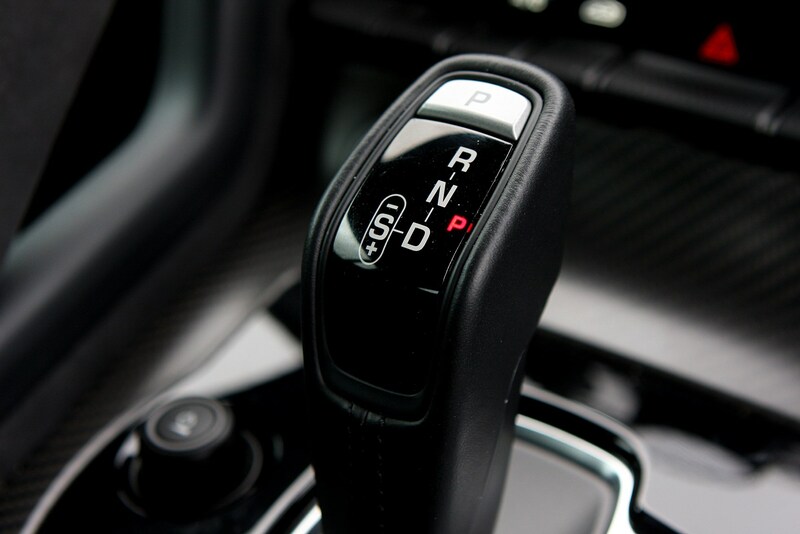 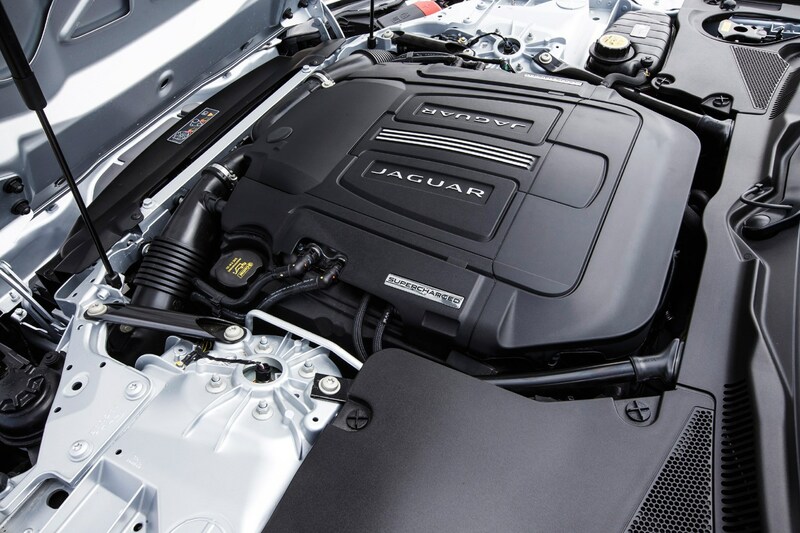 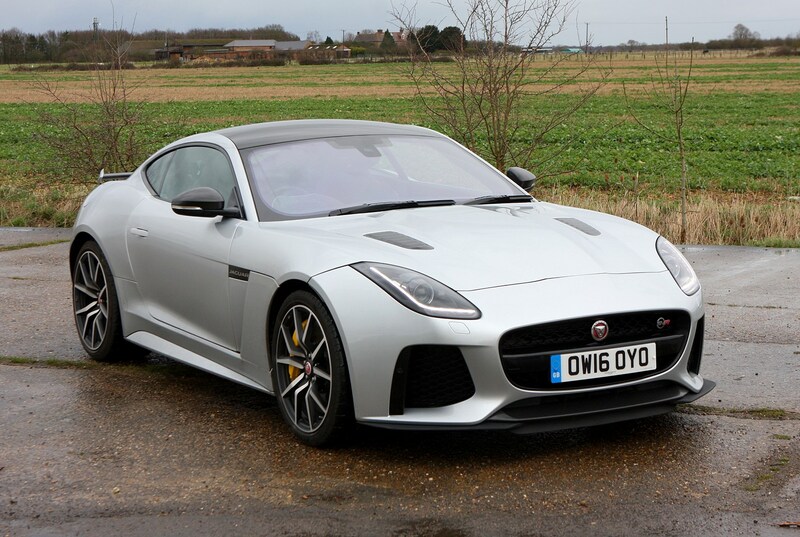 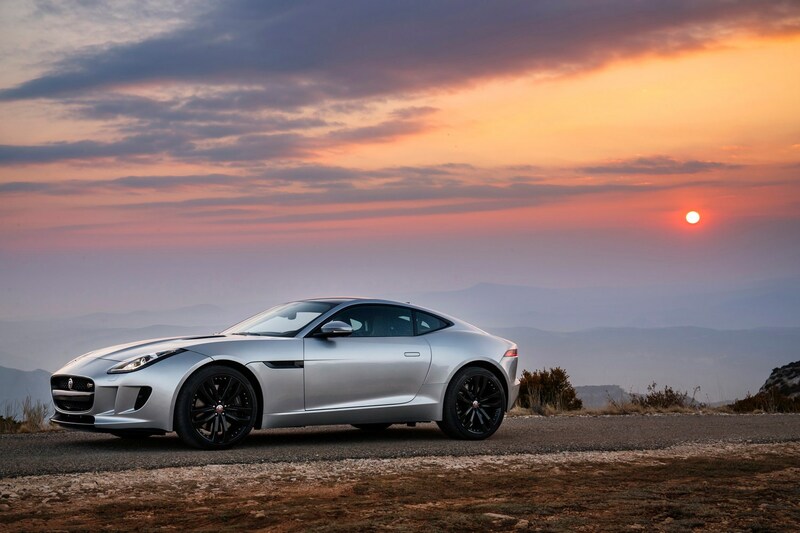 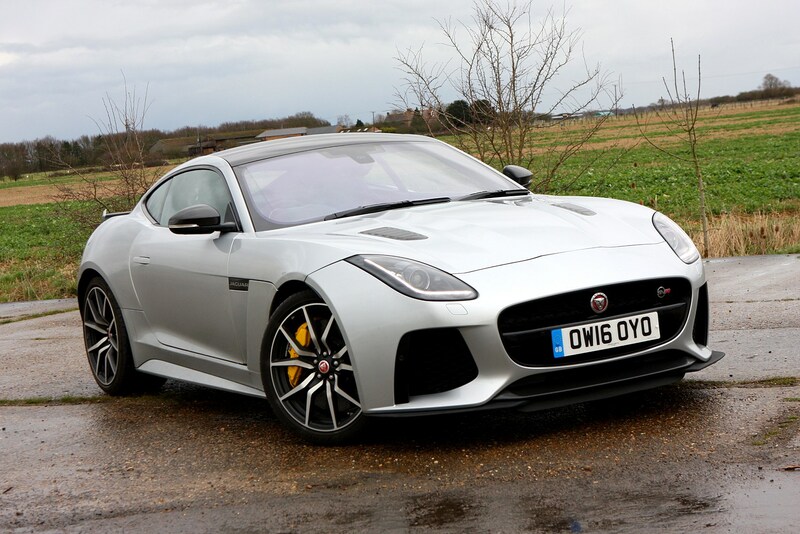 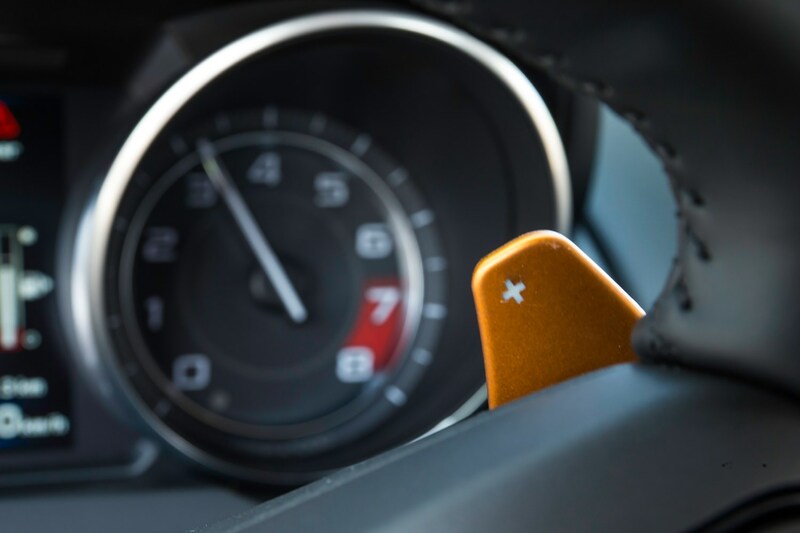 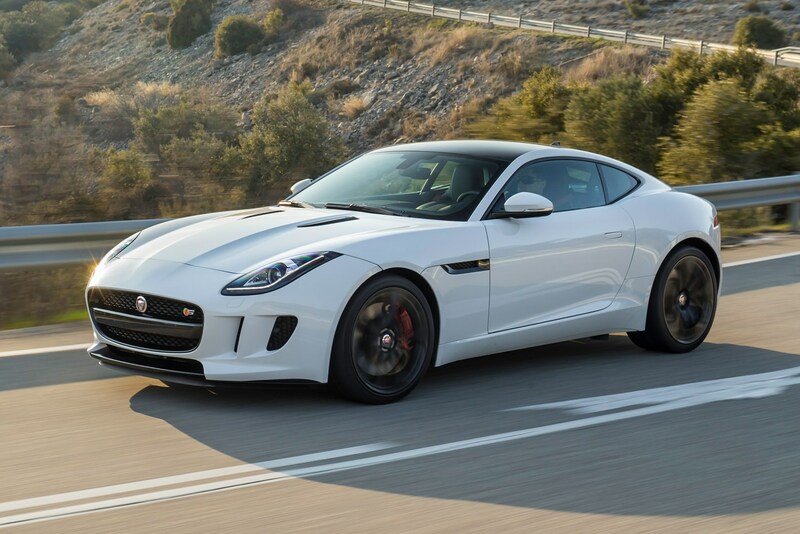 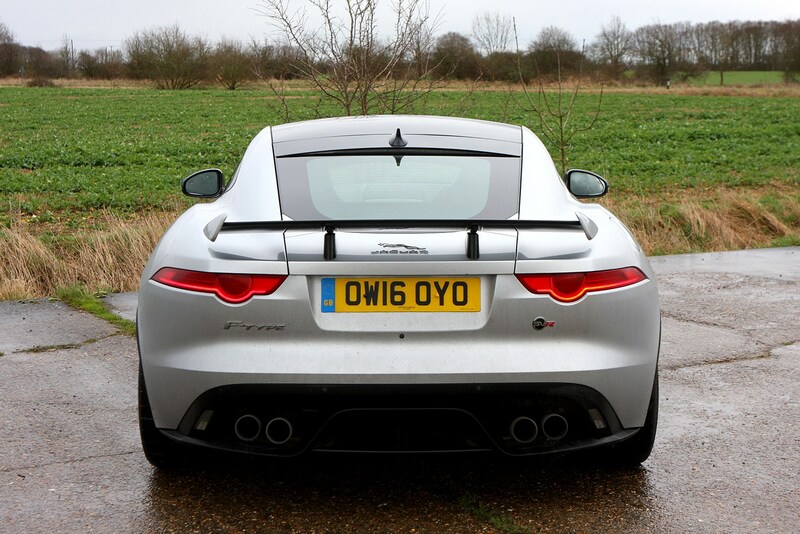 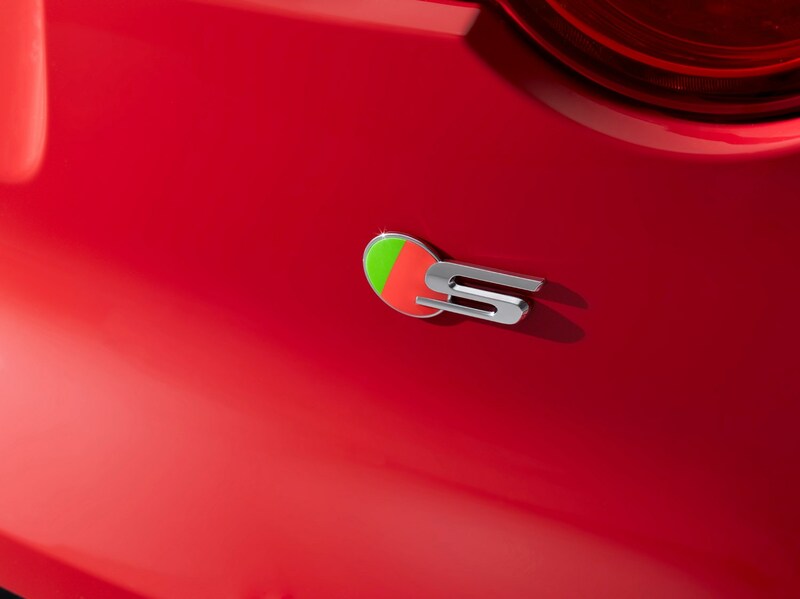 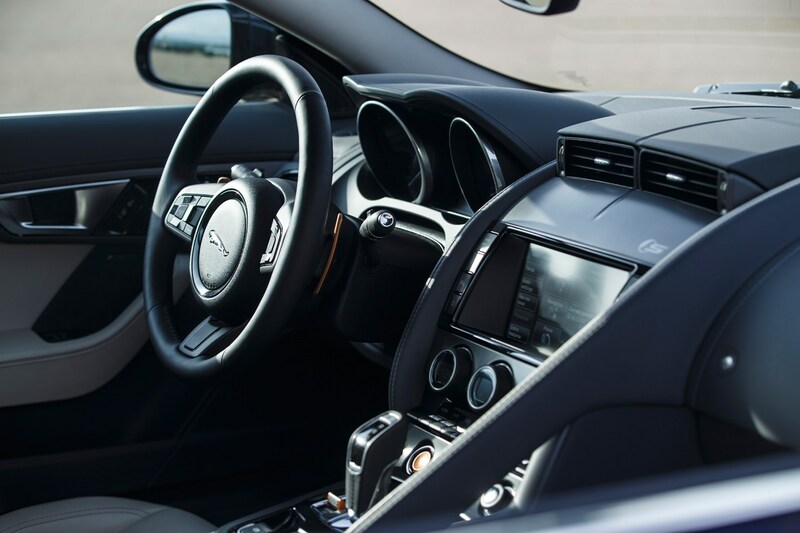 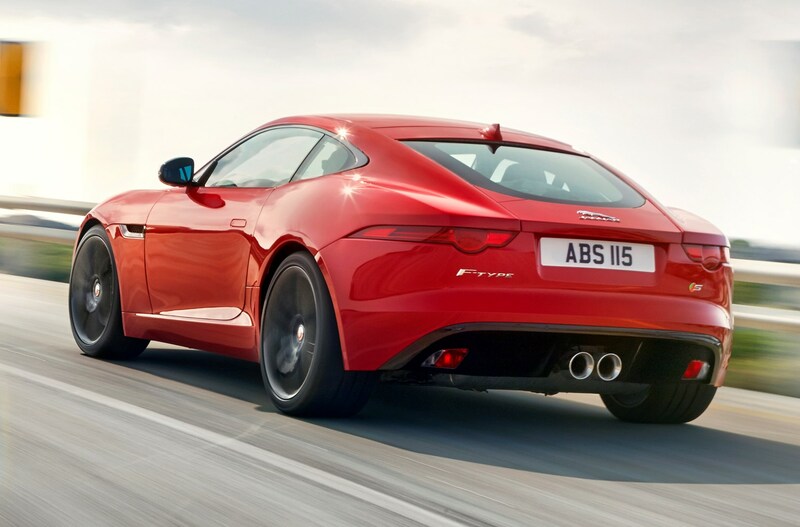 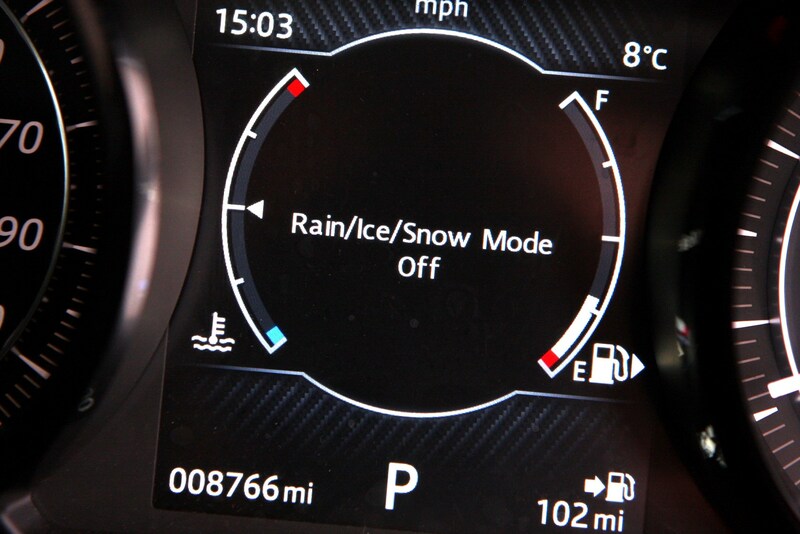 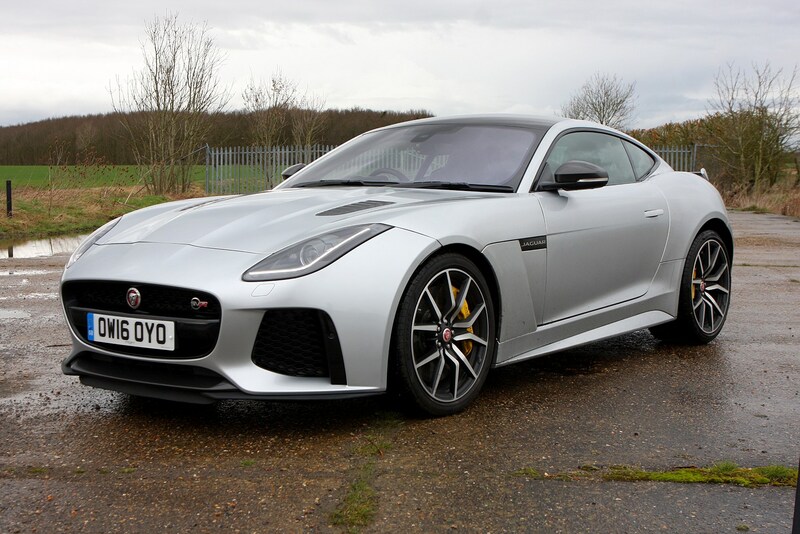 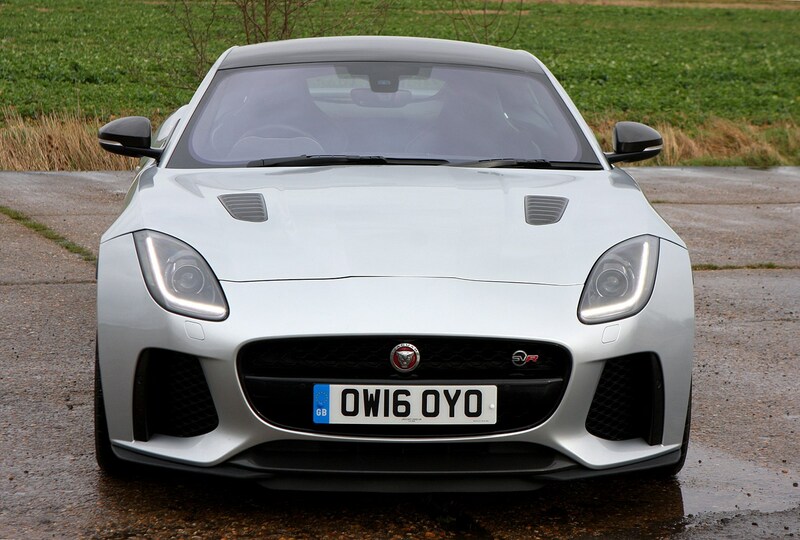 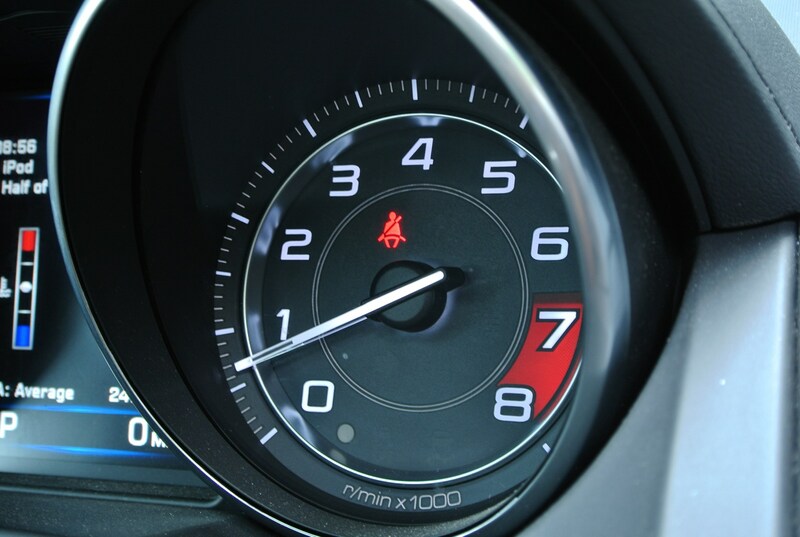 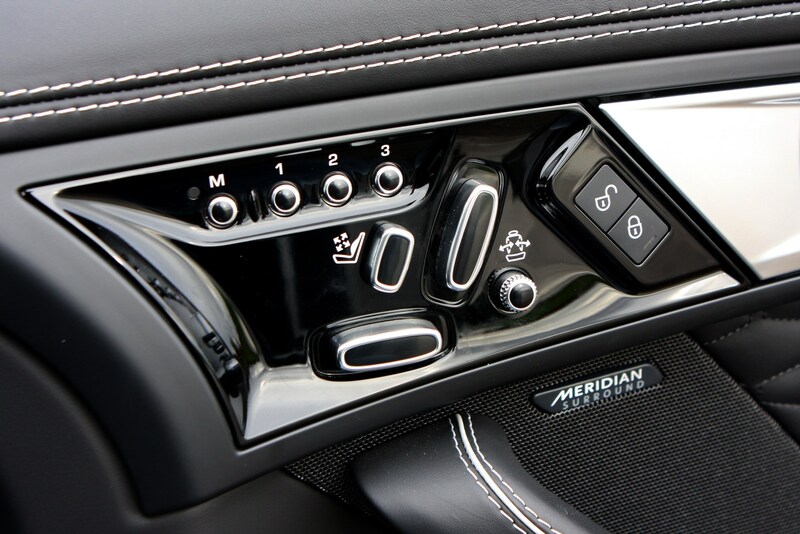 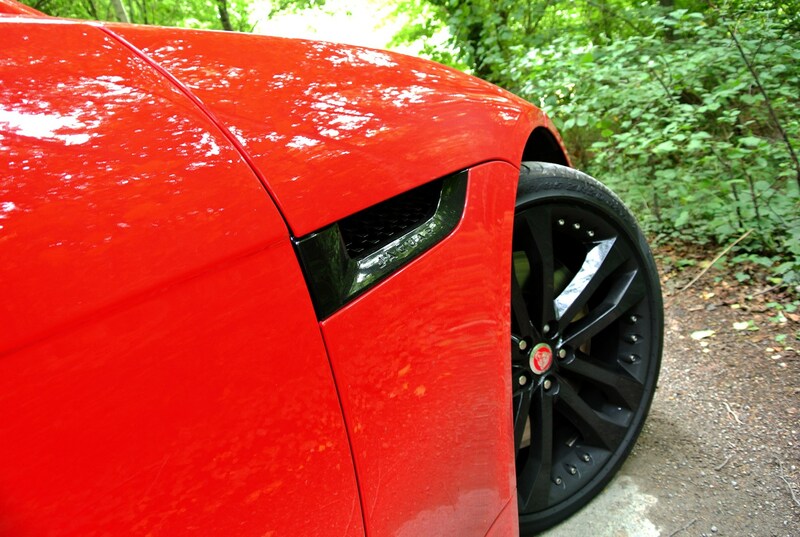 November 2014 – F-Type range expanded with the introduction of a six-speed manual gearbox for the V6 and V6 S models, as well as an all-wheel drive (AWD) option for the V6 S and V8 R variants. 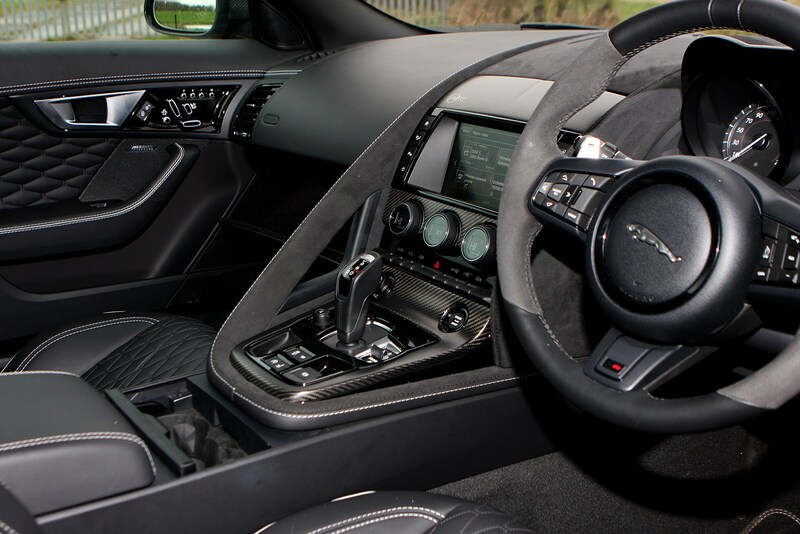 January 2016 – Special British Design Edition launched based on the V6 S, with a special bodykit, uprated brakes, 20-inch Cyclone alloy wheels and a Jet Black premium leather interior. 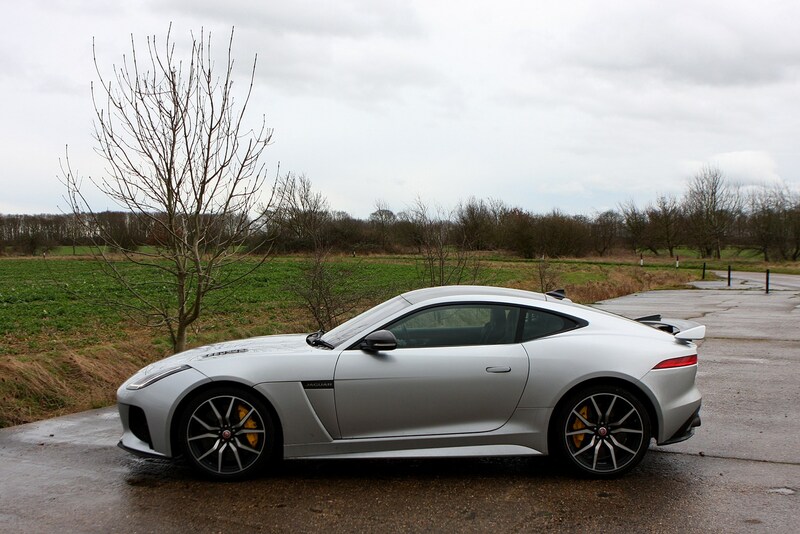 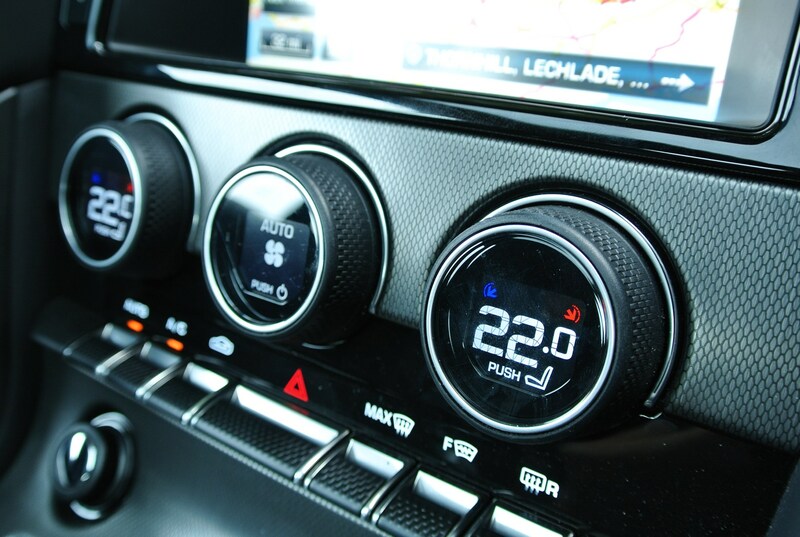 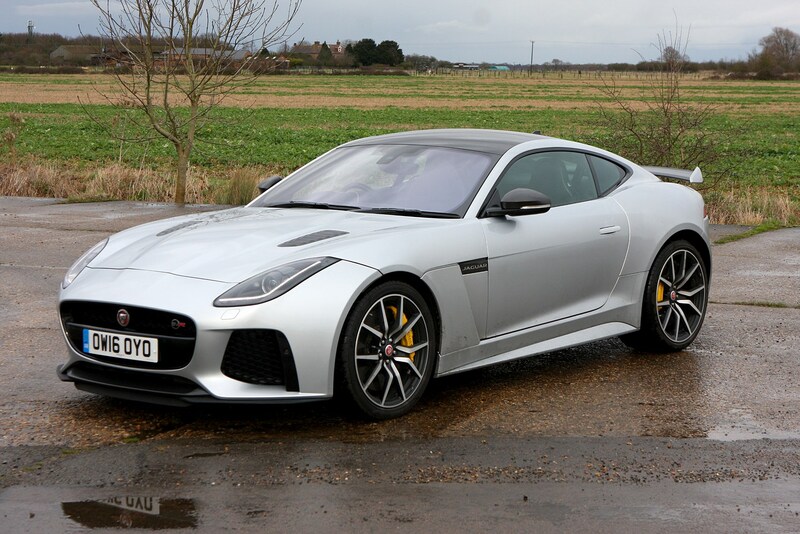 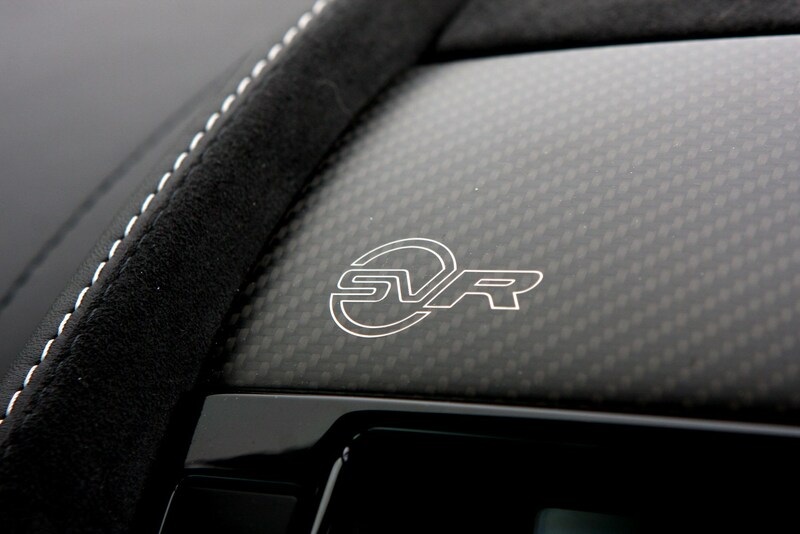 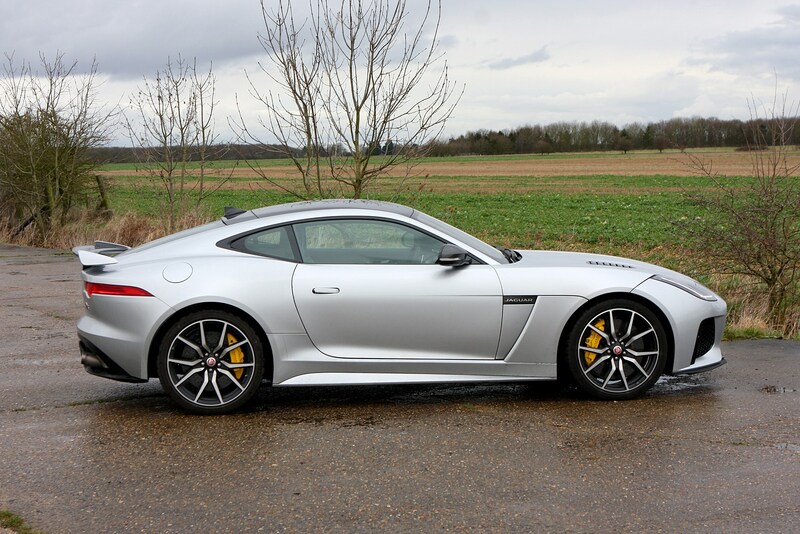 February 2016 – 5.0 V8 575hp SVR available to order for summer delivery. 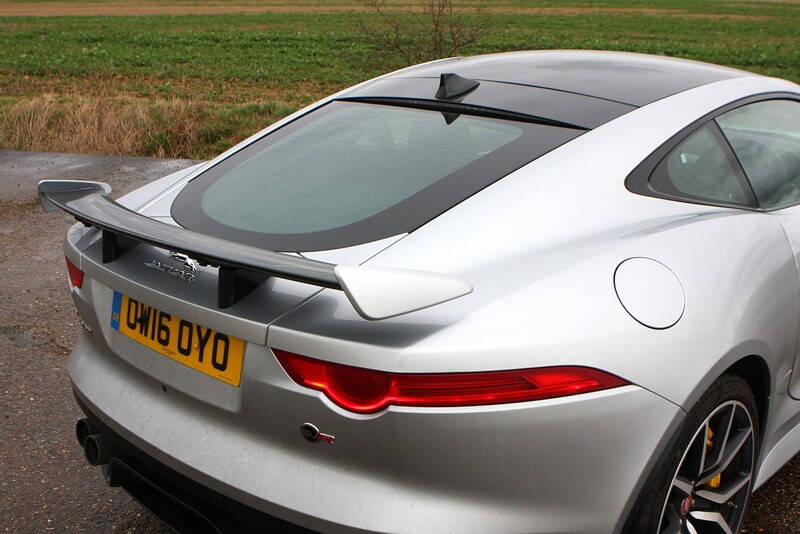 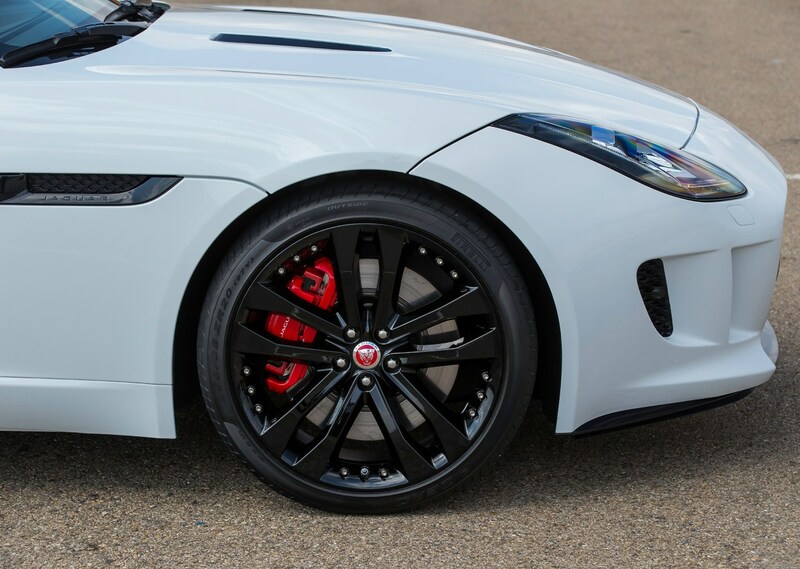 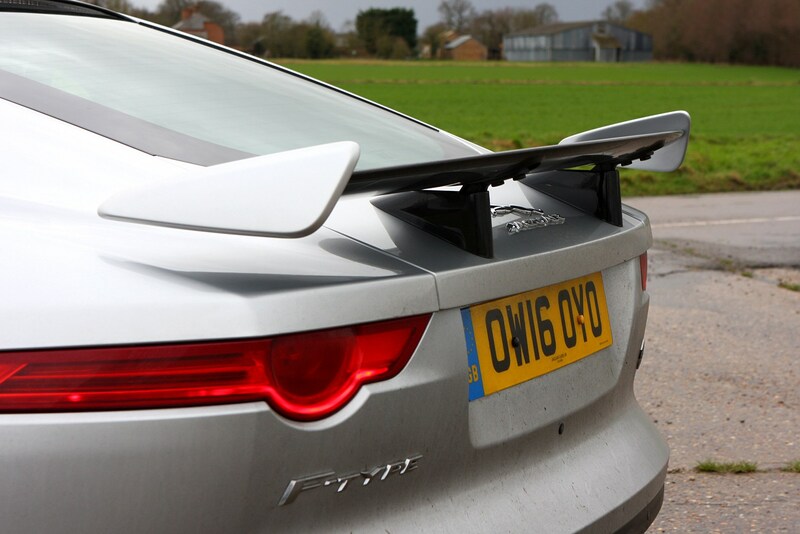 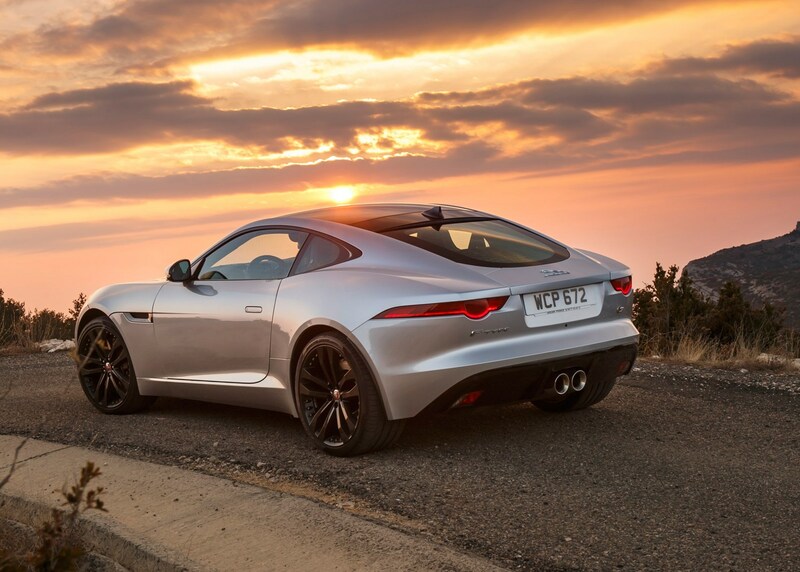 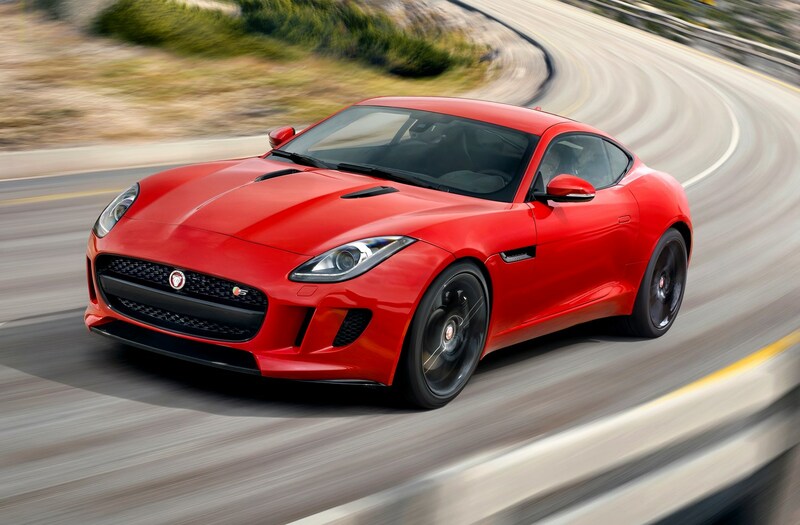 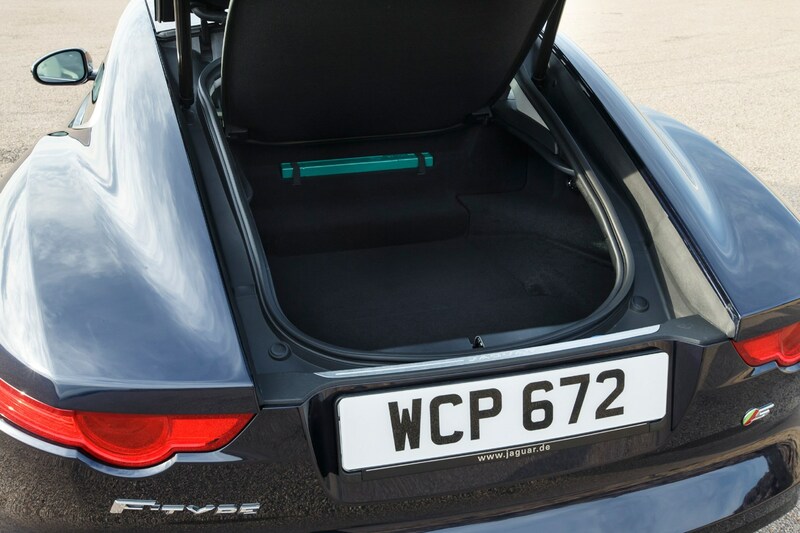 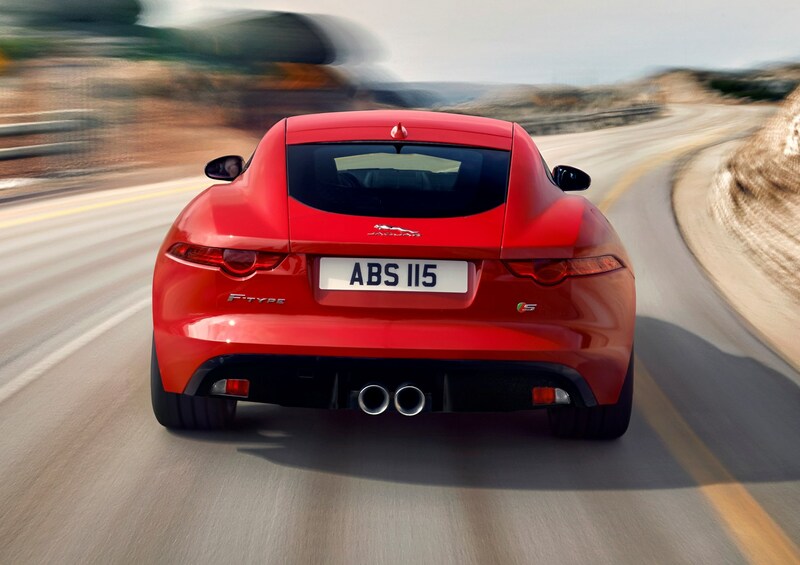 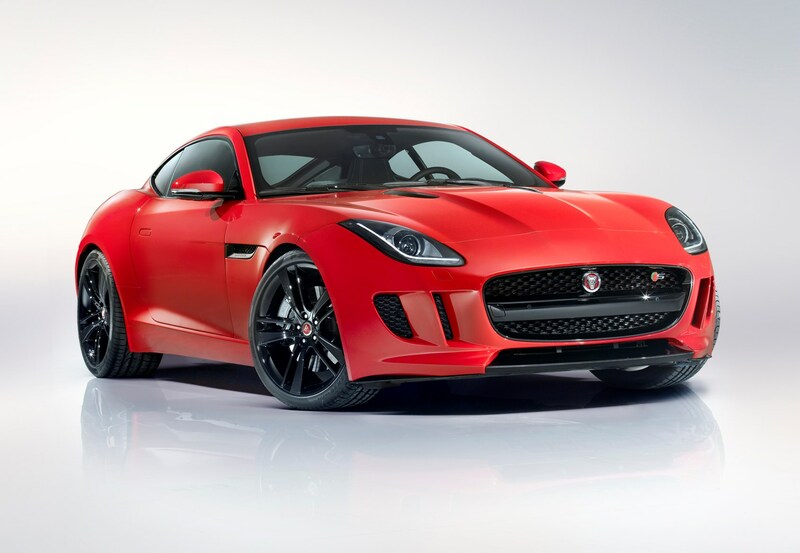 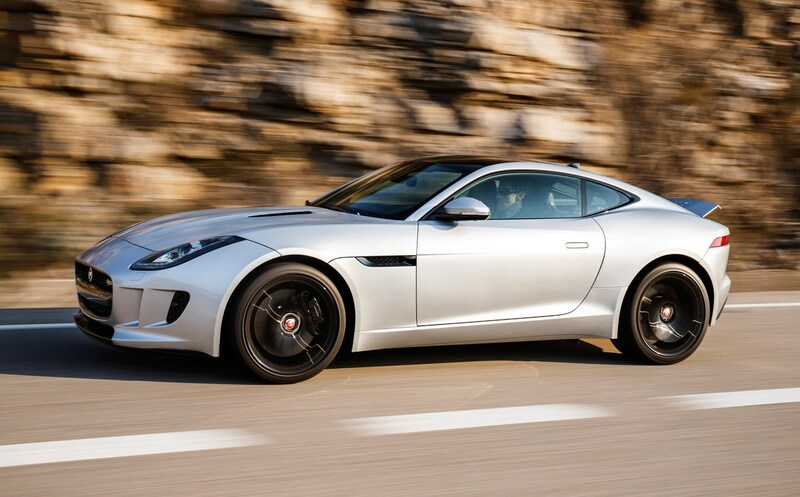 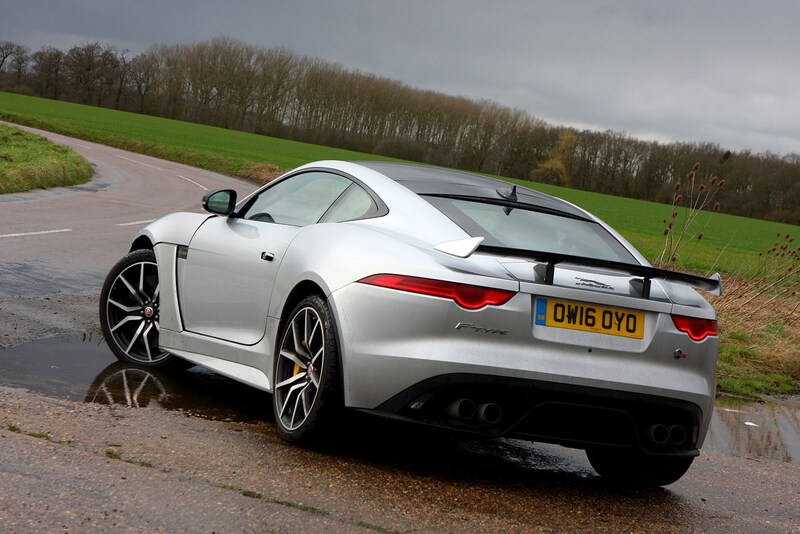 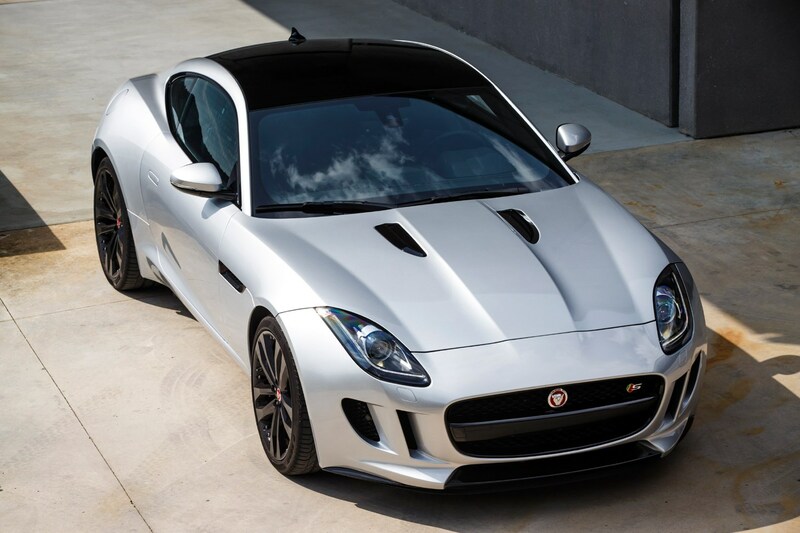 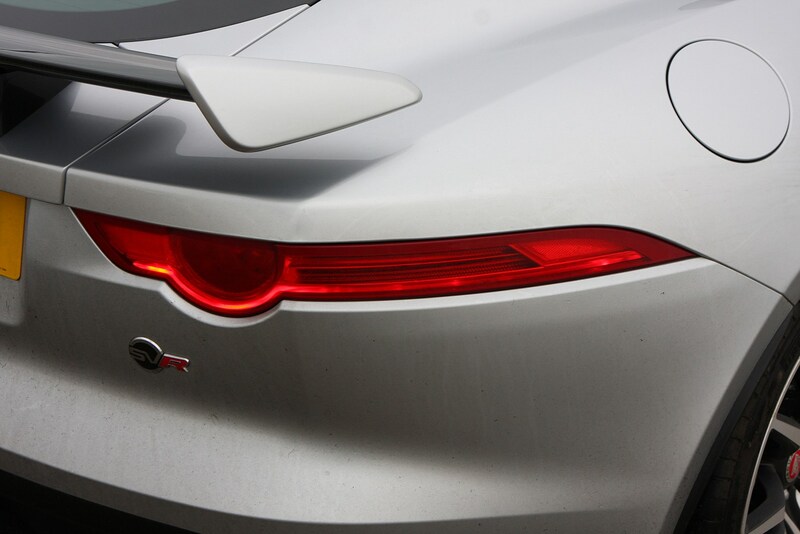 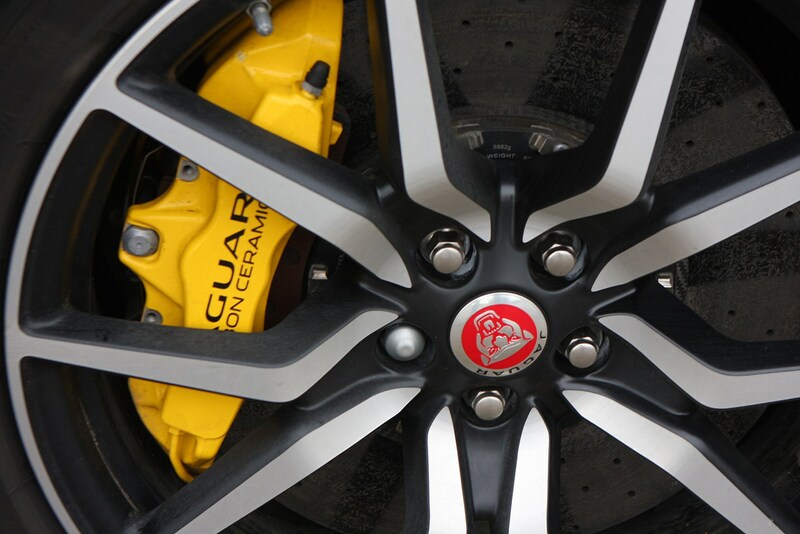 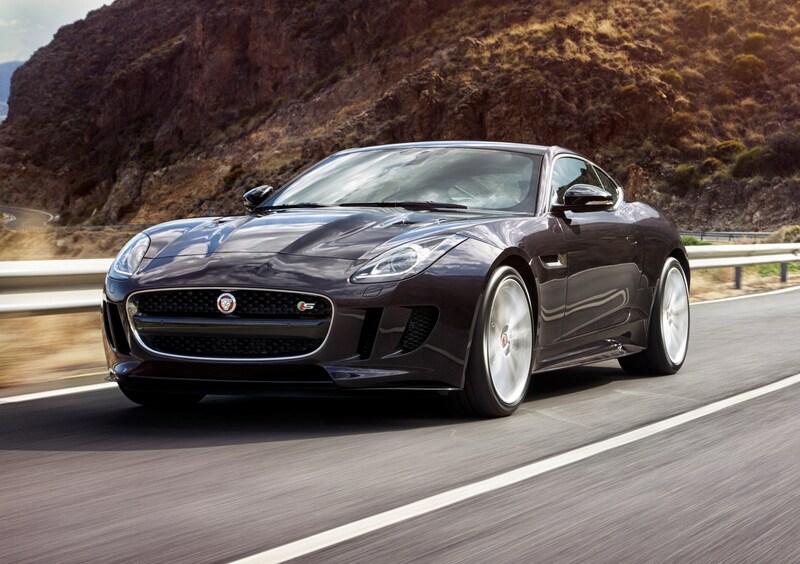 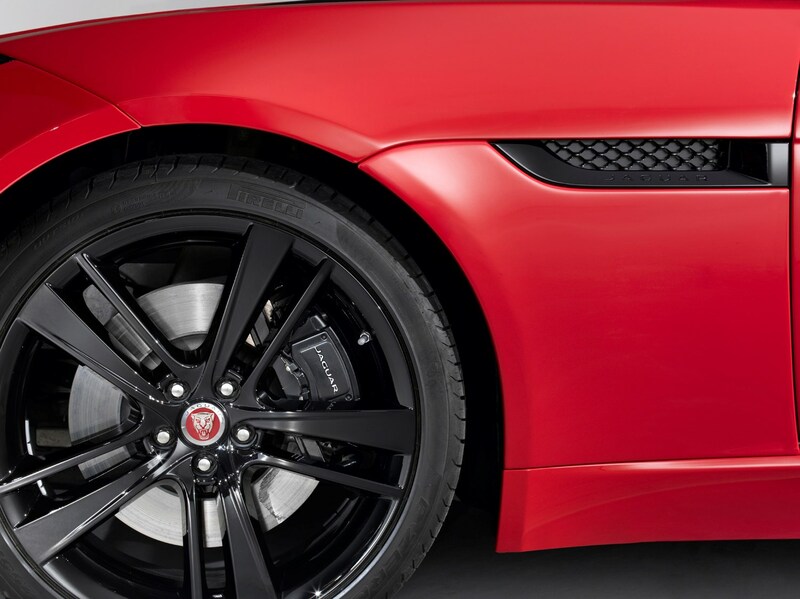 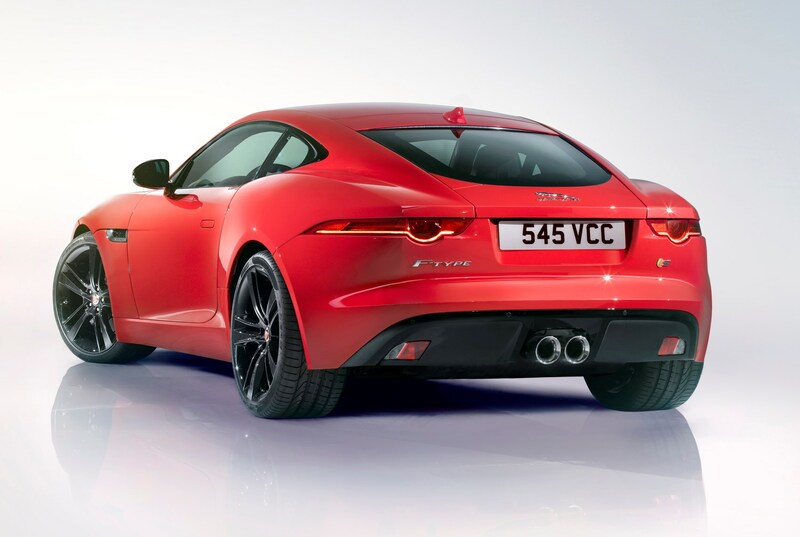 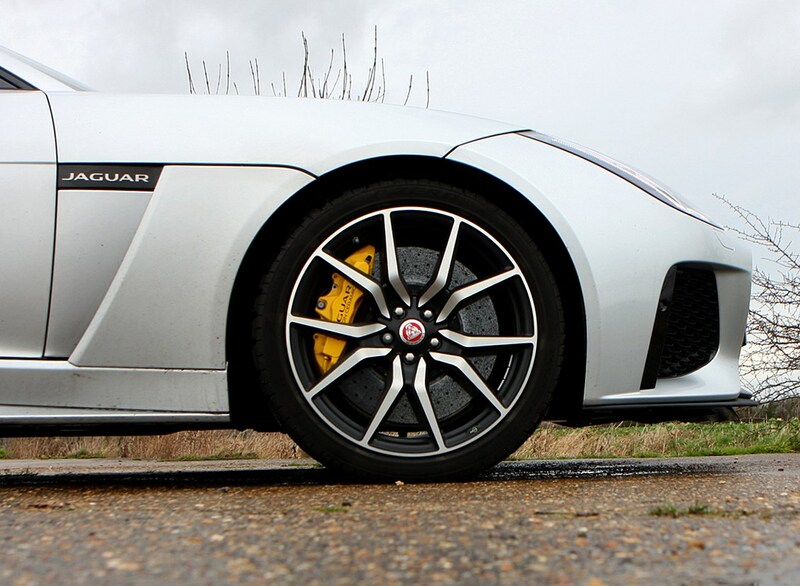 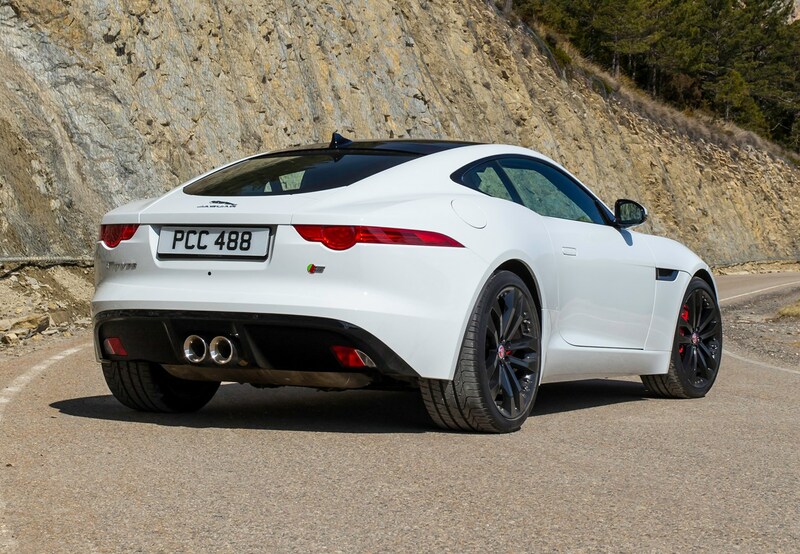 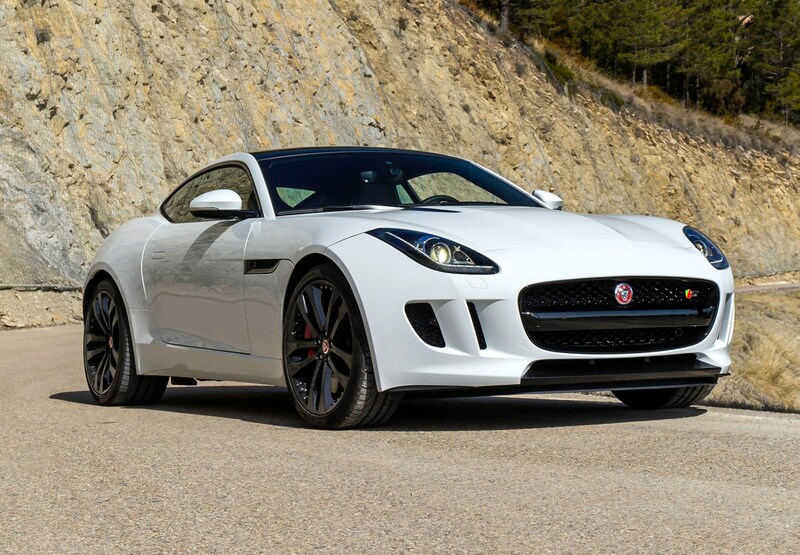 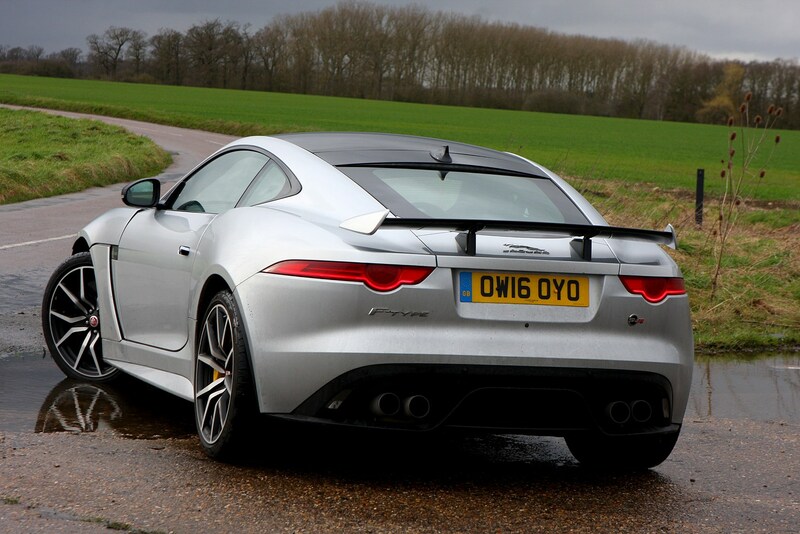 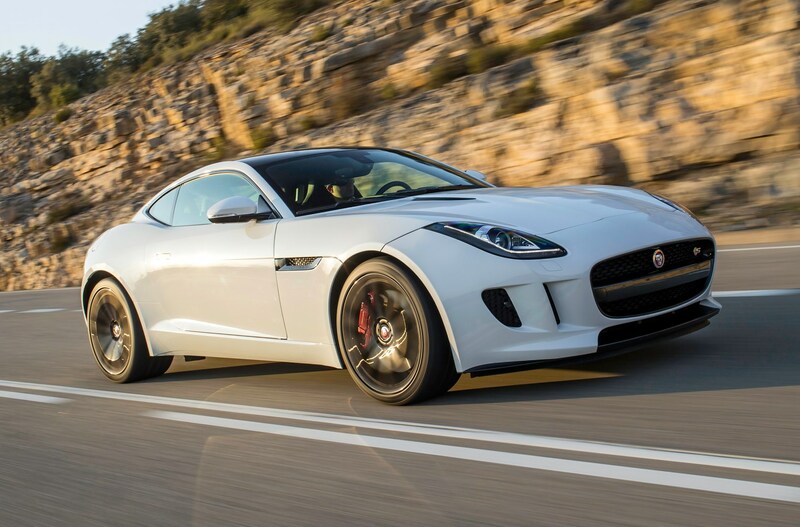 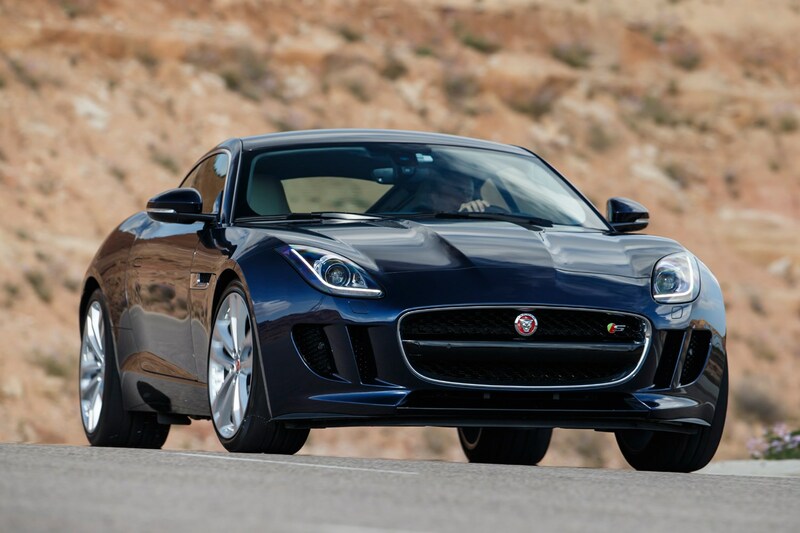 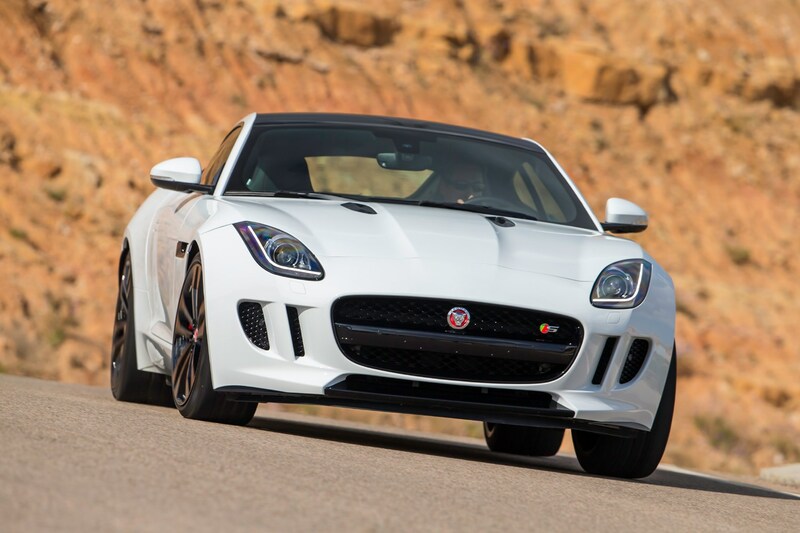 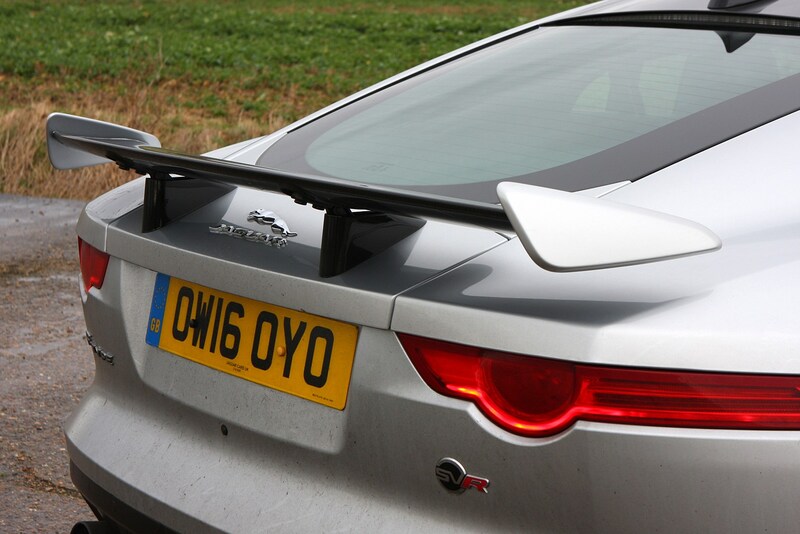 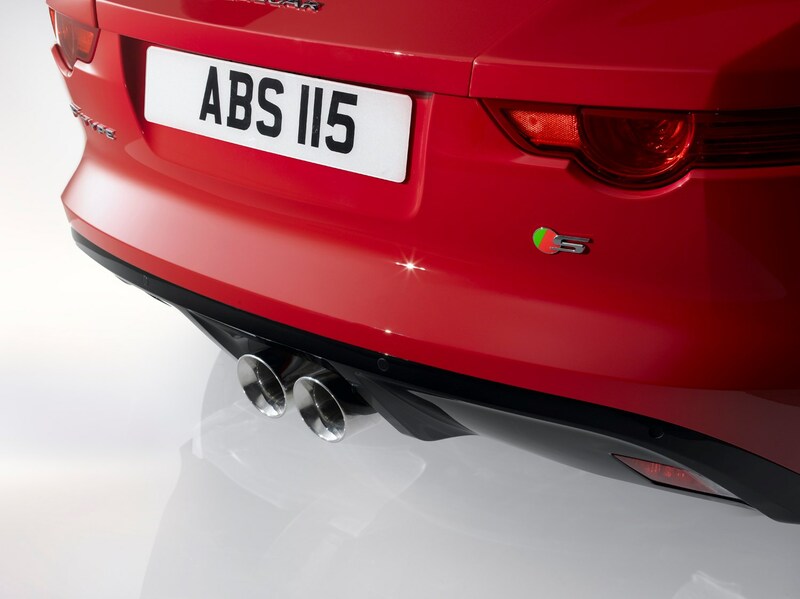 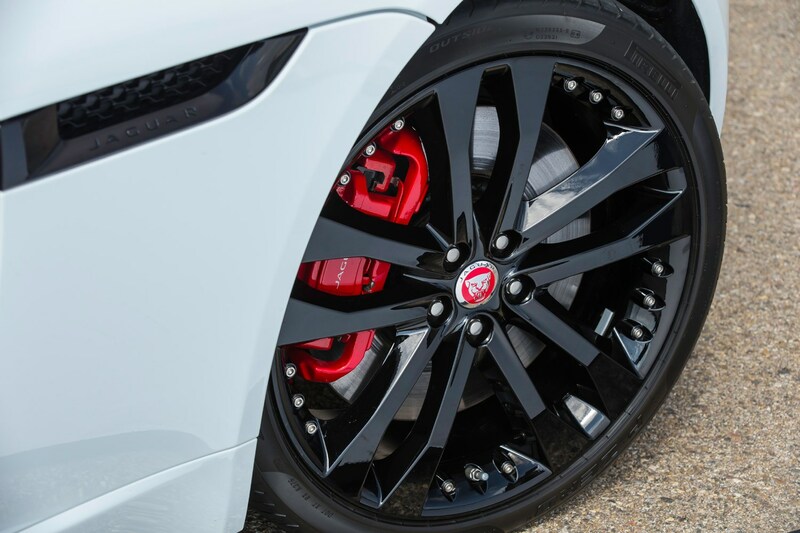 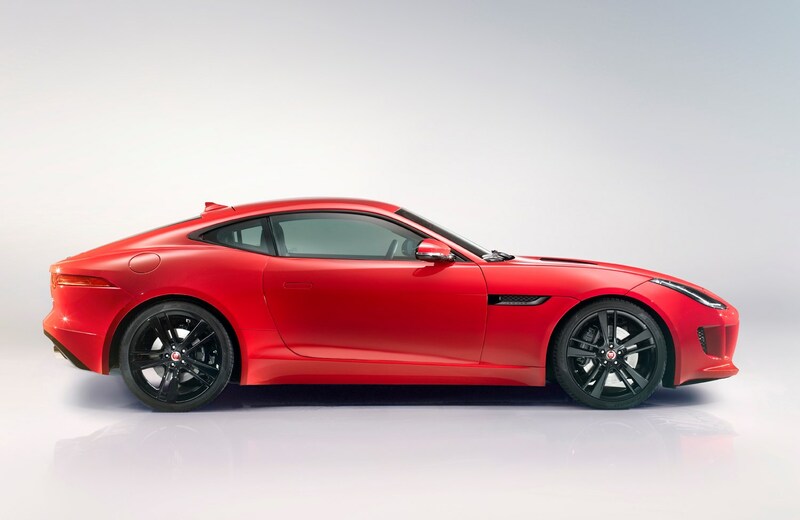 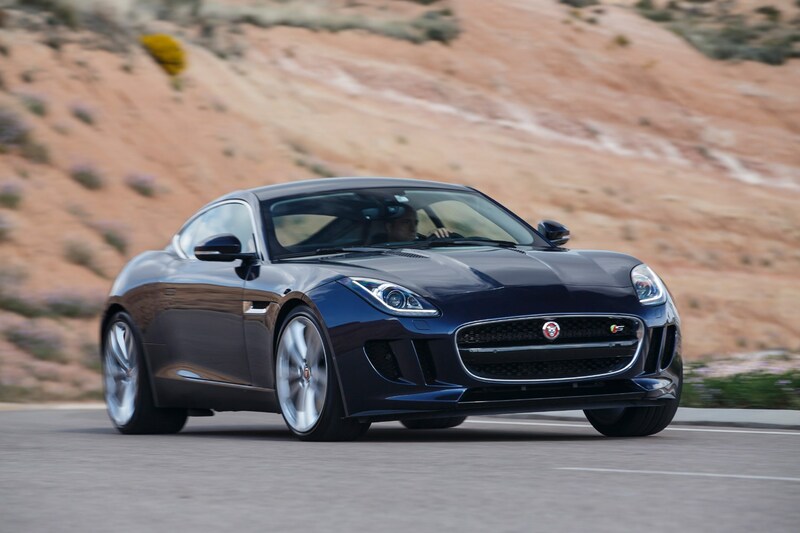 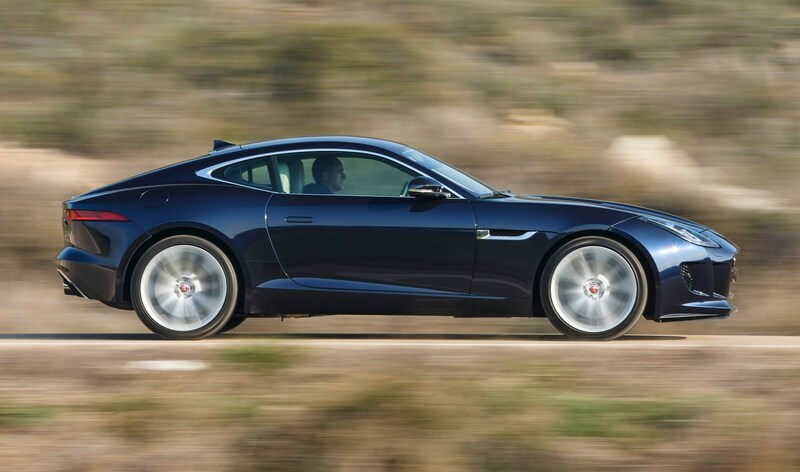 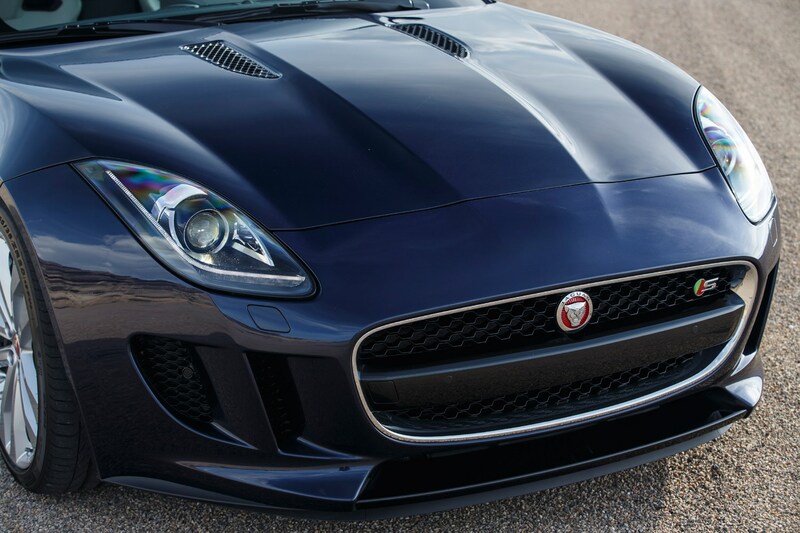 Revised suspension and a bold bodykit mark out the highest-performing F-Type. 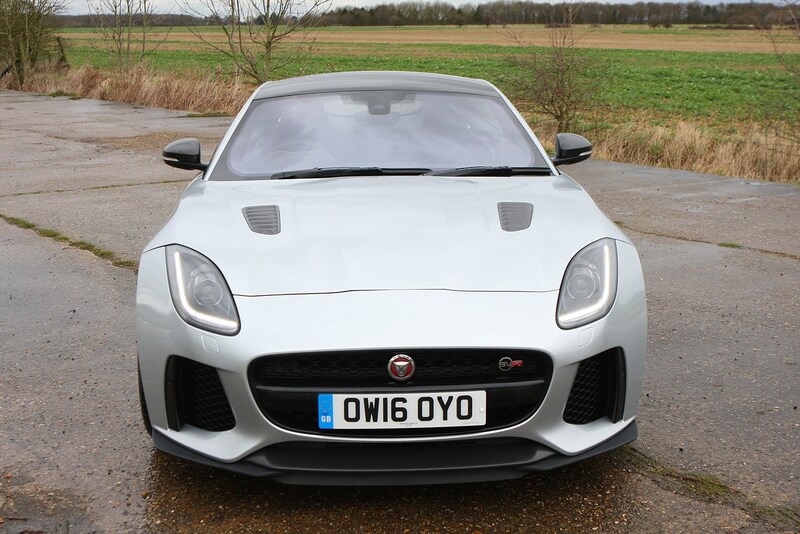 April 2017 – Mild facelift with revised LED lights and new bumpers, plus the introduction of the 2.0 i4 300hp version as the new entry-level F-Type. 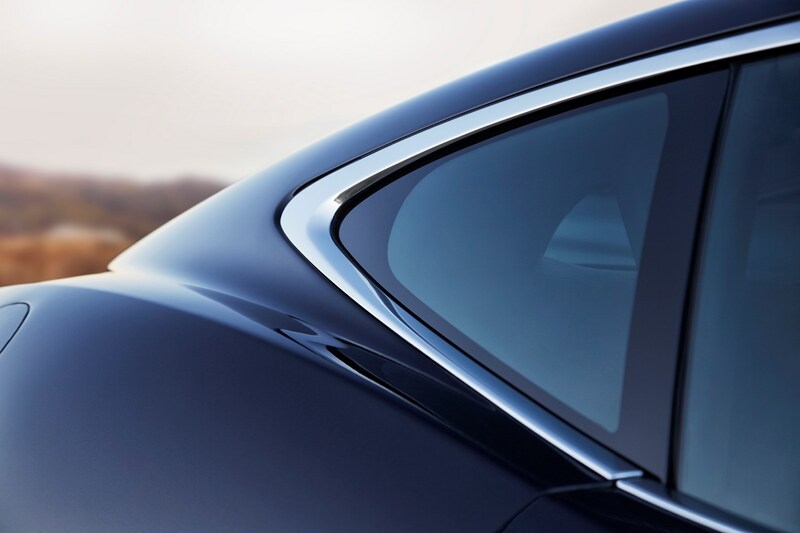 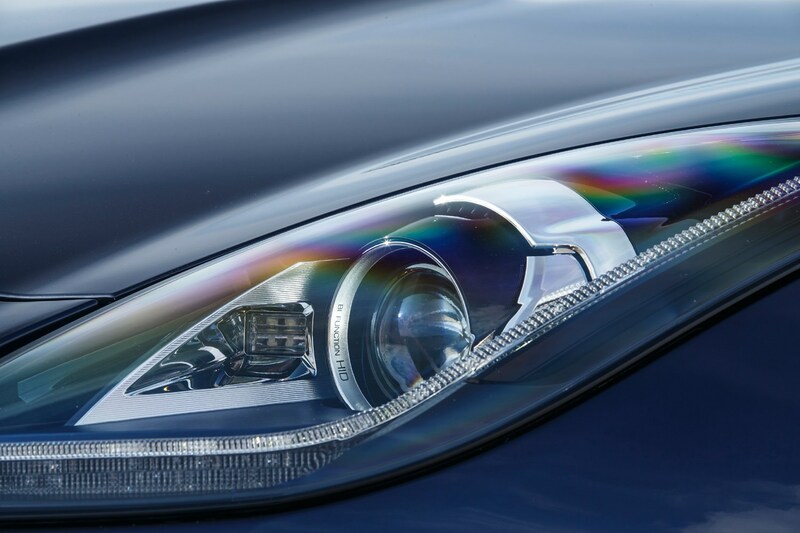 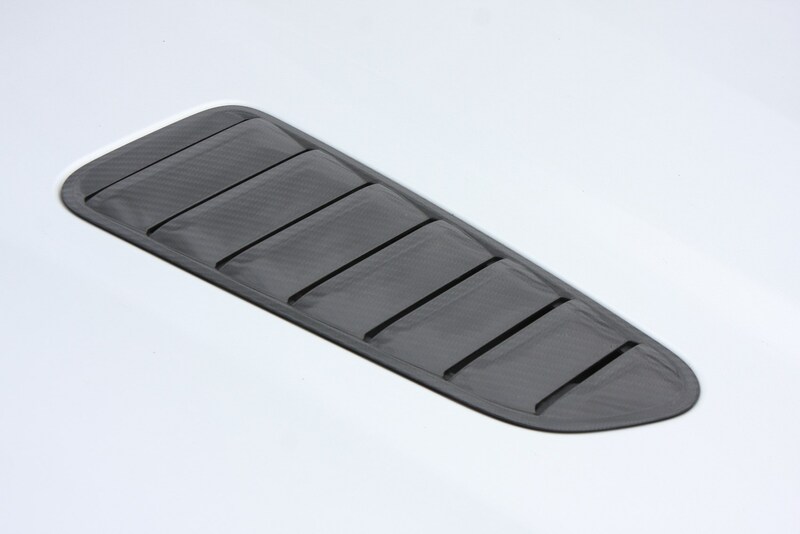 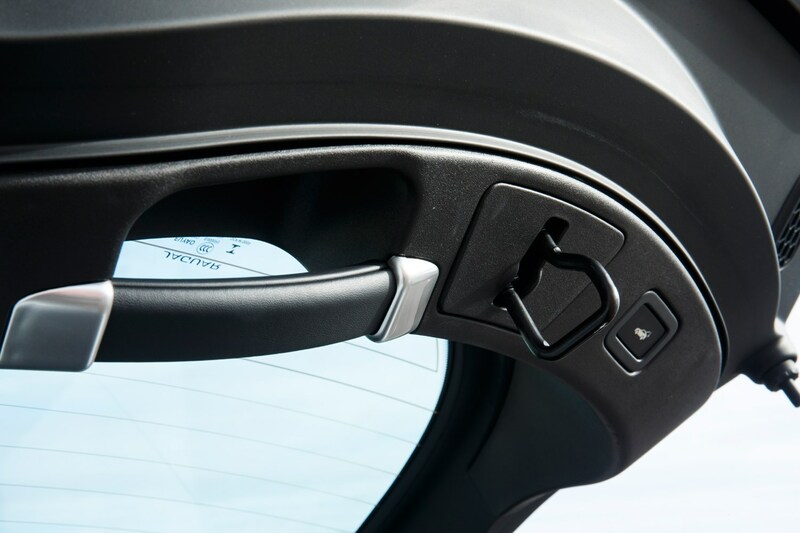 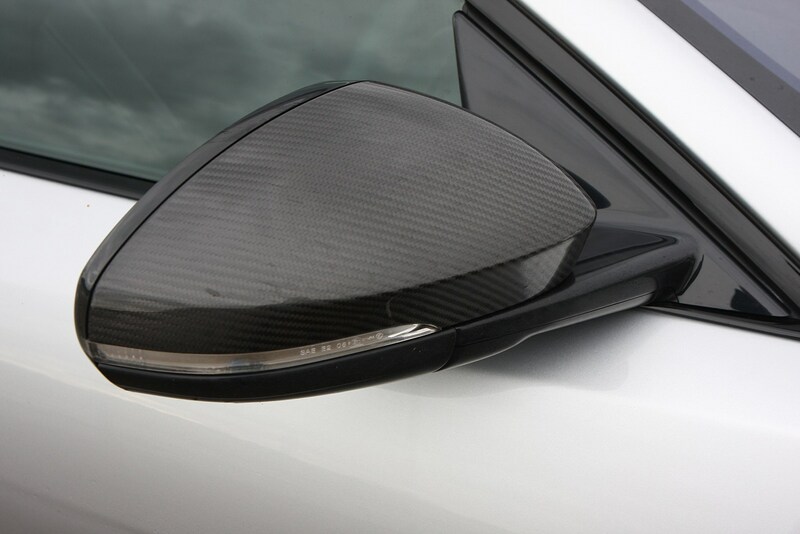 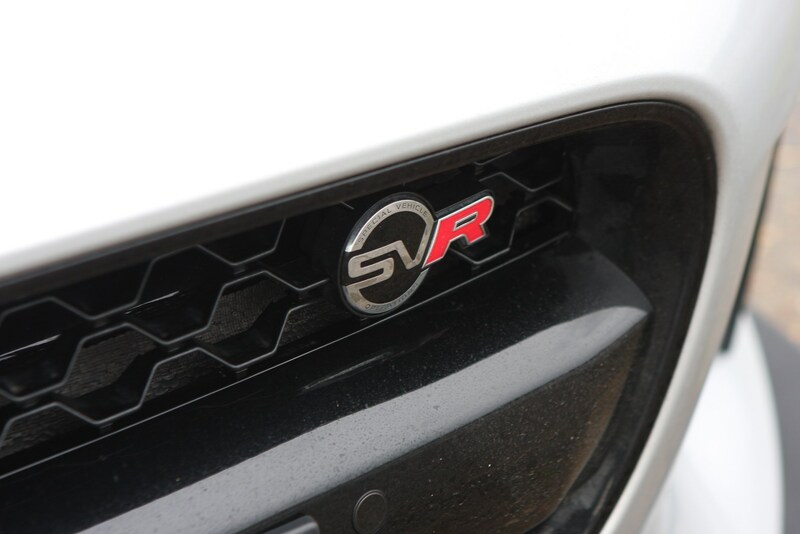 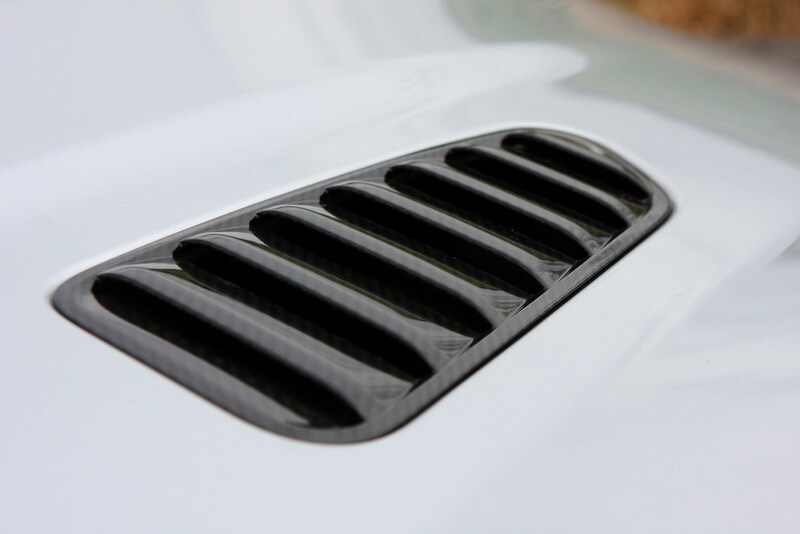 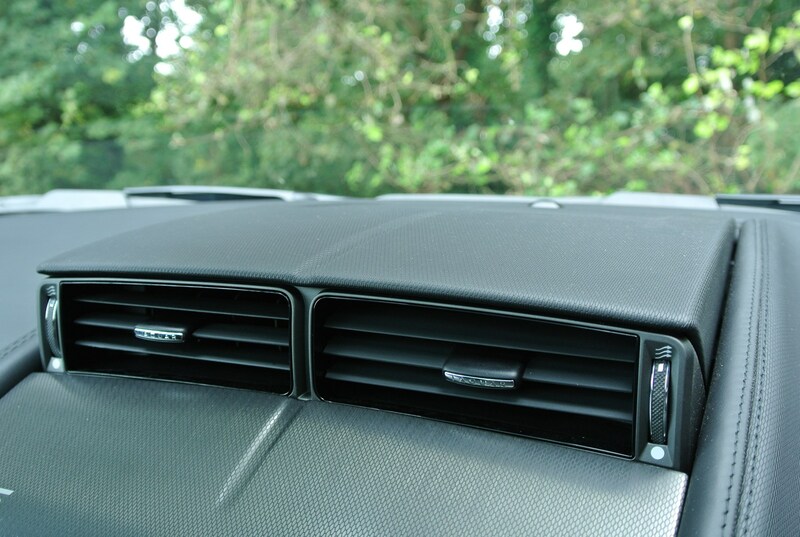 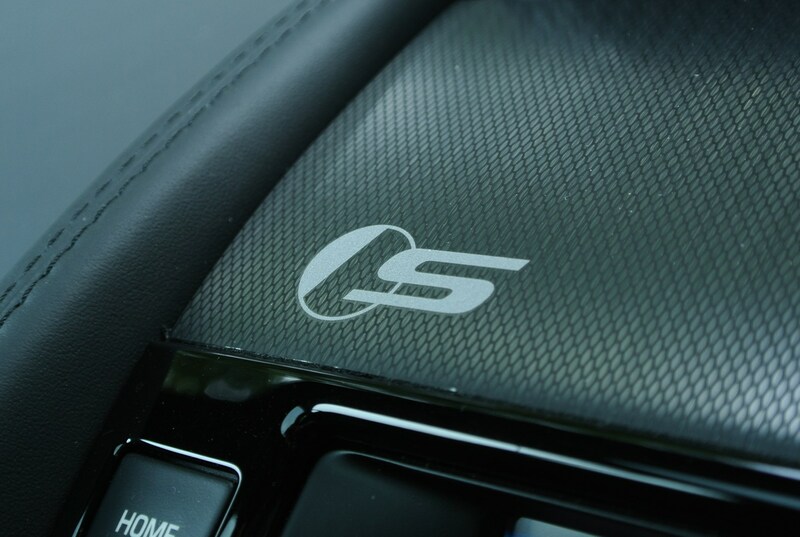 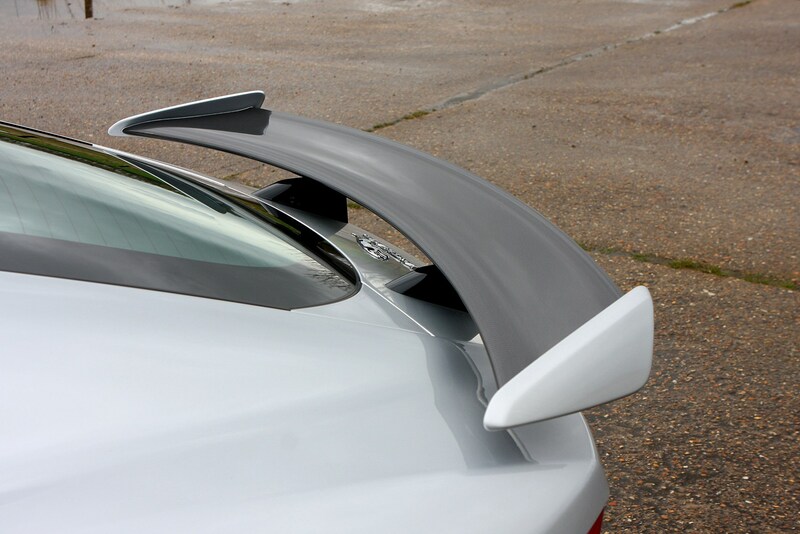 R-Dynamic trim level introduced with a higher level of specification than the standard- and S-grade cars. 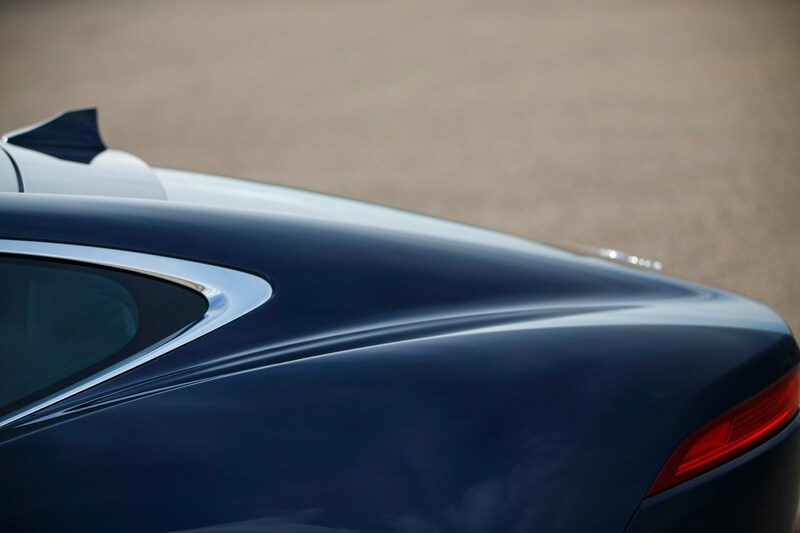 October 2018 – Limited edition Chequered Flag versions of the P300, P340 and P380 available to order, marking the 70th anniversary of the XK120’s introduction. 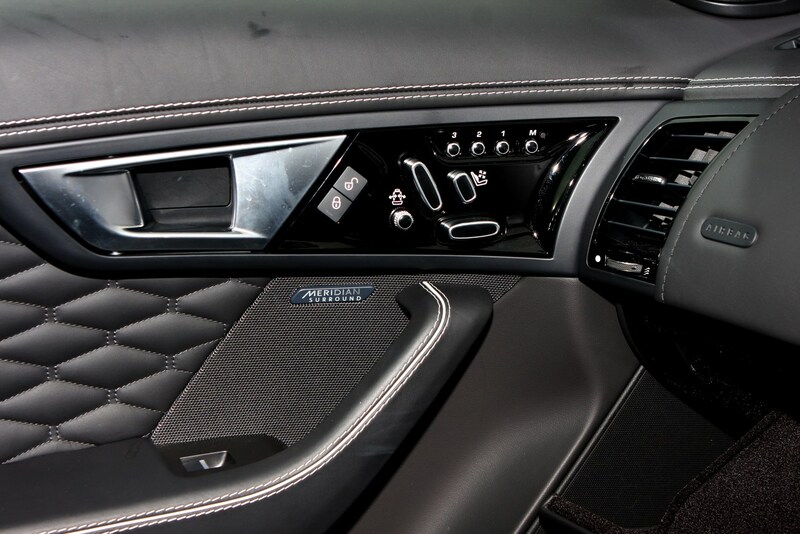 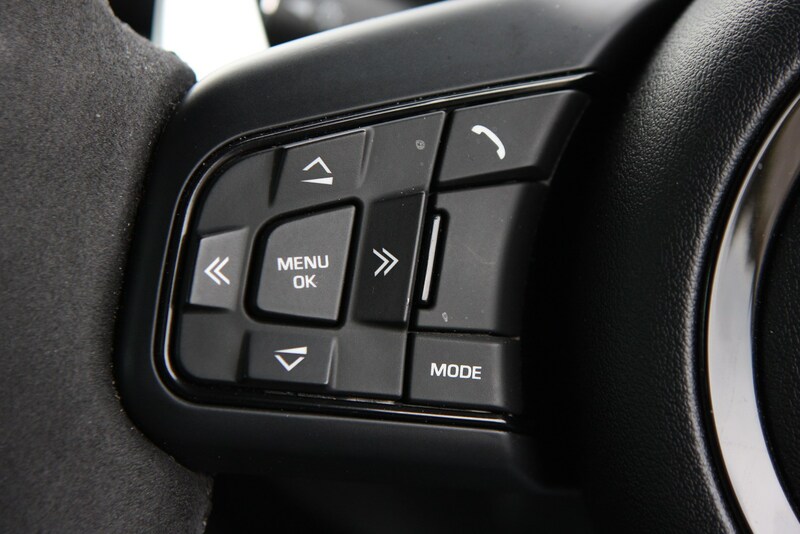 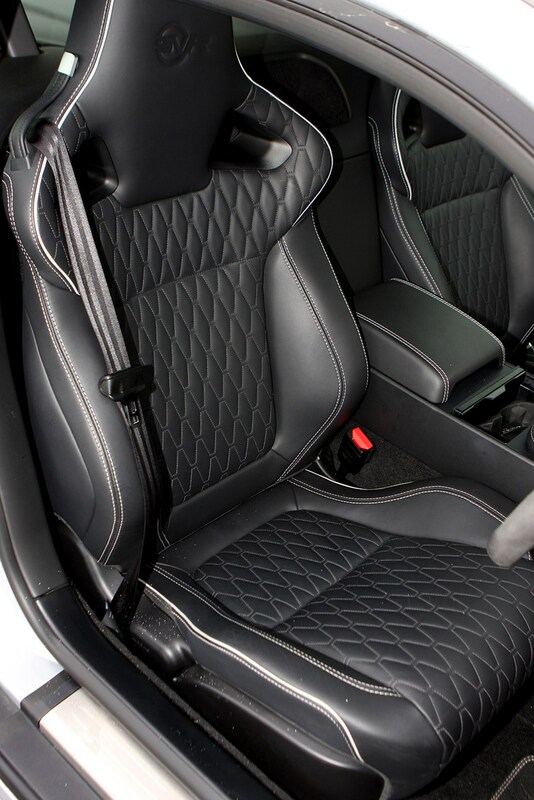 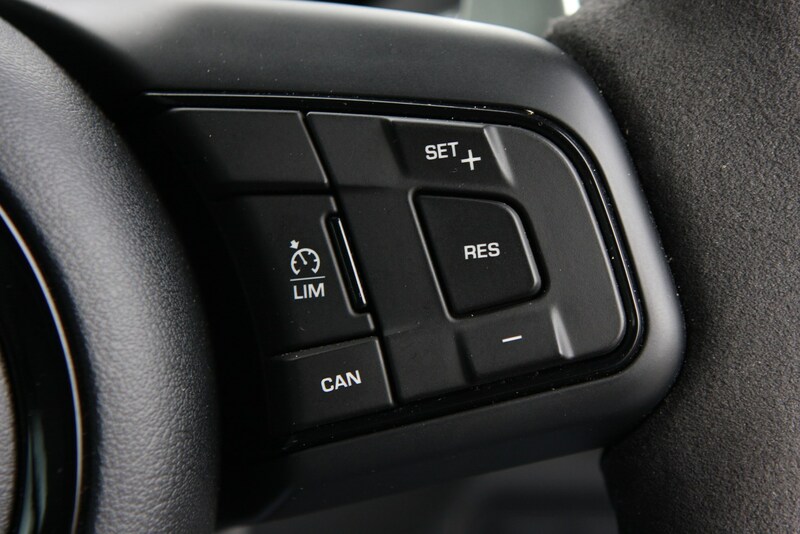 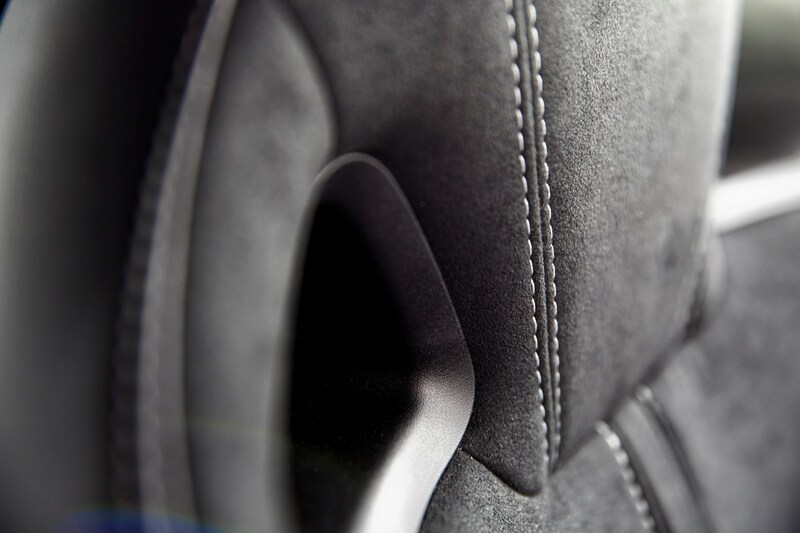 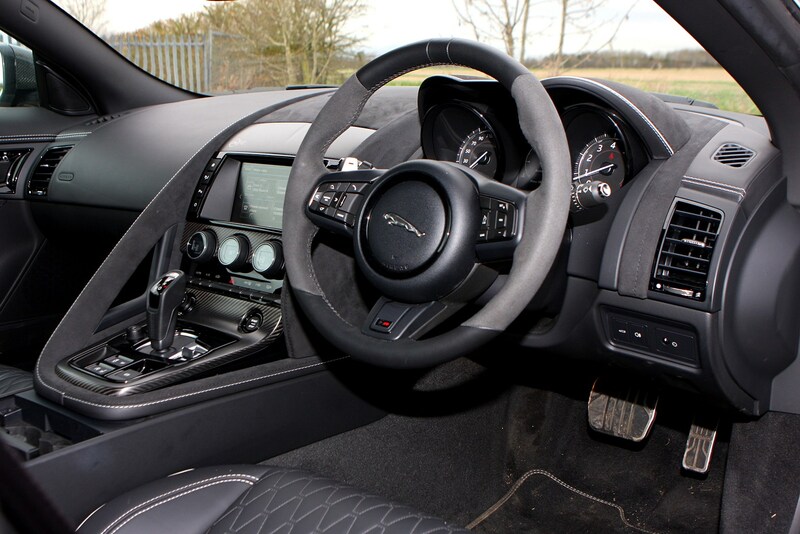 Special features include a contrast black roof, Windsor leather upholstery on the sports seats, a dark brushed aluminium centre console finish and a model-specific steering wheel. 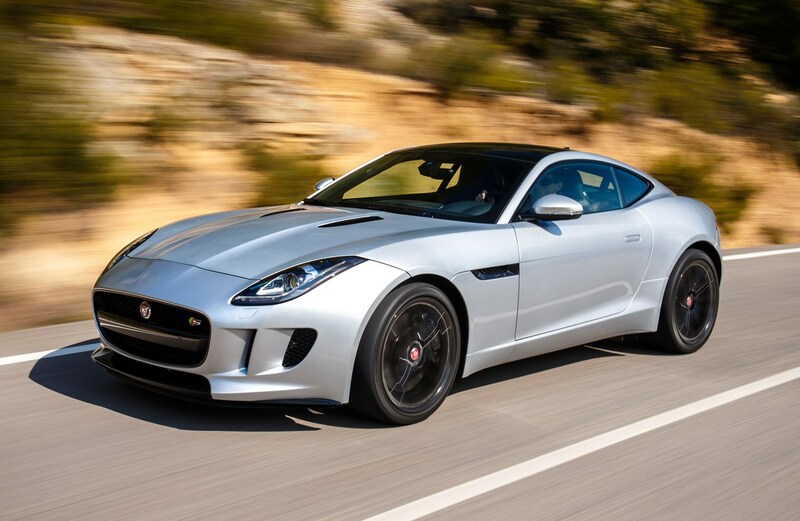 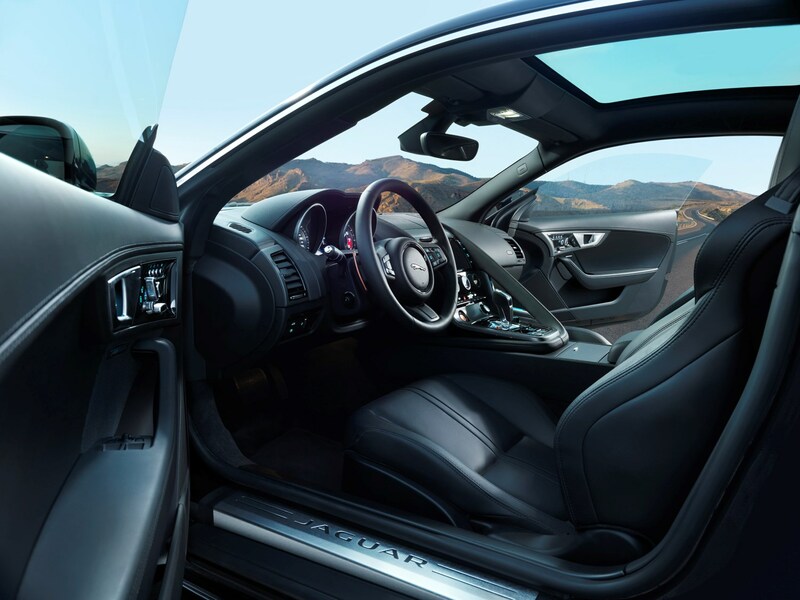 Despite being in showrooms since 2014, demand for Jaguar’s F-Type Coupe has remained strong, but not resilient enough to mean you can’t get a healthy discount on a new one, so haggle with confidence. 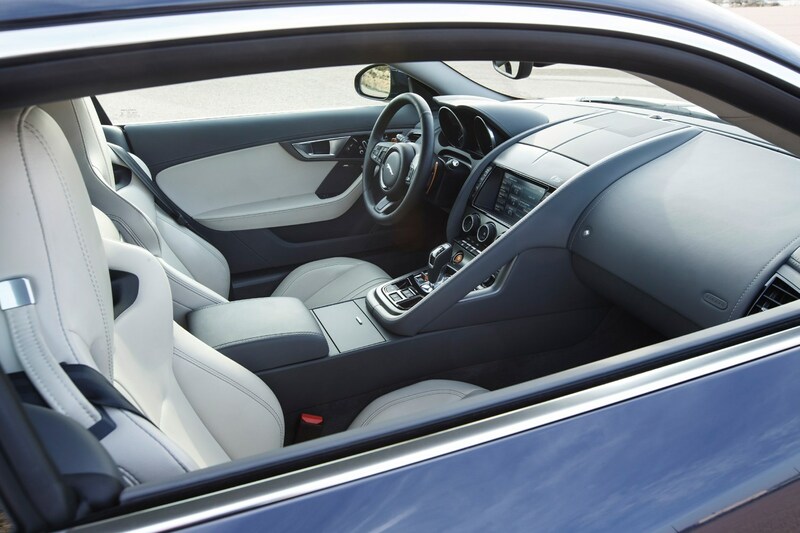 There’s a fair breadth of models to choose from, but the sweetest spot in the range is occupied by the rear-wheel drive P380 – the V6 S if you’re driving an earlier car. 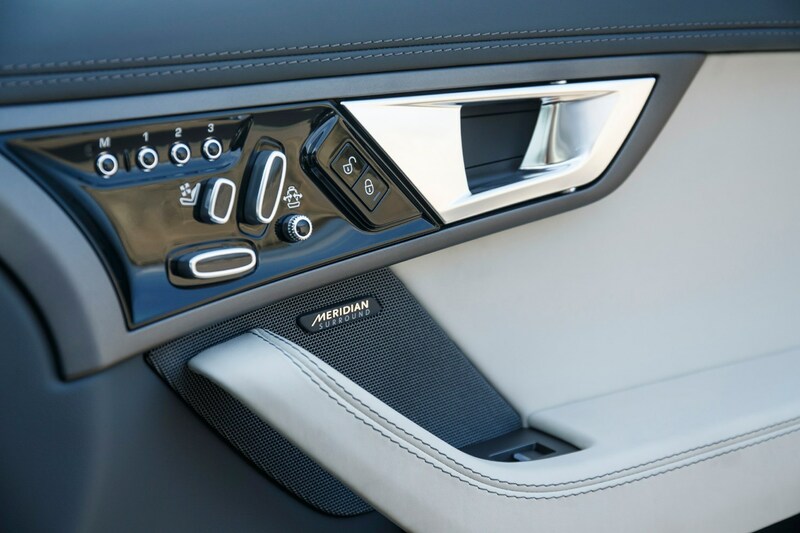 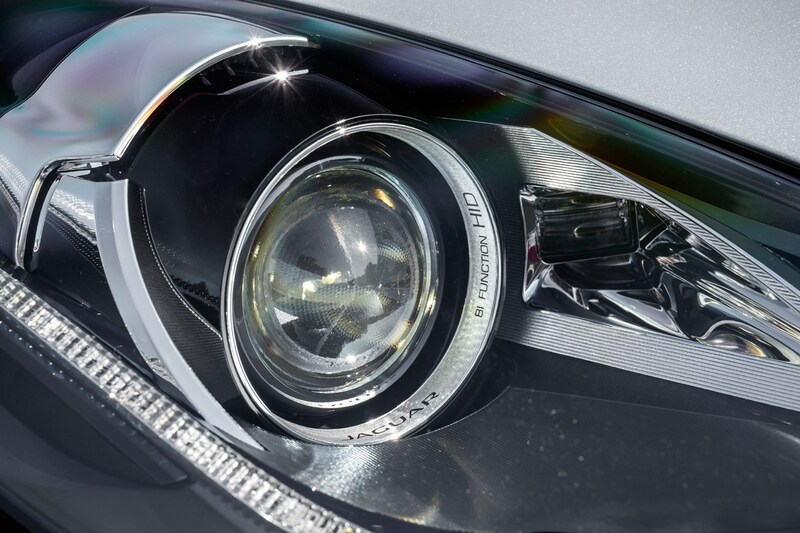 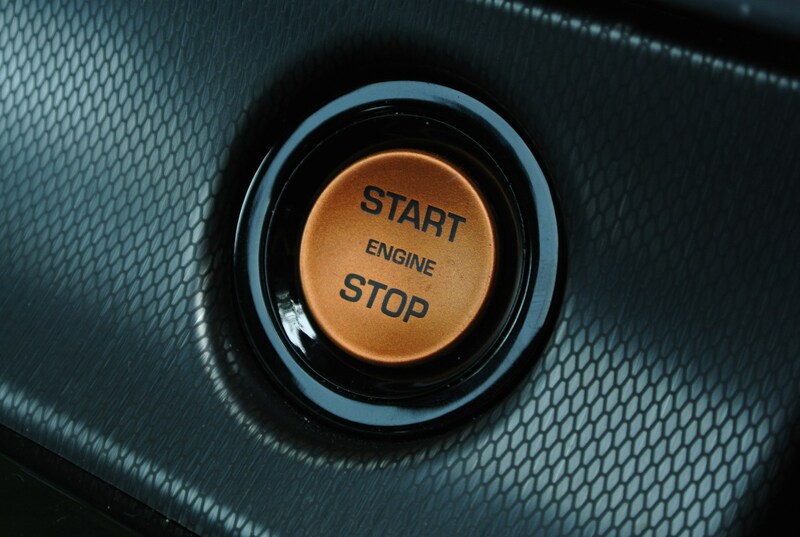 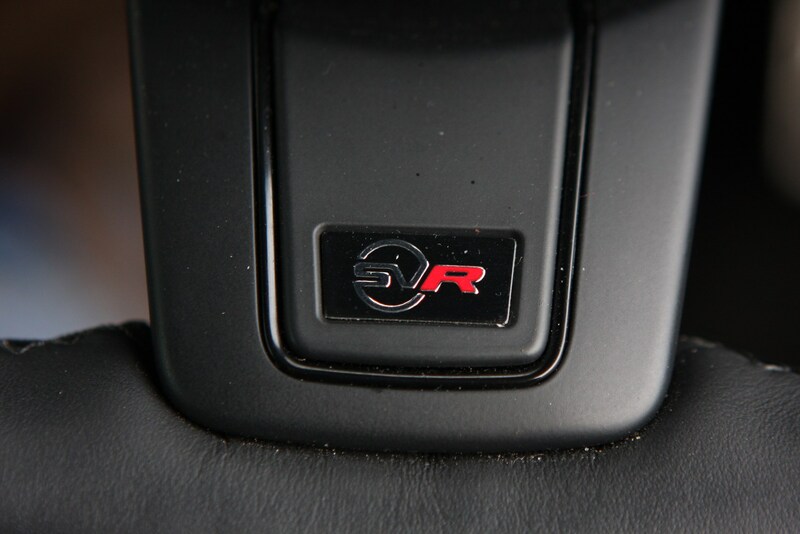 We’d opt for ours in the better-appointed R-Dynamic trim level. 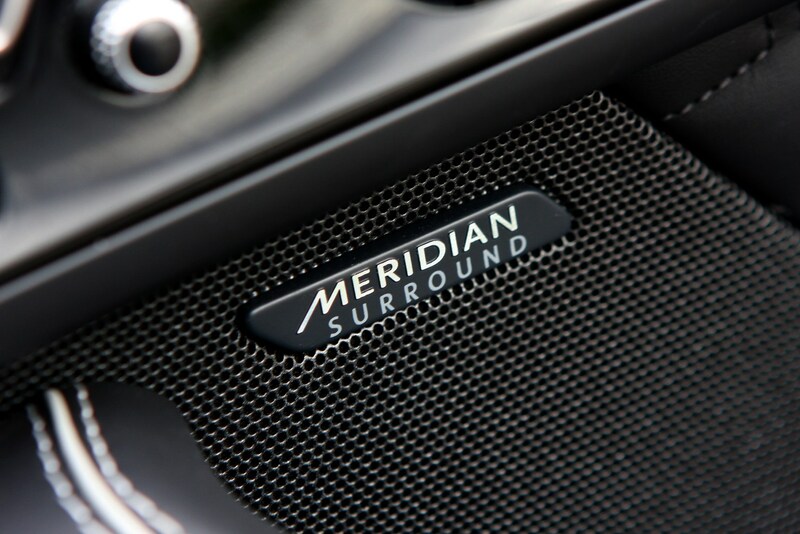 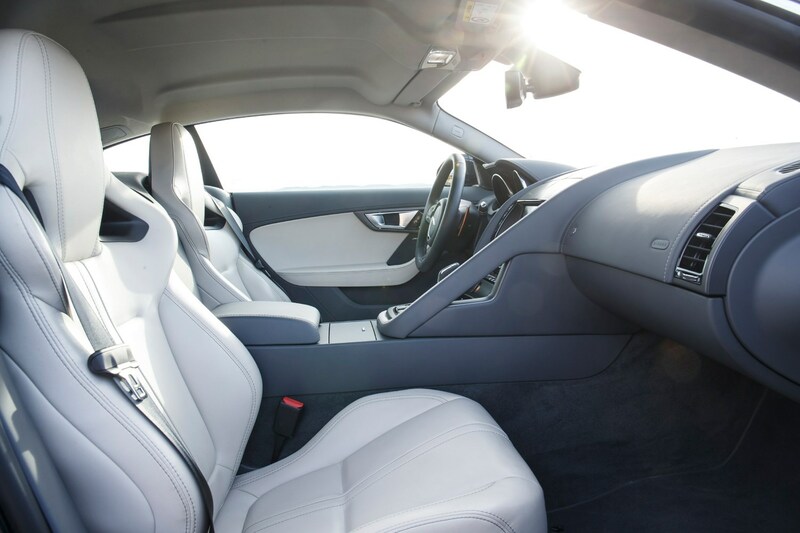 We’d go sensible with the options and suggest limiting yourself to the upgraded 770-Watt sound system and the premium Windsor leather upgrade for an even more luxurious feeling inside the cabin – it helps lift the ambience a little. 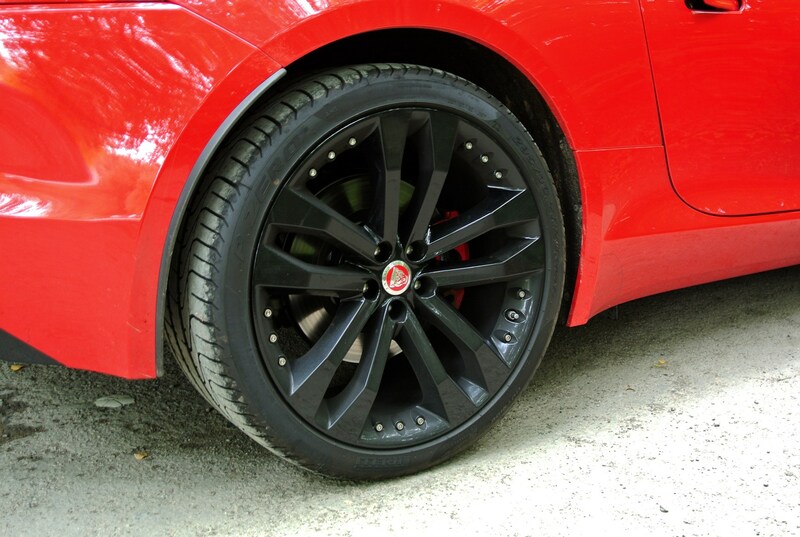 Sticking to the standard 19-inch wheels will also pay dividends when it comes to ride quality. 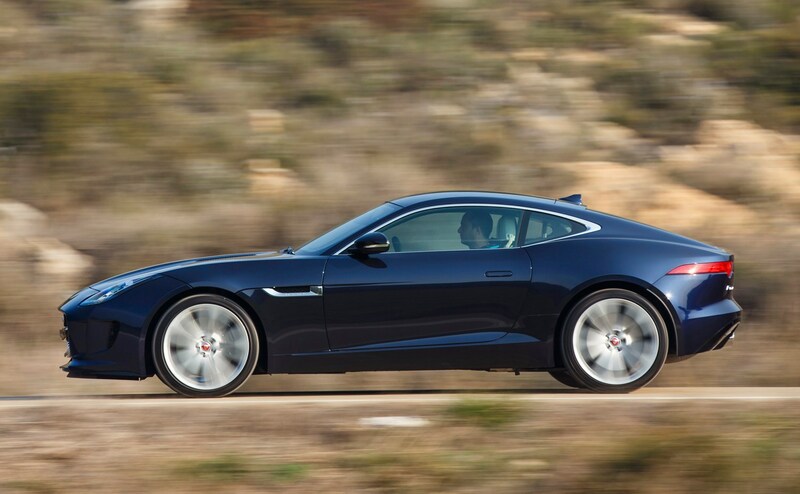 There’s a decent supply of used F-Type Coupes around the Jaguar dealer network and beyond, but any choice you make needs to be a carefully considered one. 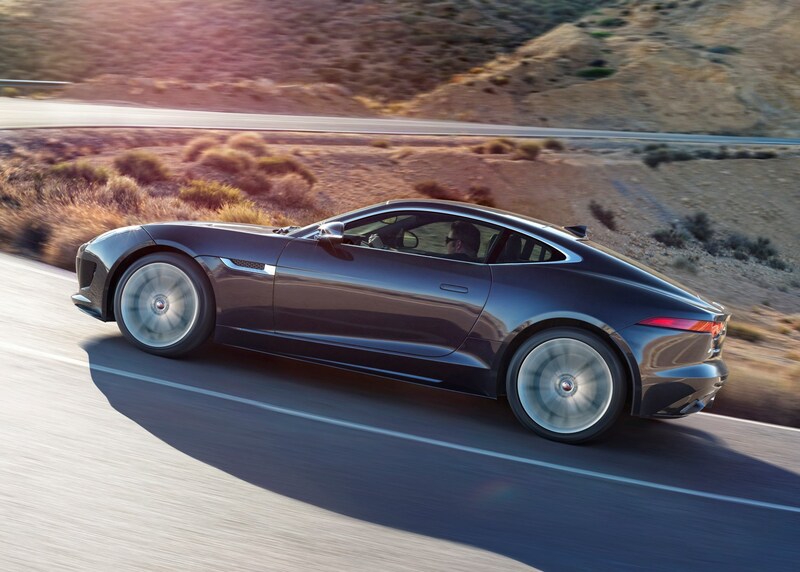 Walk away if there’s not a meticulously kept service history and paperwork illustrating every penny spent on it, including all of that recall work. 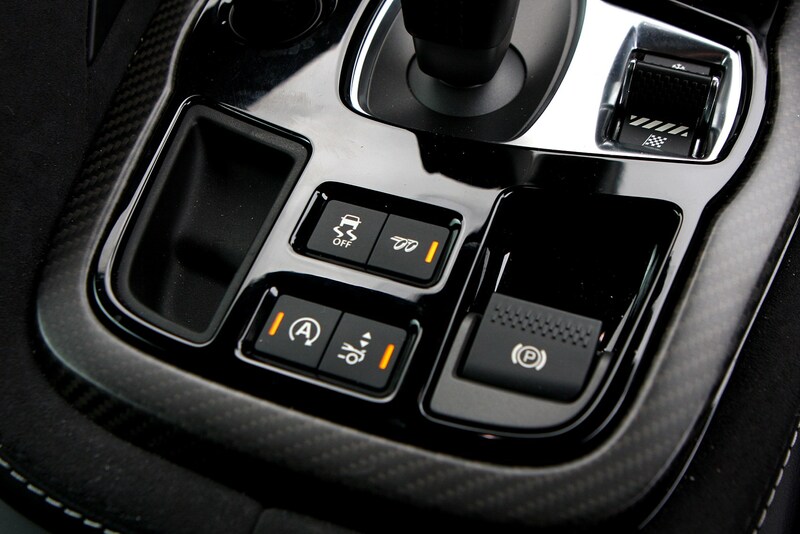 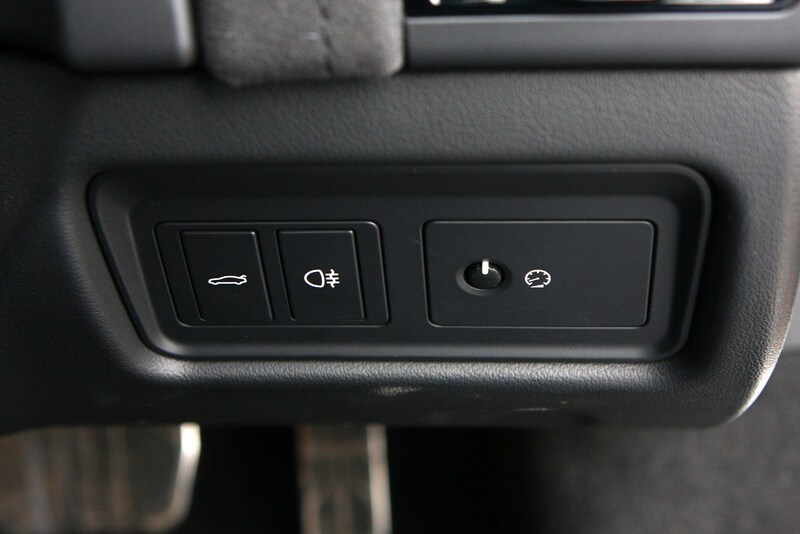 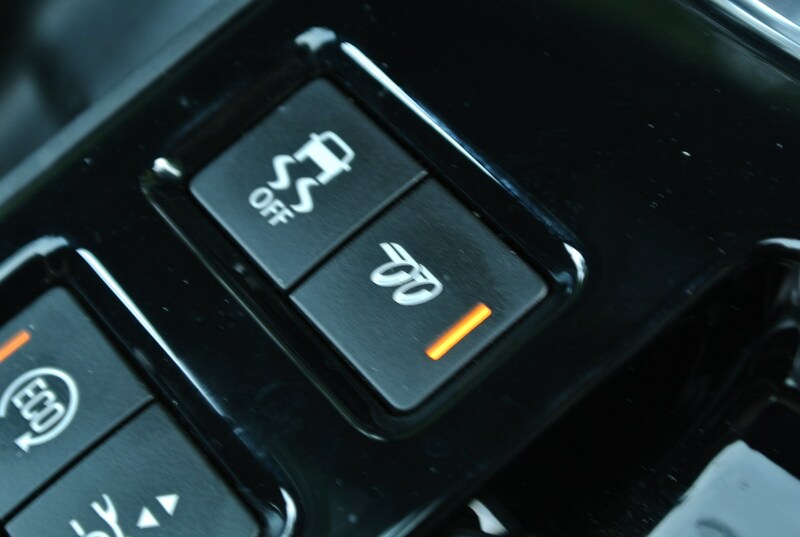 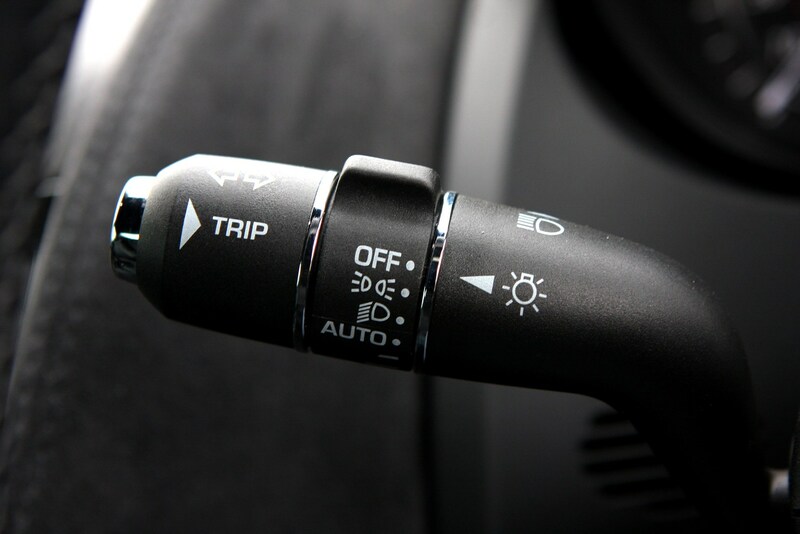 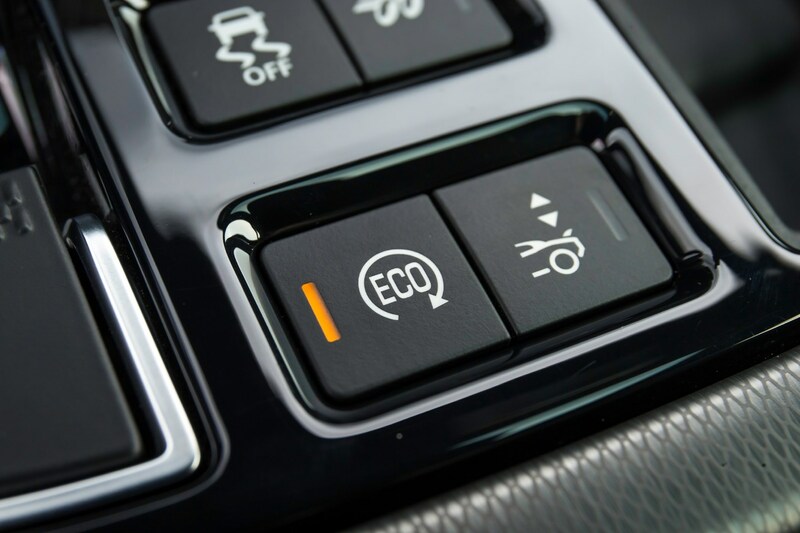 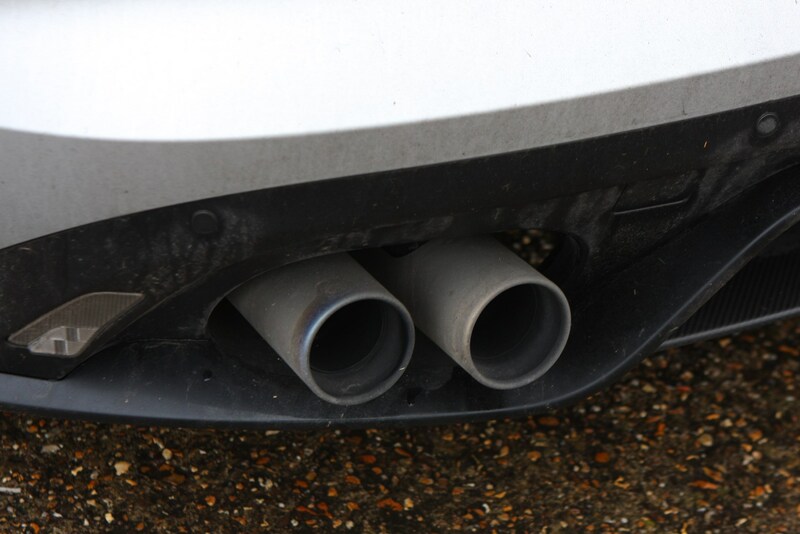 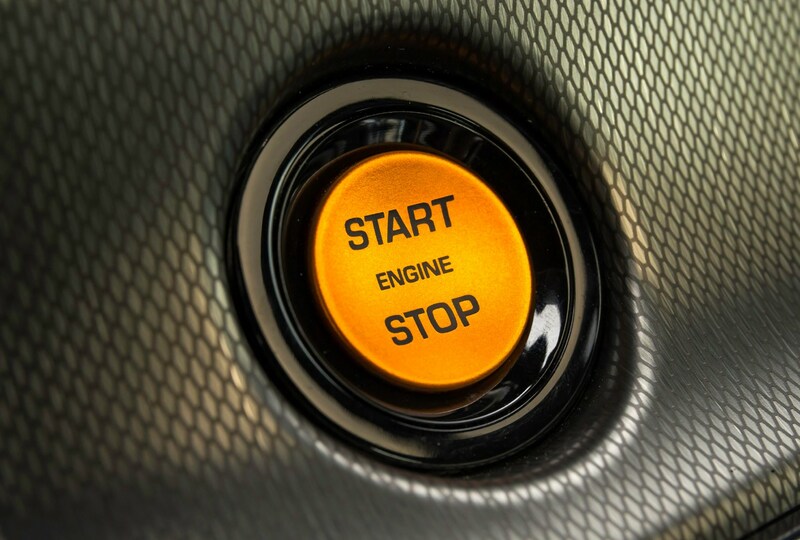 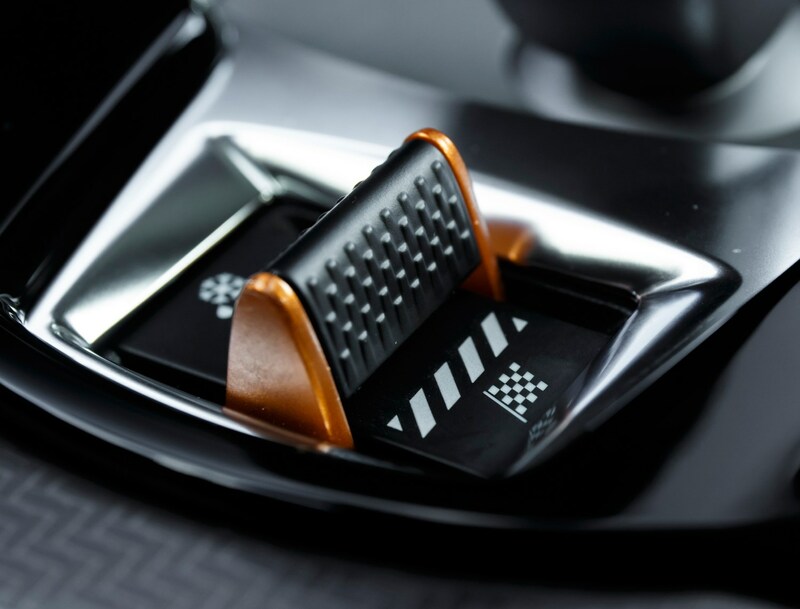 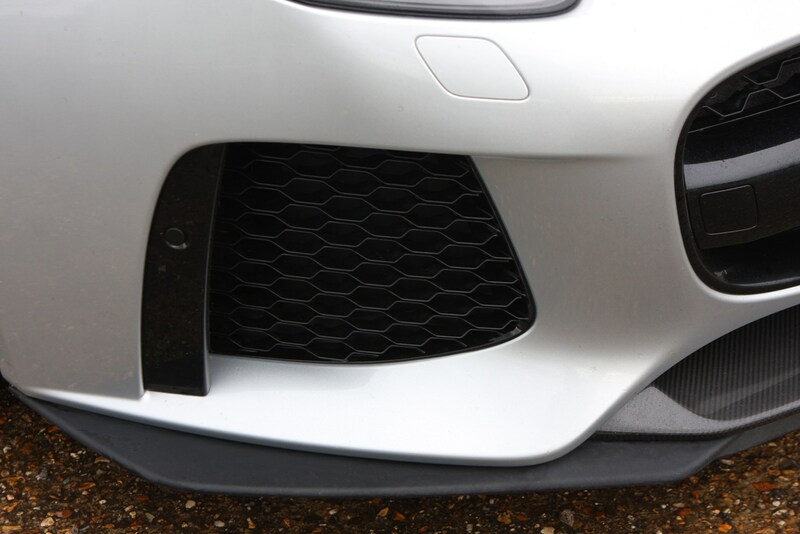 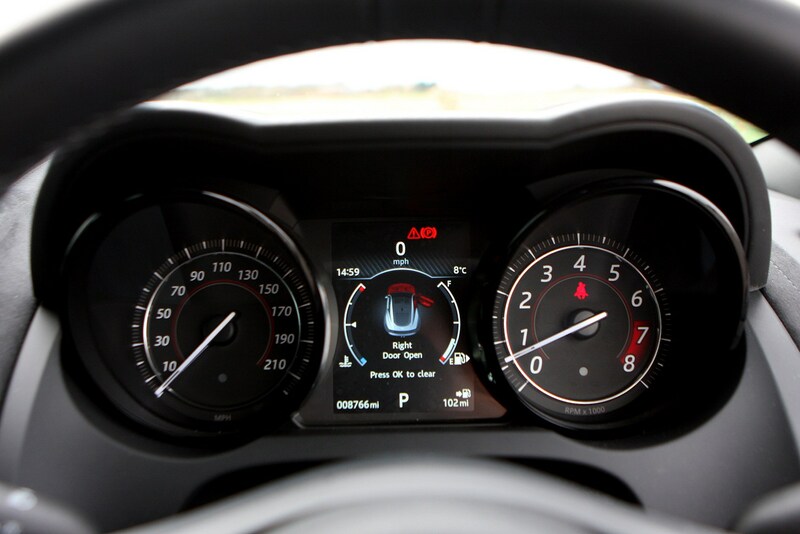 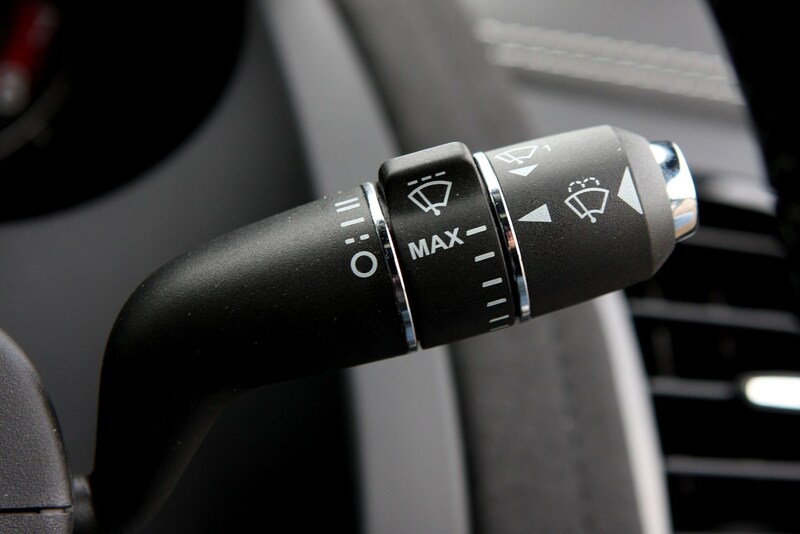 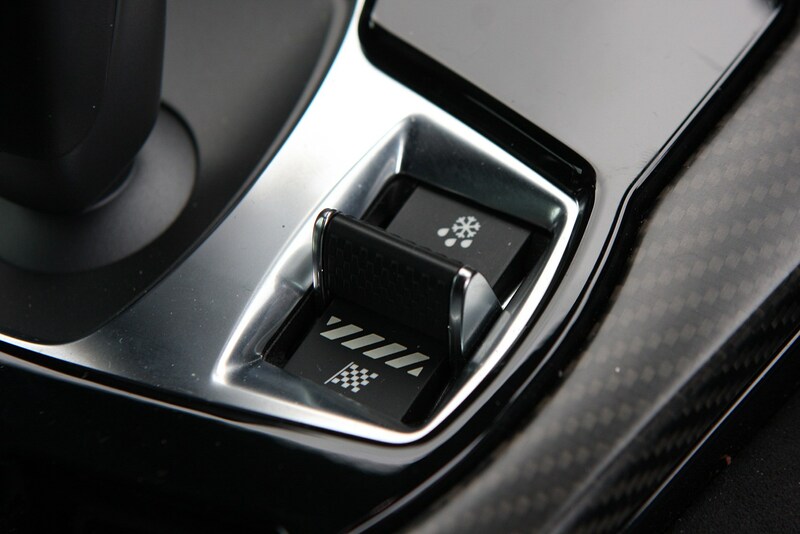 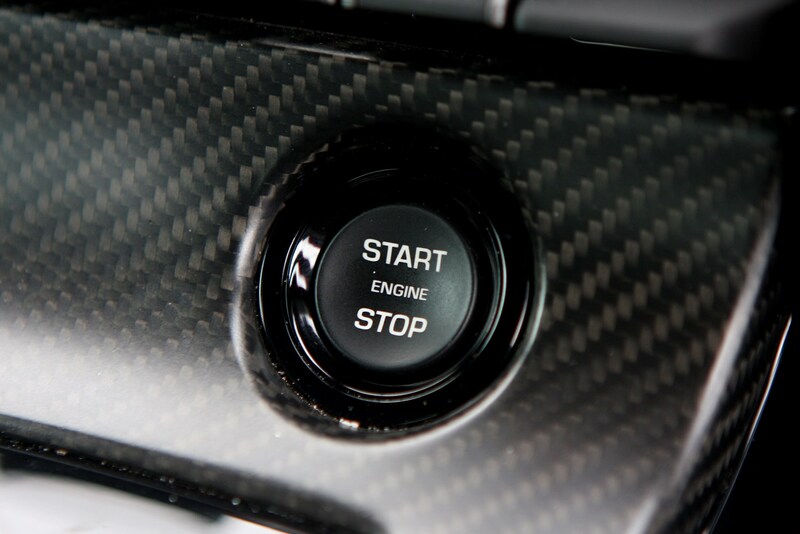 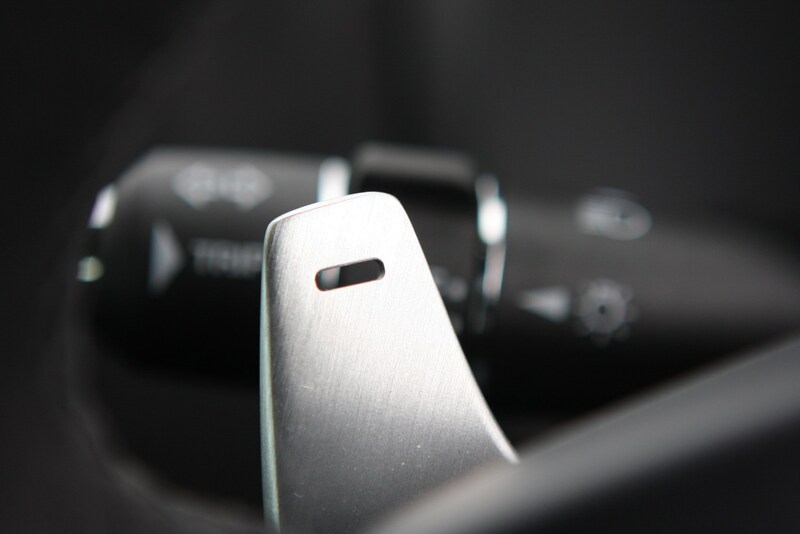 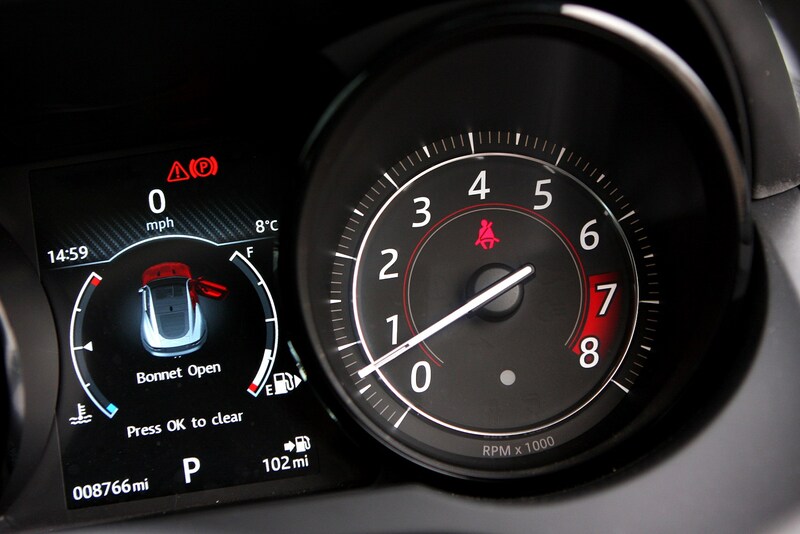 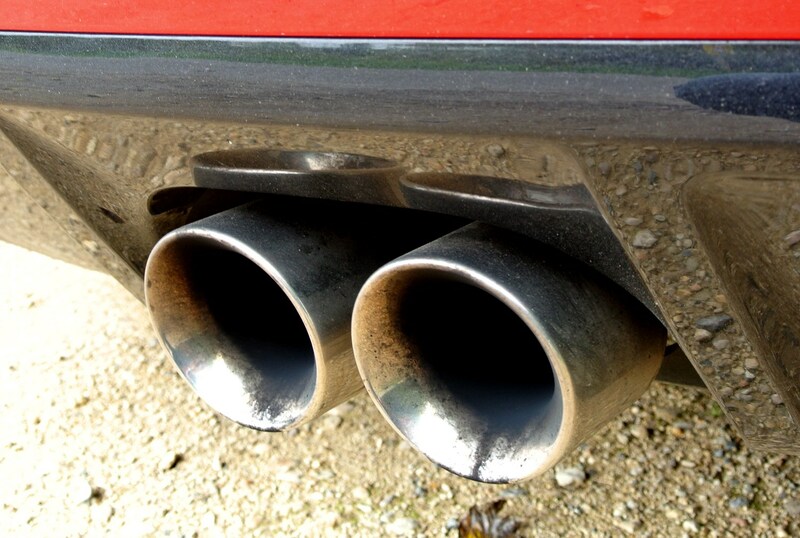 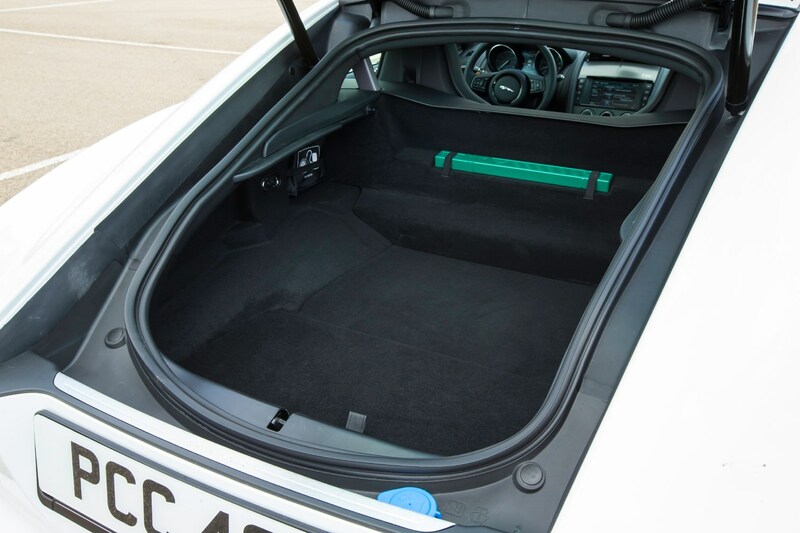 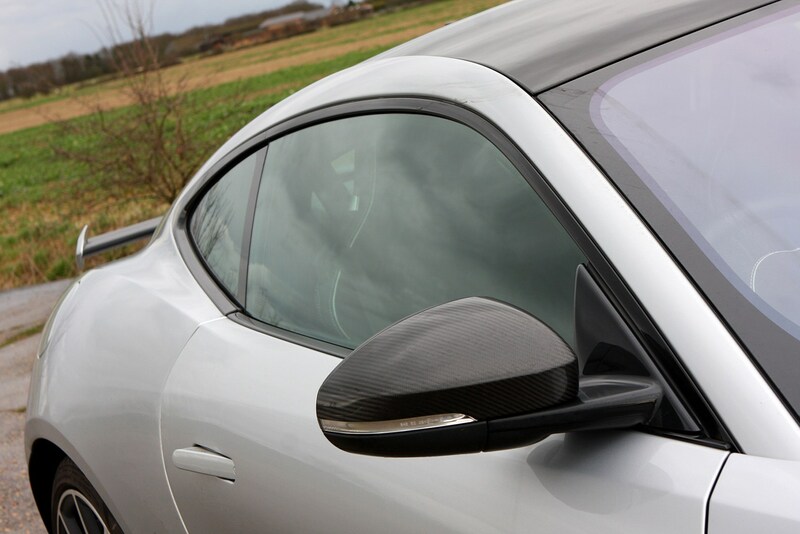 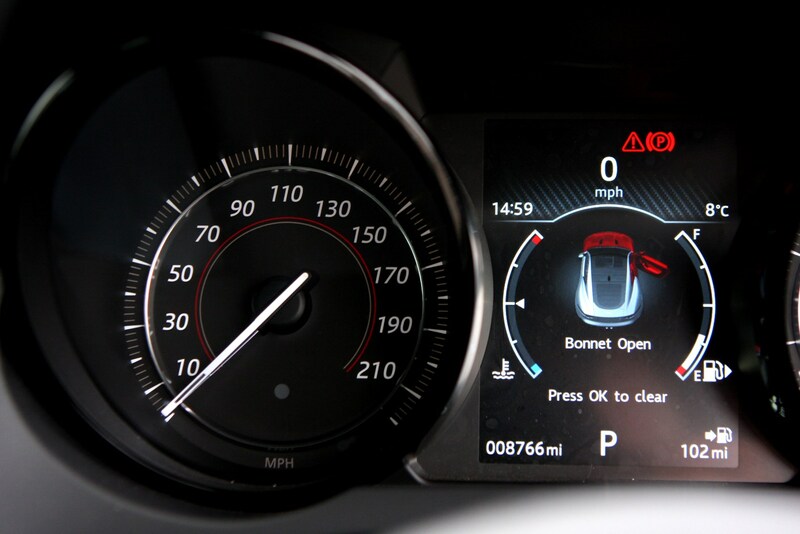 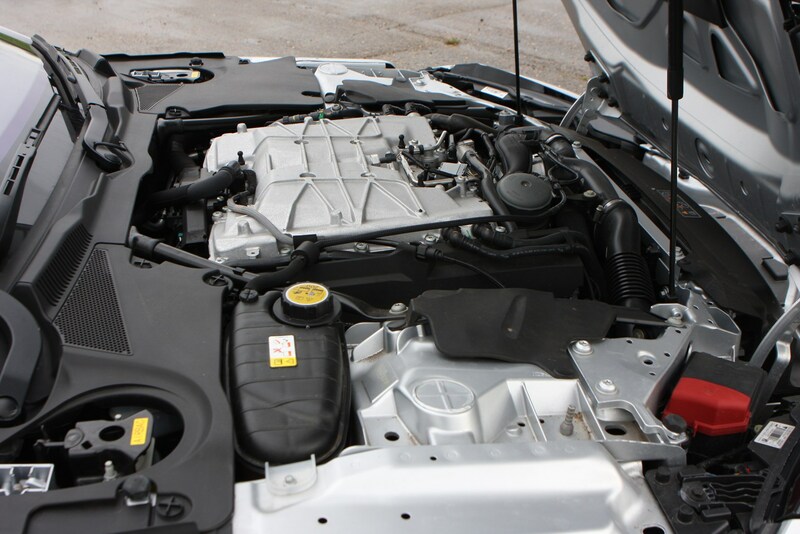 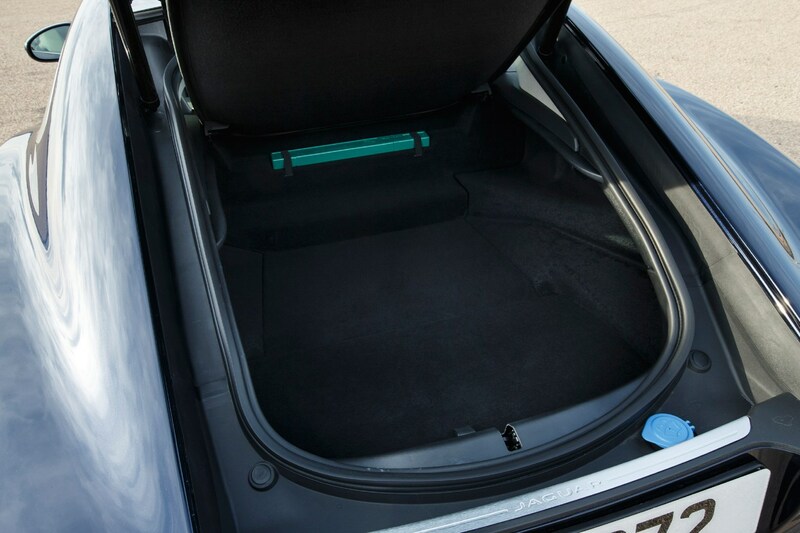 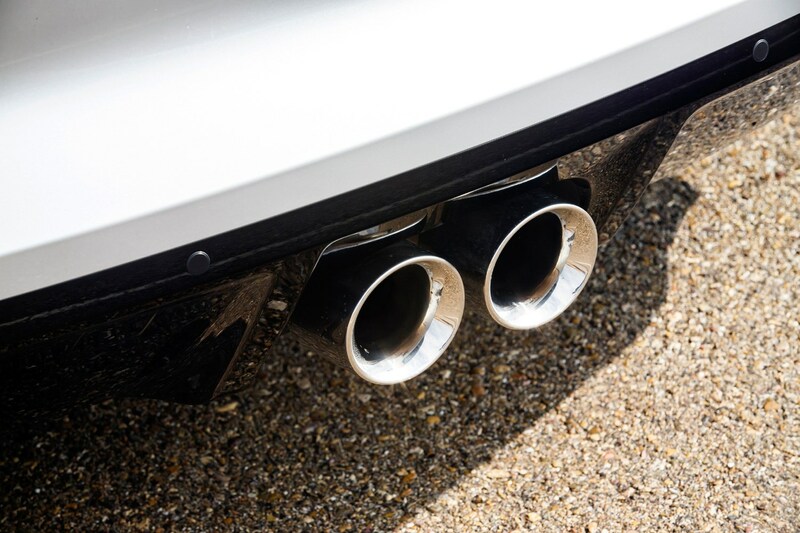 Spend plenty of time poring over the car ensuring everything works exactly as it was intended to, plus give the pedals, carpets, seat bolsters and rear tyres a visual check for signs of abuse – it may well have been driven hard frequently. 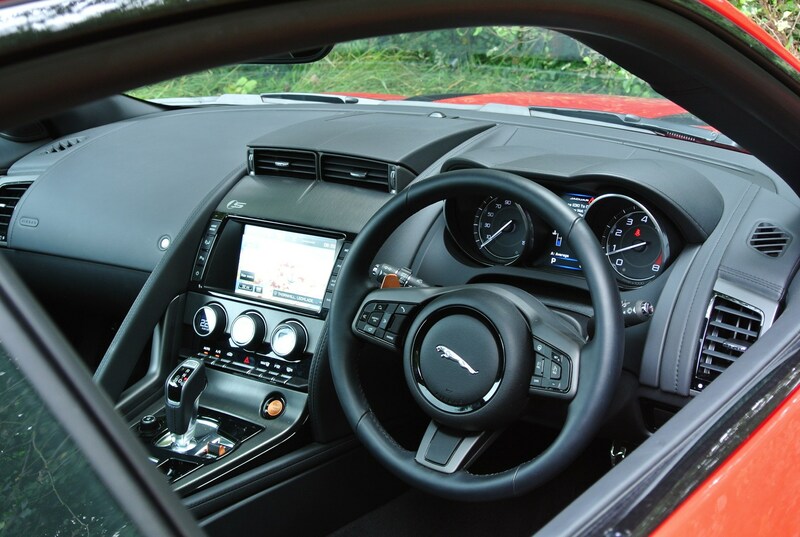 Don’t rest at that, though – get a mechanic to check the mechanicals over thoroughly and ensure you carry out a Parkers Car History Check to highlight any hidden past you need to know about. 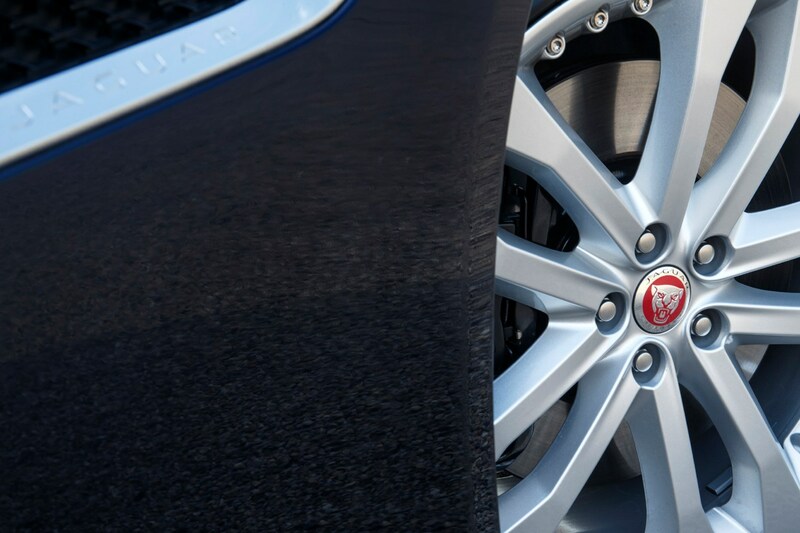 Finally, check out Parkers’ valuation service to see how much you should be paying. 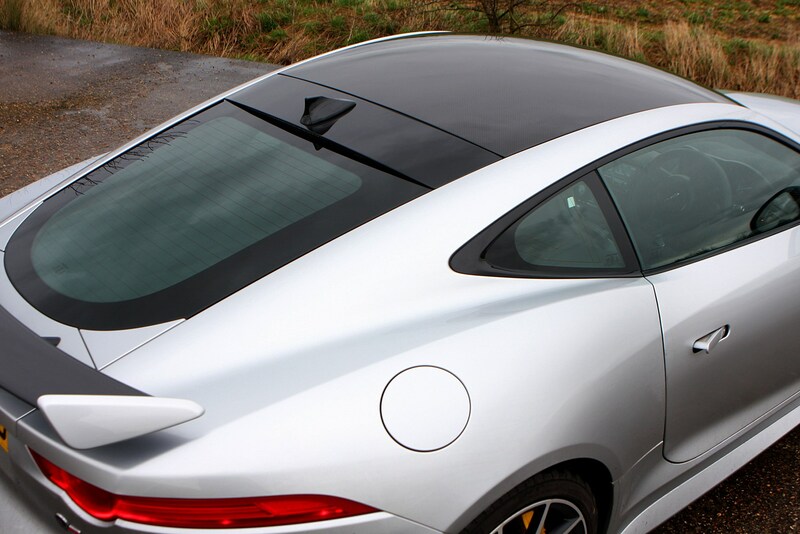 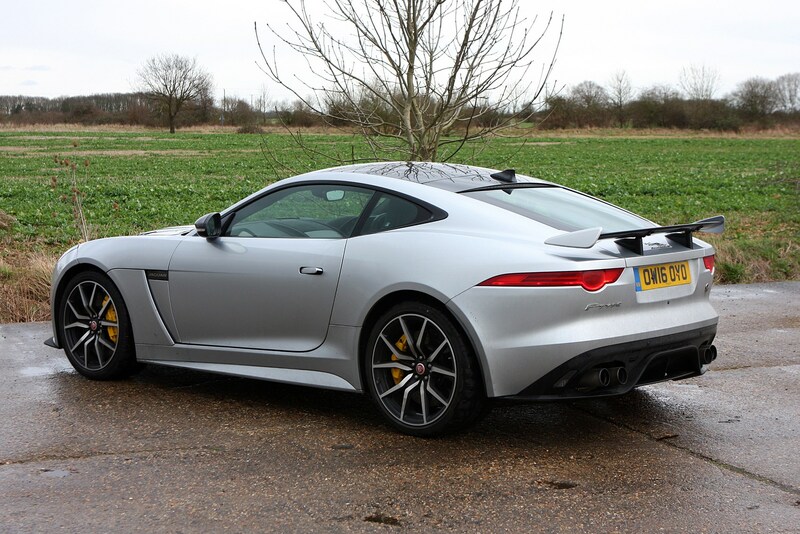 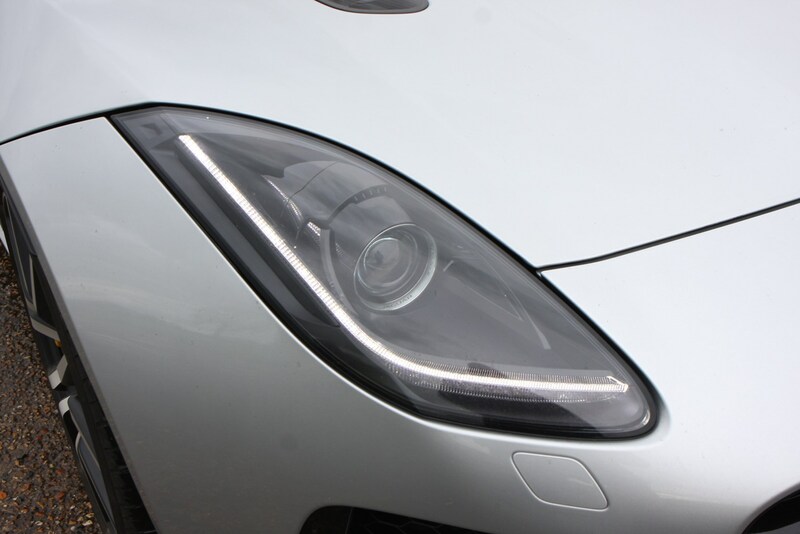 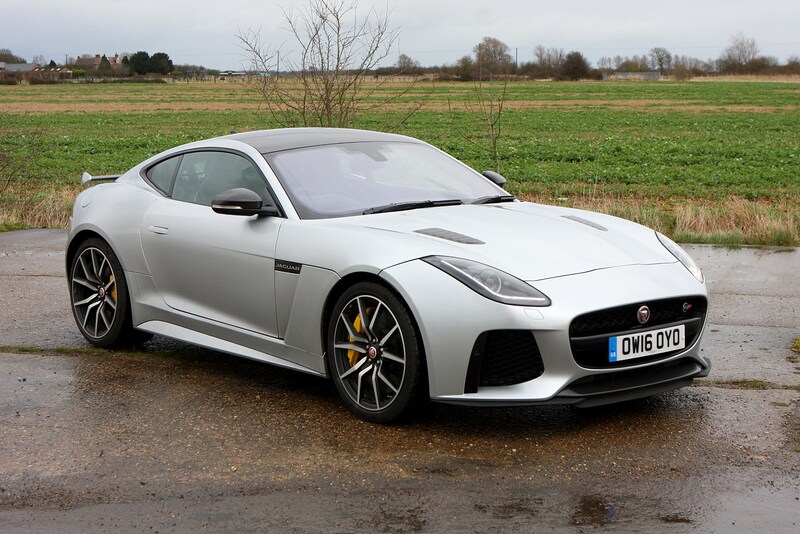 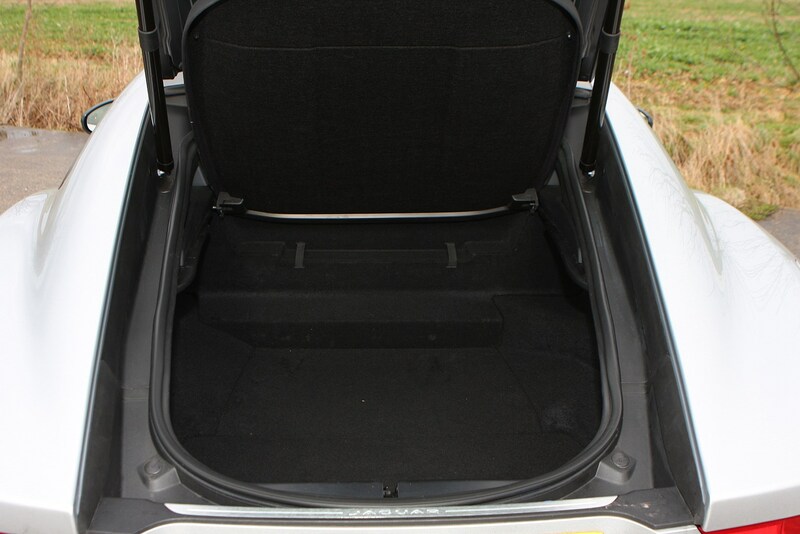 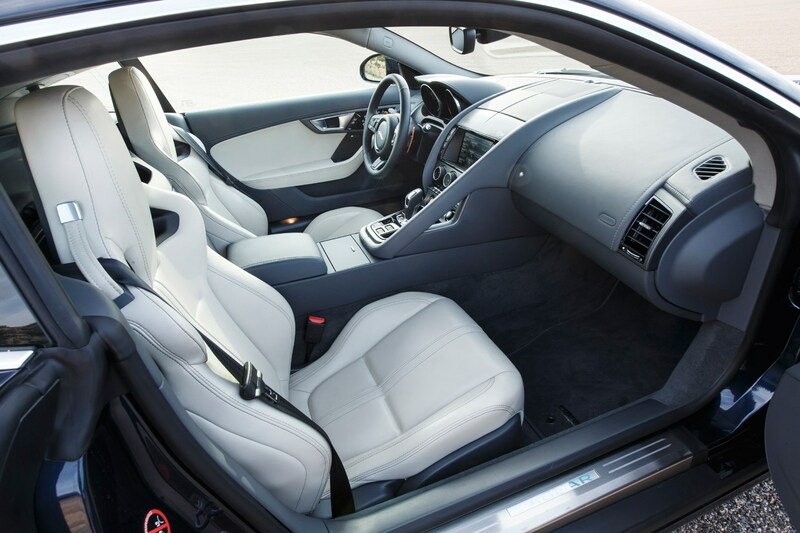 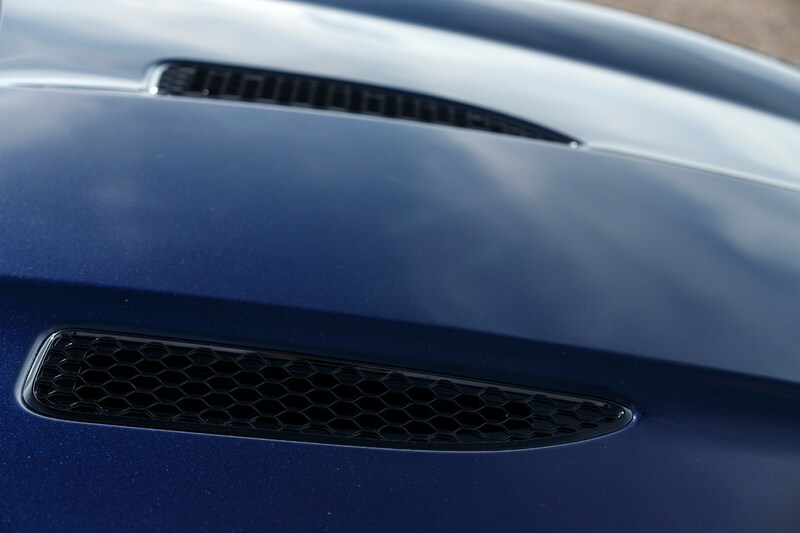 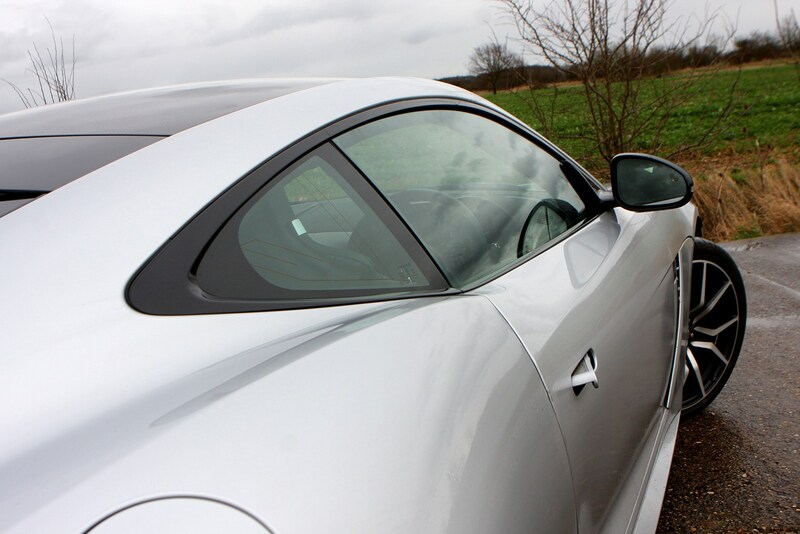 Buyers will be prepared to travel a considerable distance for a fine example of a used F-Type Coupe, so ensure yours is at its very best before you put it up for sale. 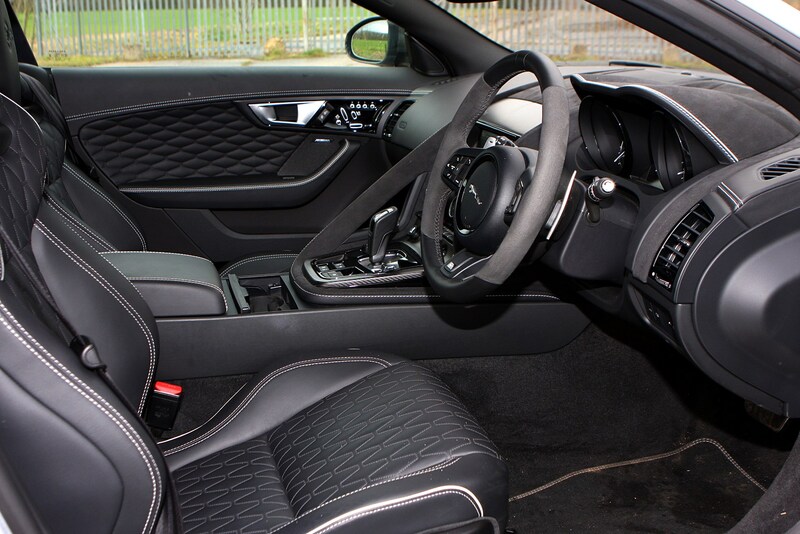 Have any remedial work to the body or wheels sorted and ensure it’s thoroughly valeted inside and out before you take your photos or walkaround video for the advert. 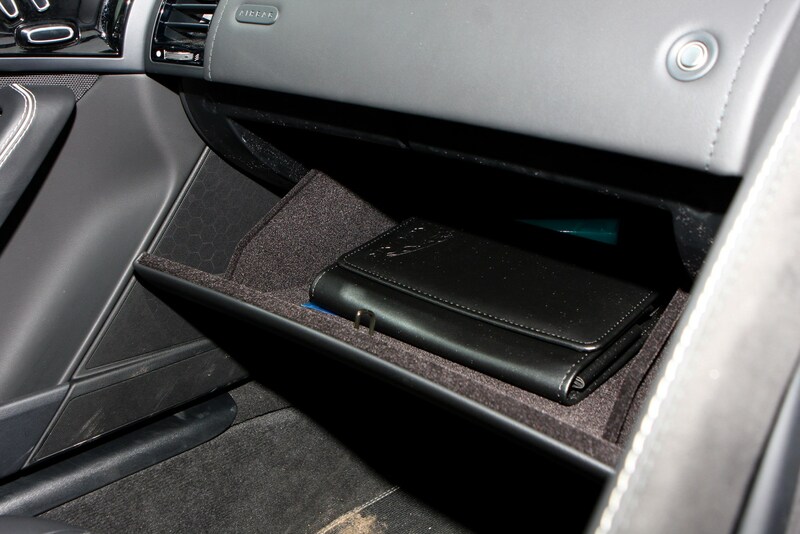 Have all of its paperwork to hand ready for a would-be buyer to look closely at. 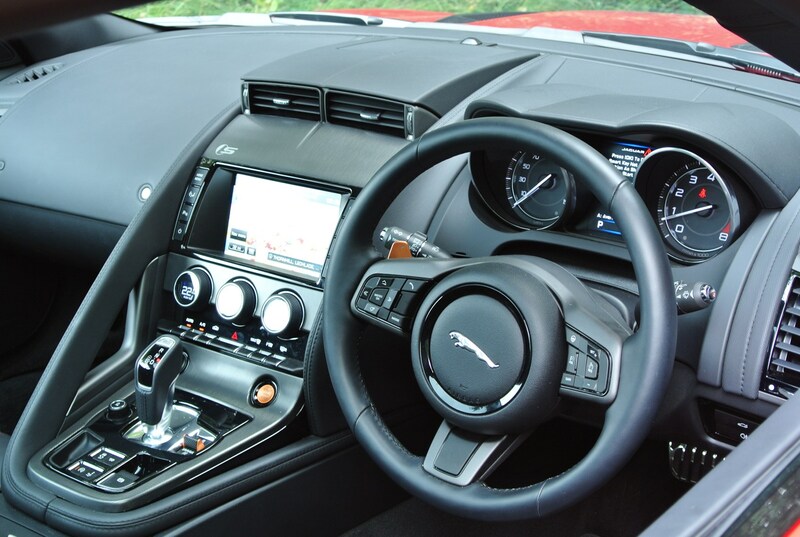 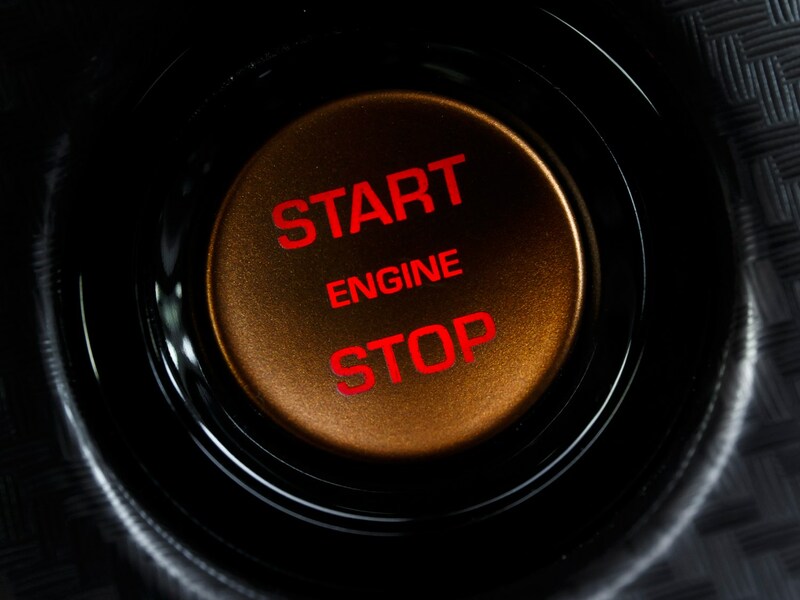 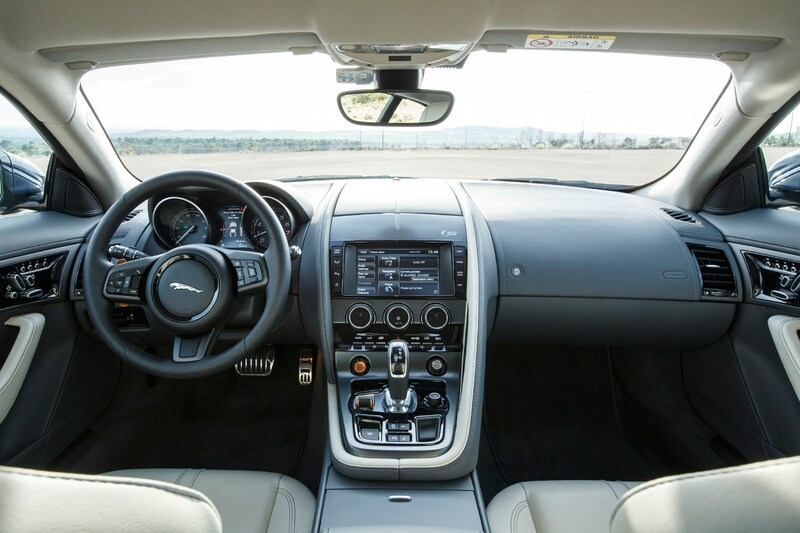 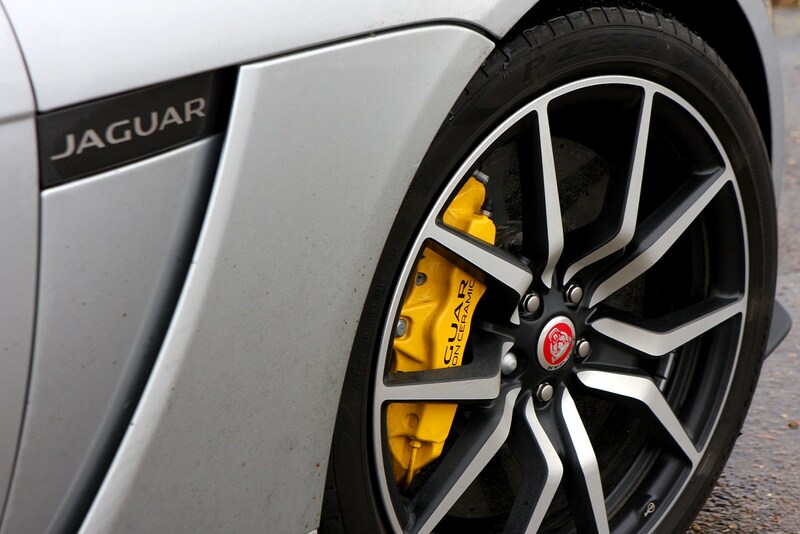 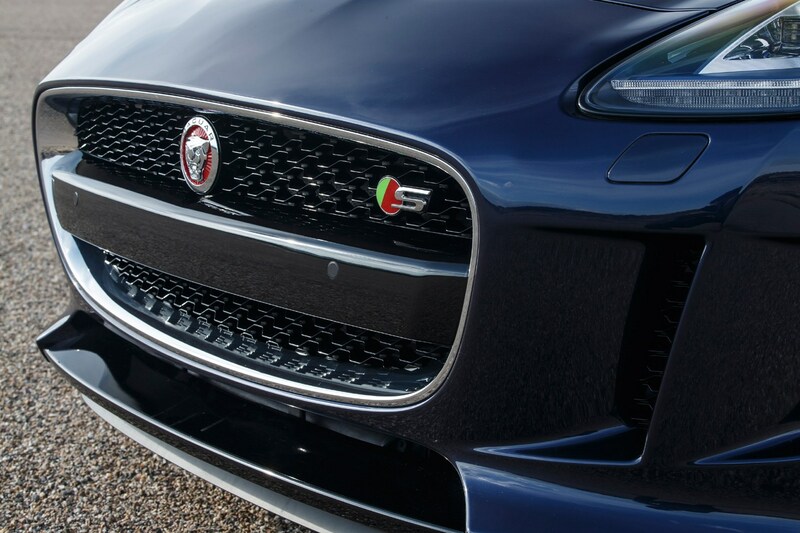 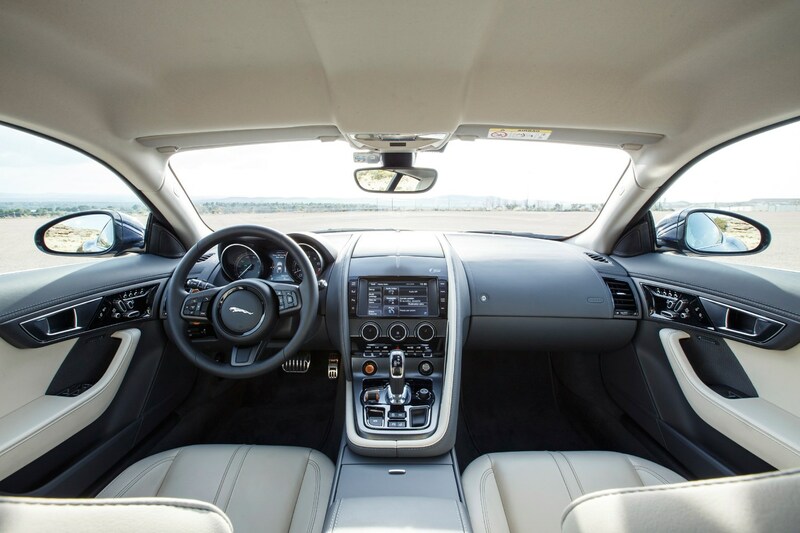 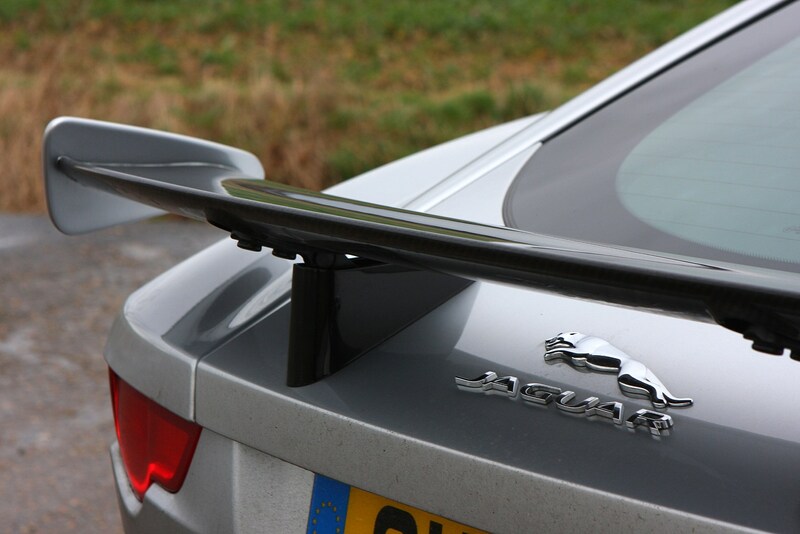 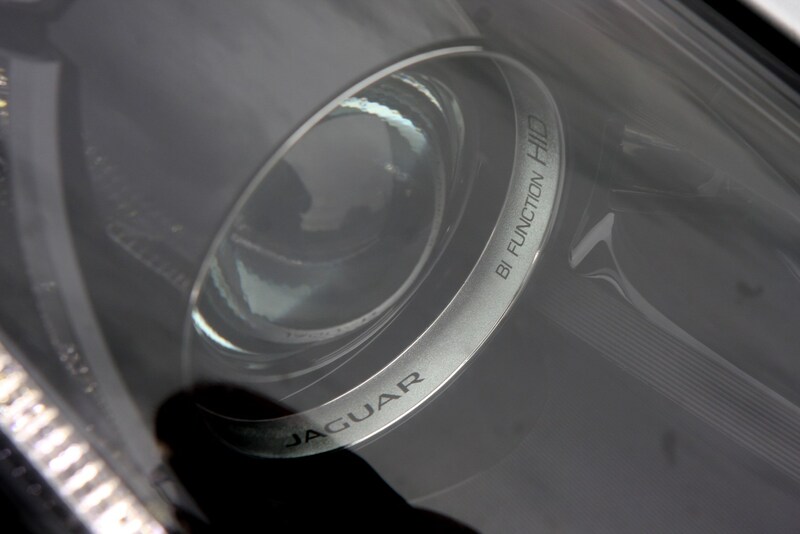 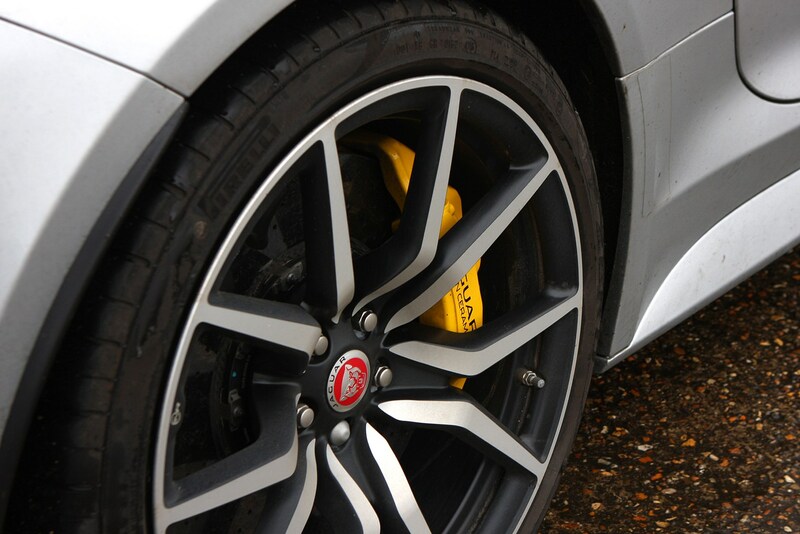 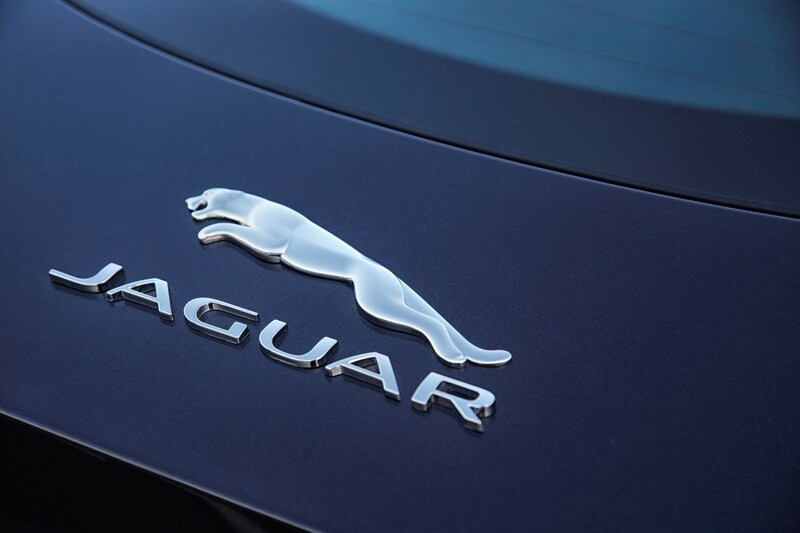 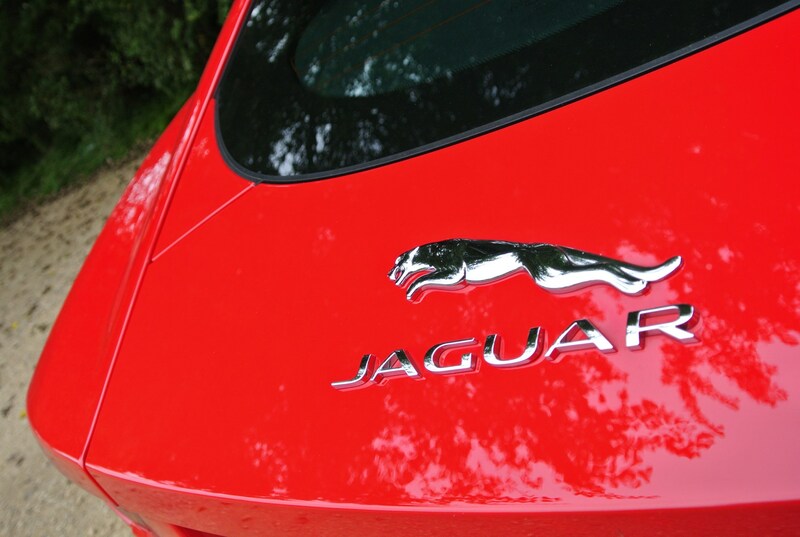 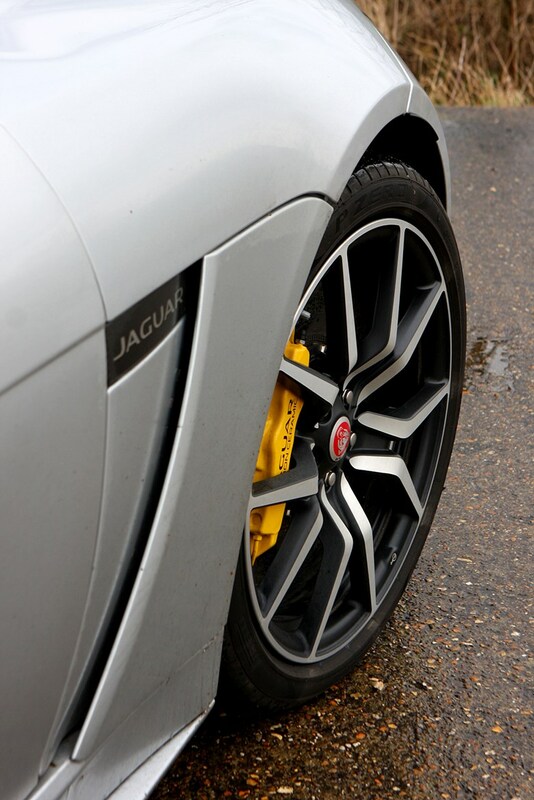 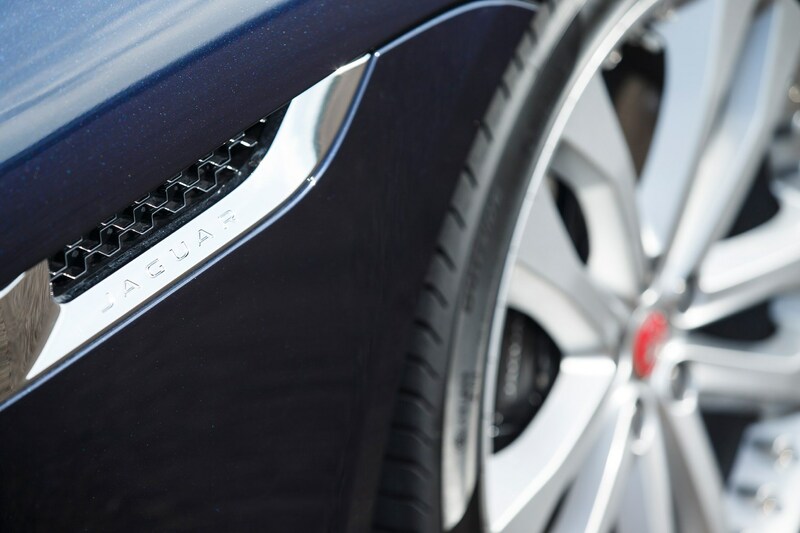 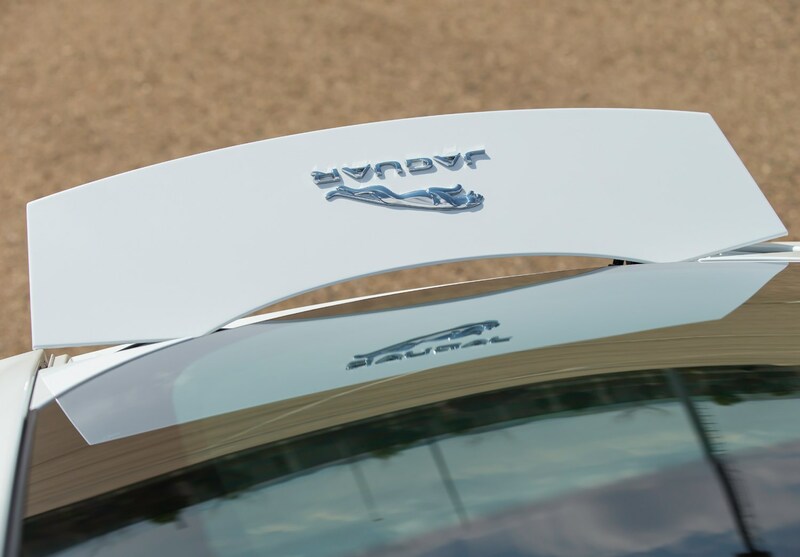 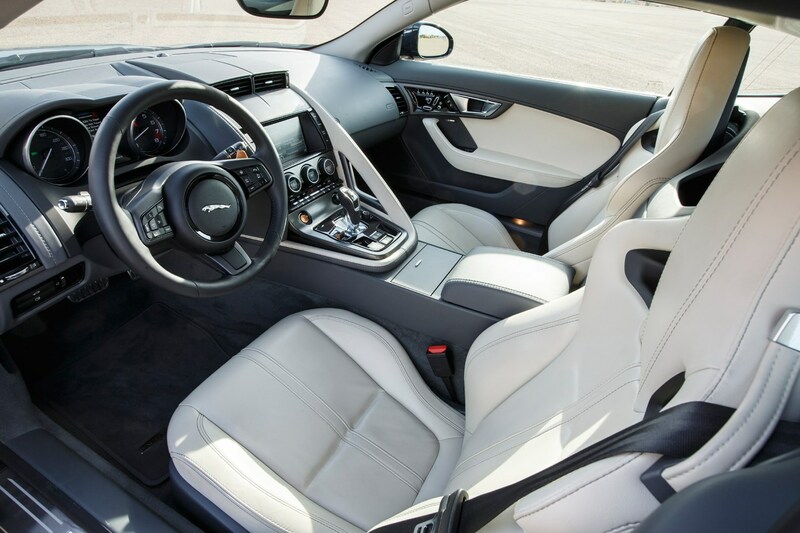 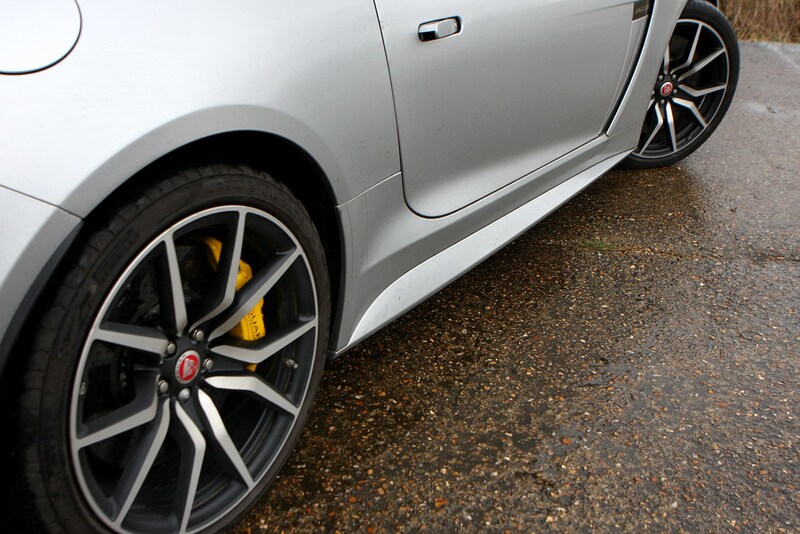 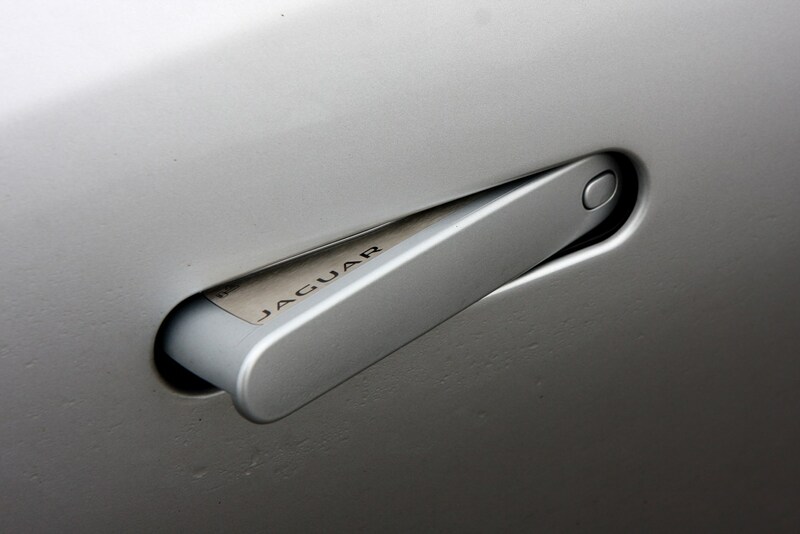 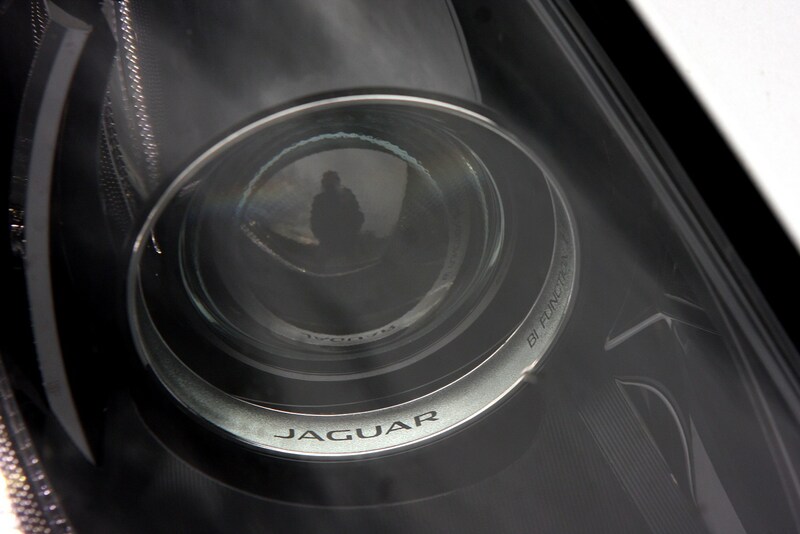 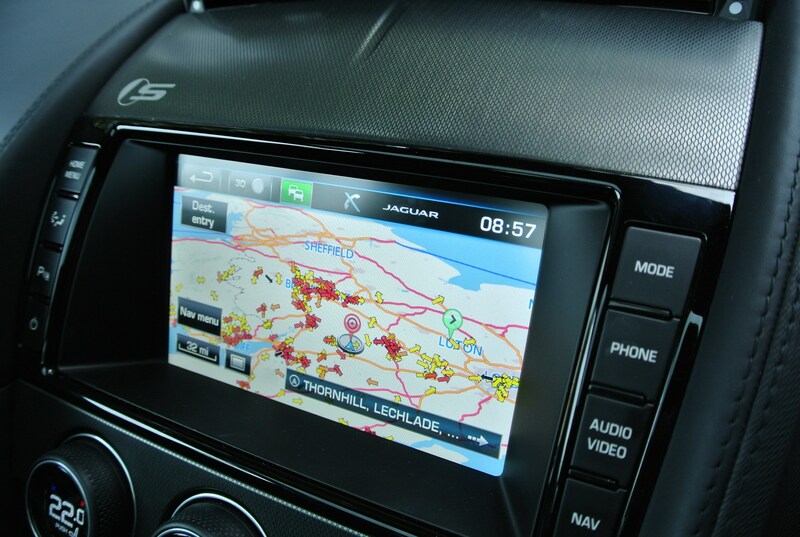 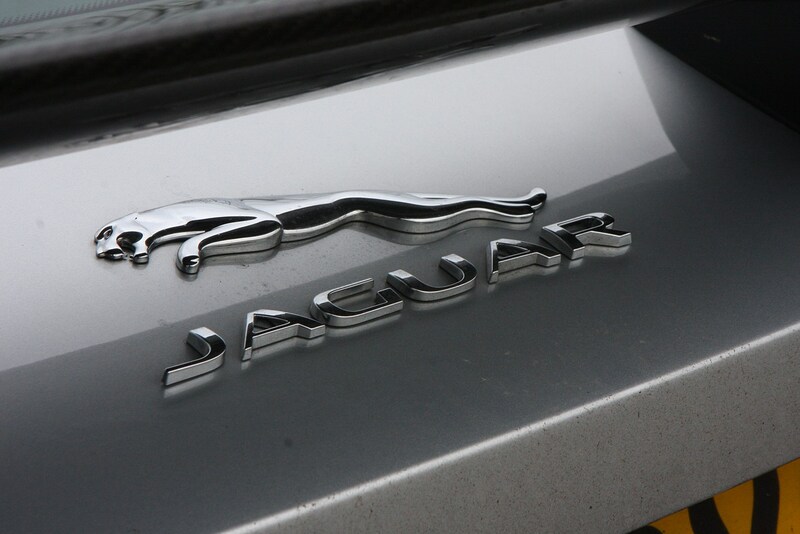 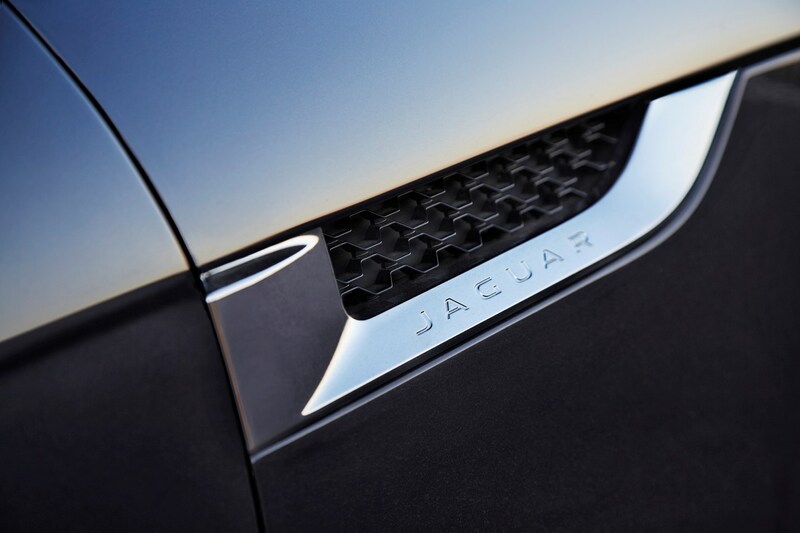 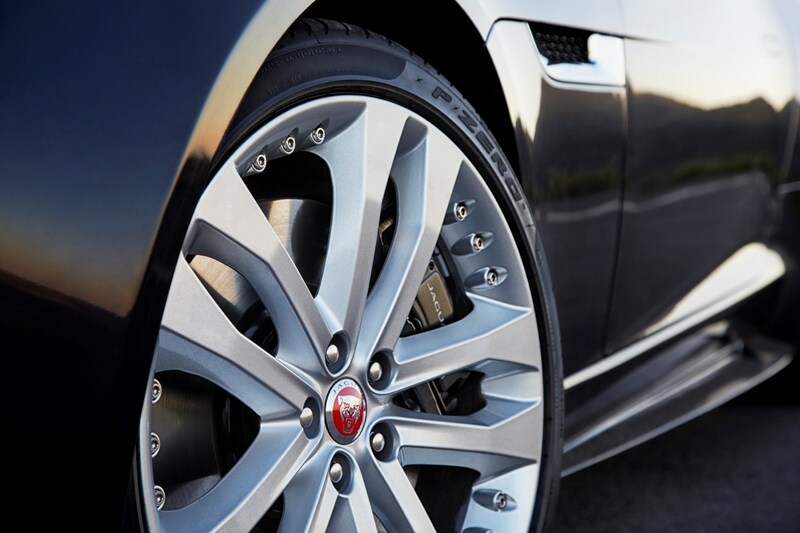 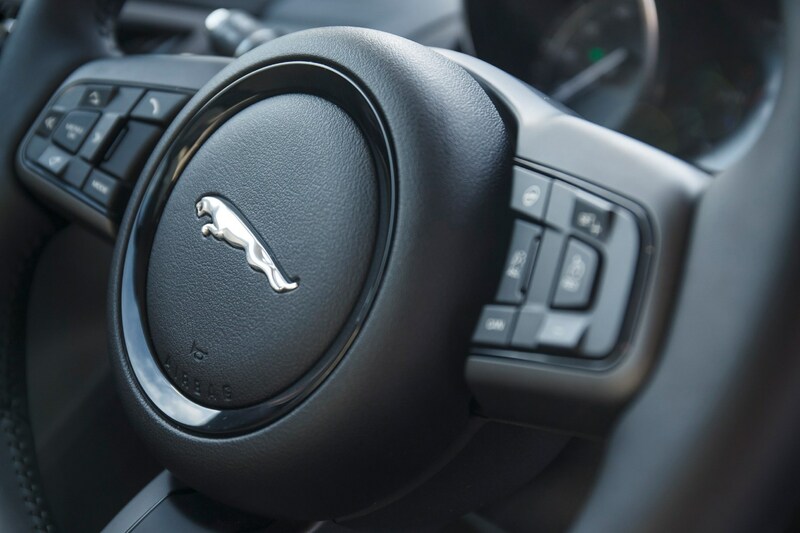 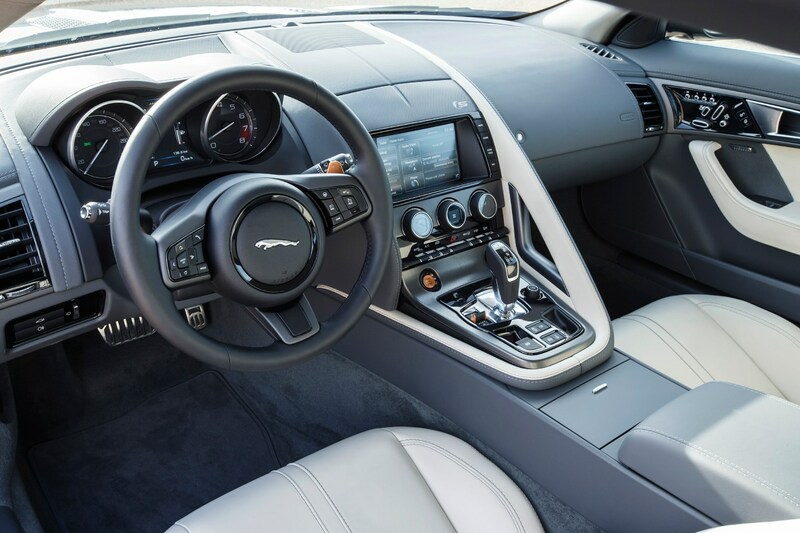 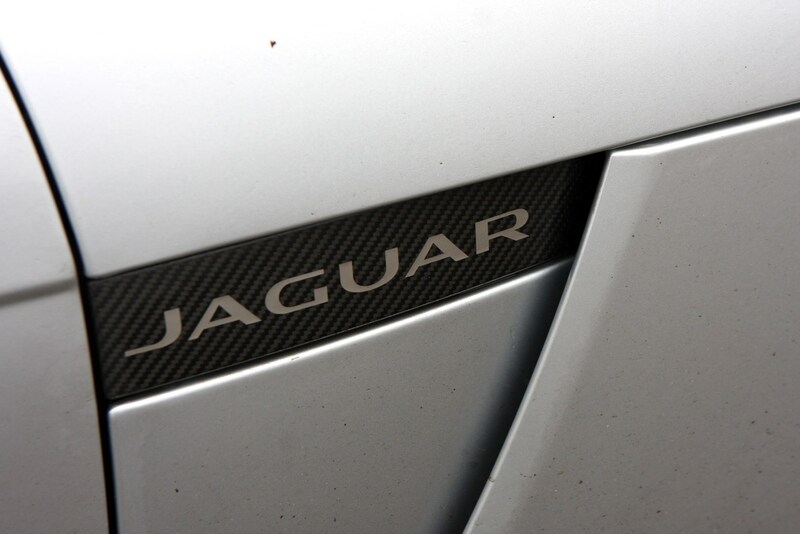 If selling the car yourself seems like too much hassle, then consider selling it back to a Jaguar dealer or asking one to sell it on your behalf – they’ll expect a commission for doing this, of course.